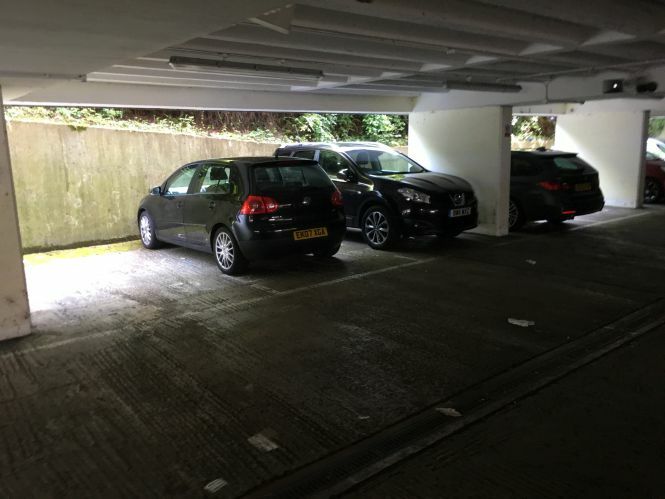 We are delighted to announce we have exchanged on this 15,458 sq. 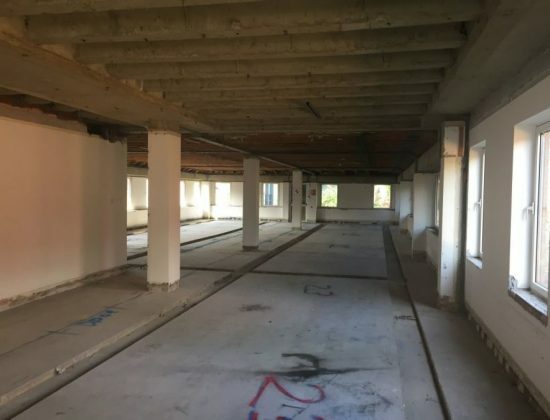 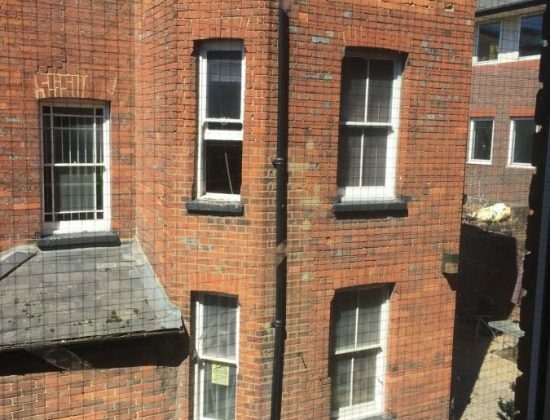 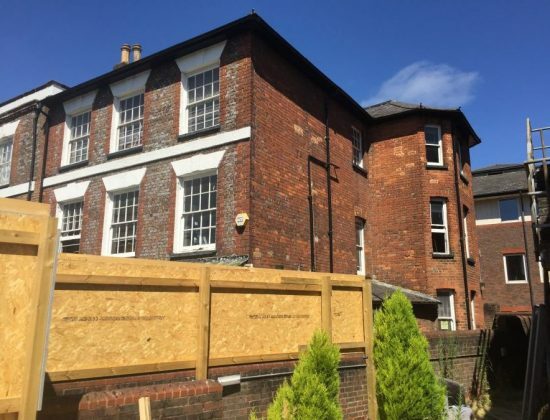 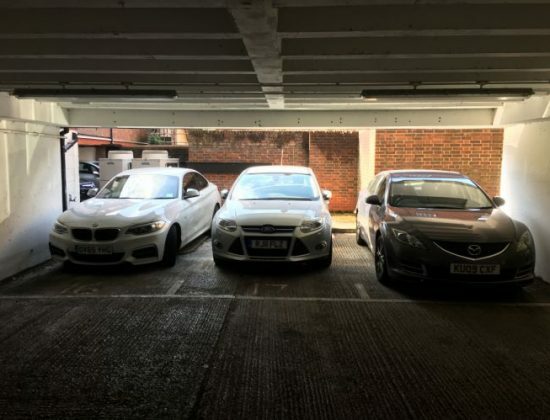 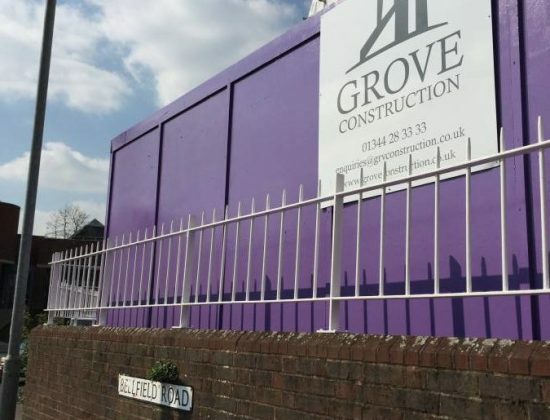 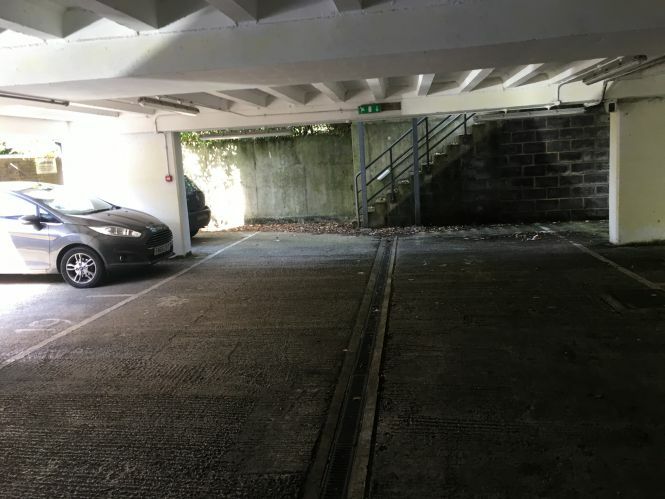 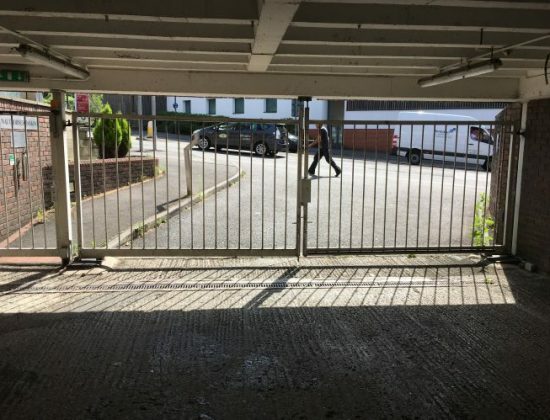 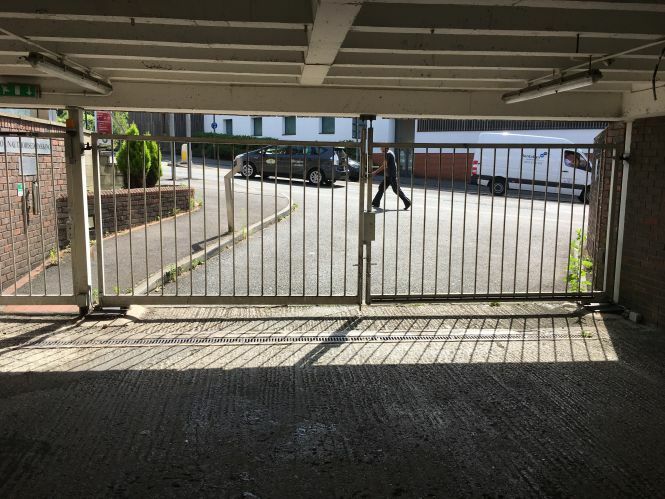 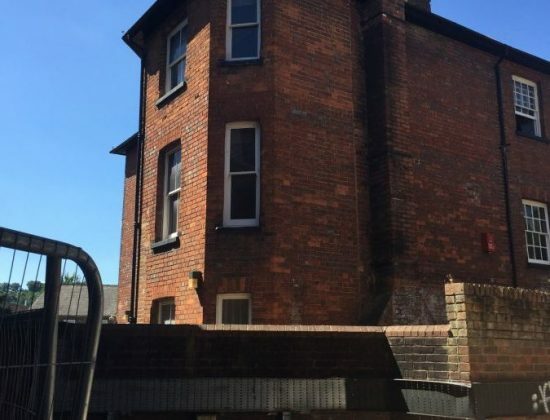 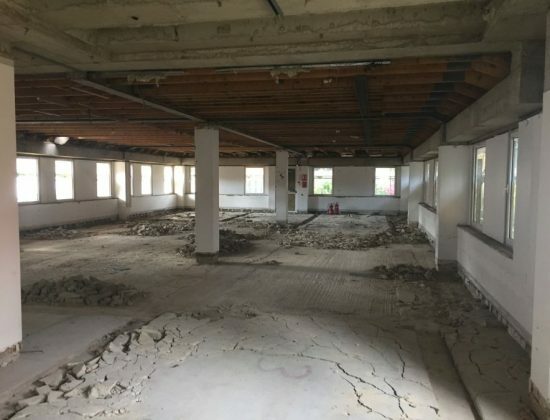 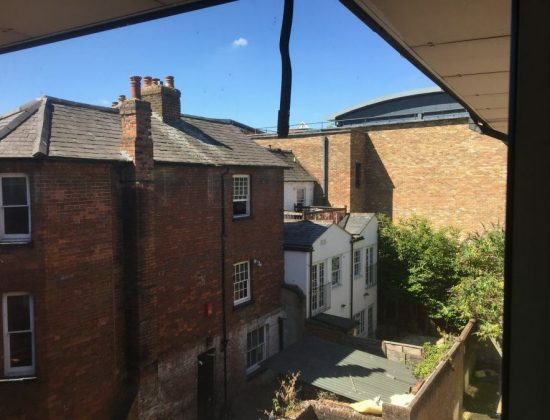 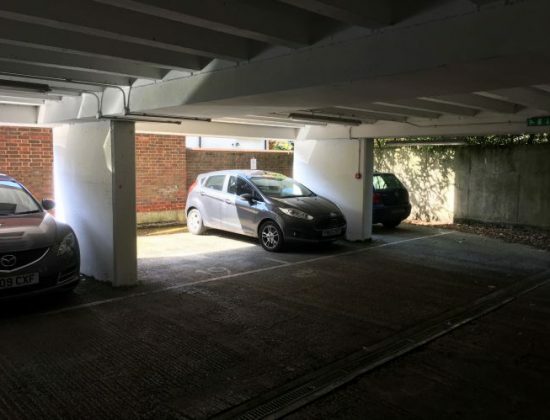 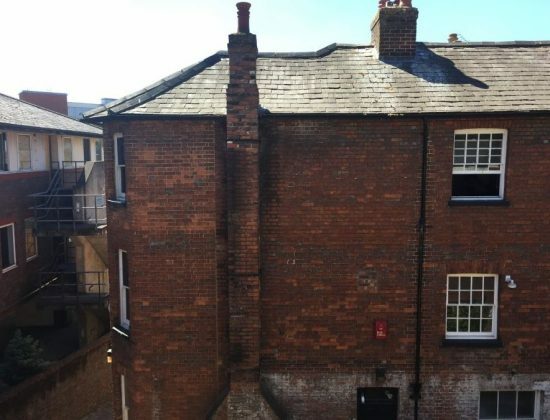 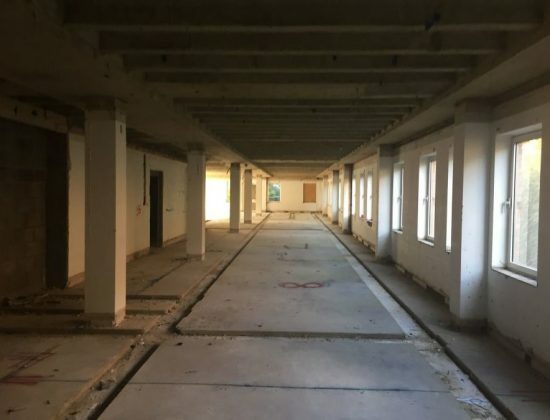 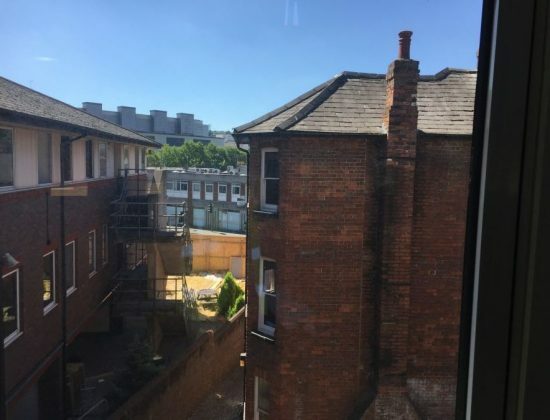 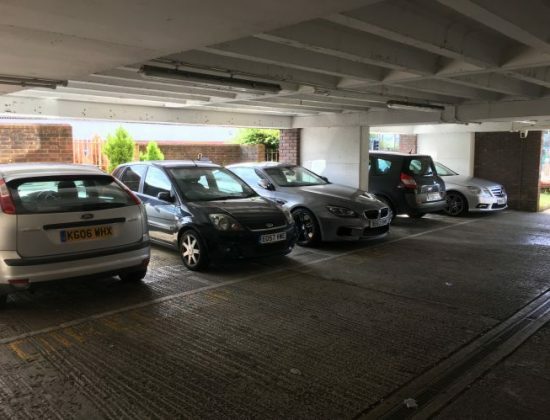 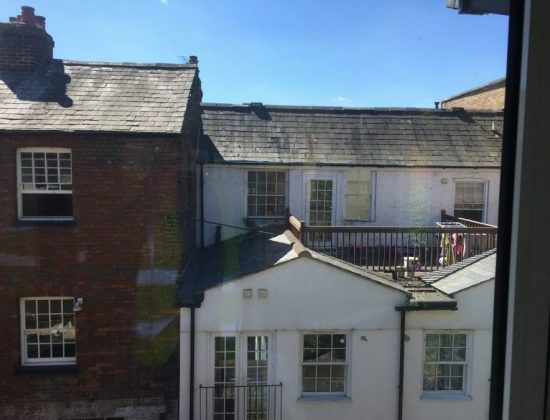 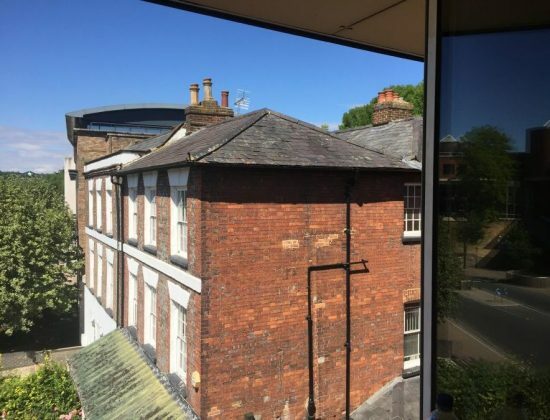 ft. (NIA) office building in High Wycombe to convert into (up to) 43 x residential 1 bed apartments and 4 x 2 bed apartments using Prior Approval Permitted Development Rights. 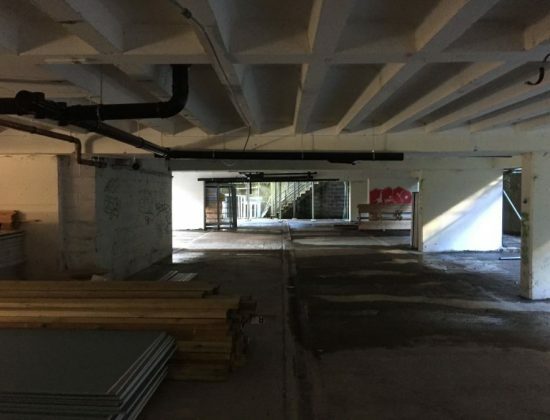 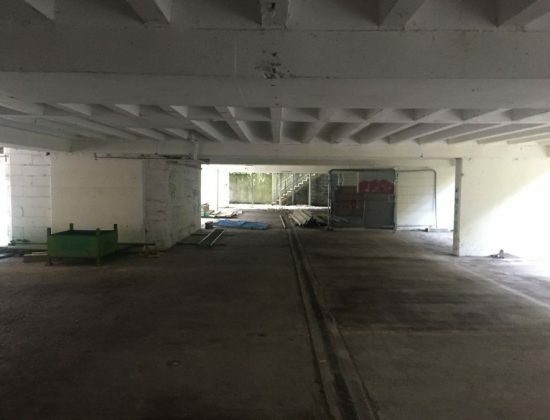 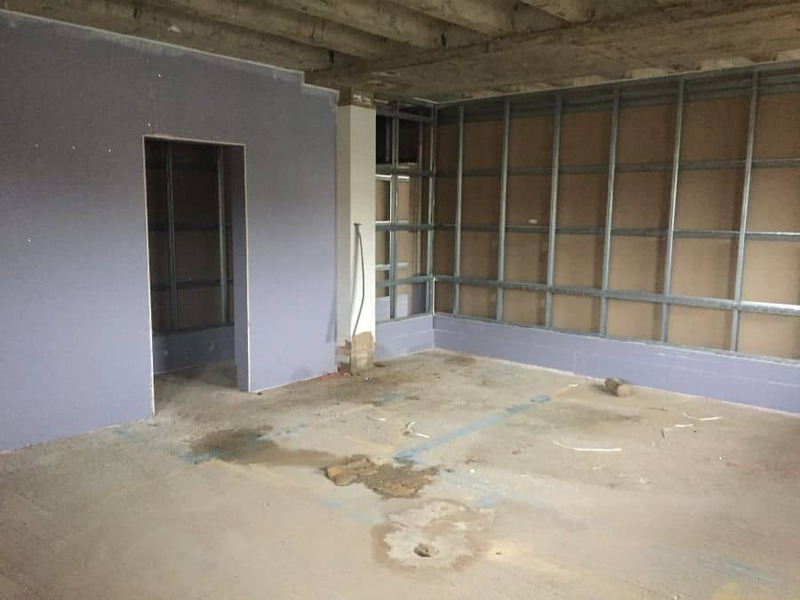 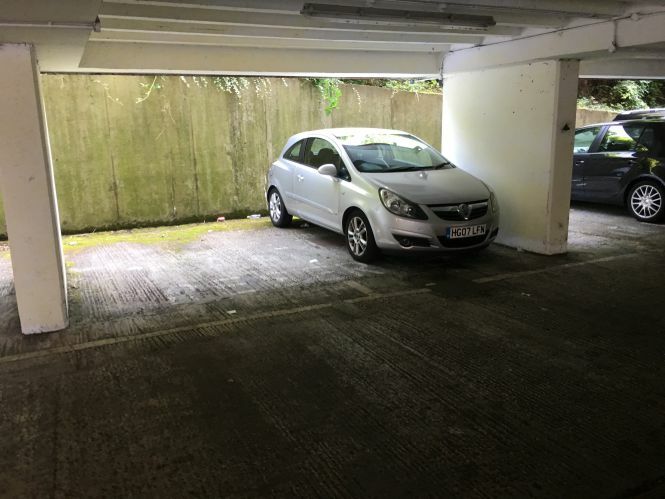 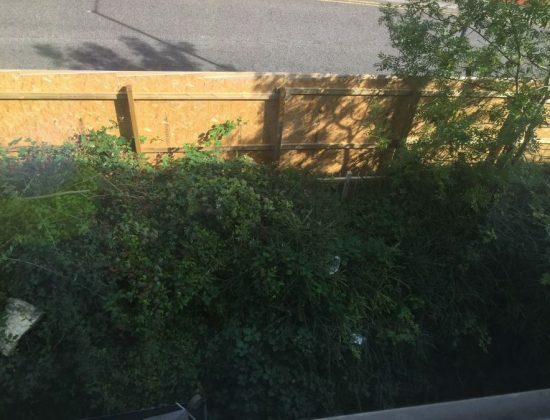 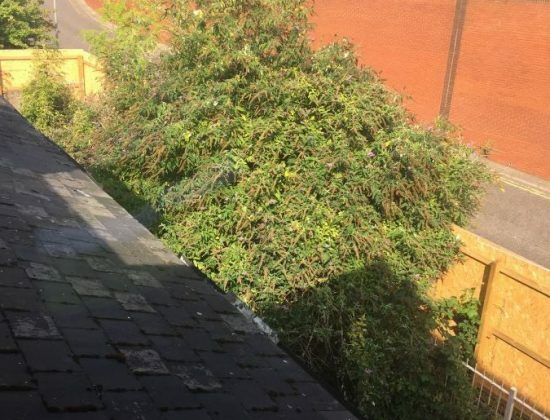 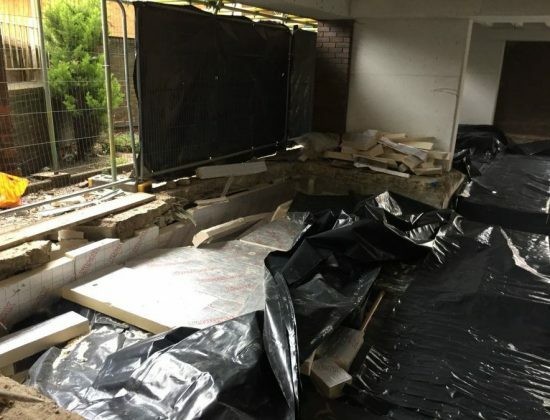 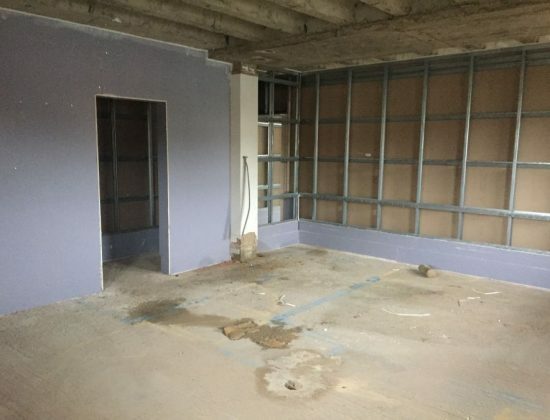 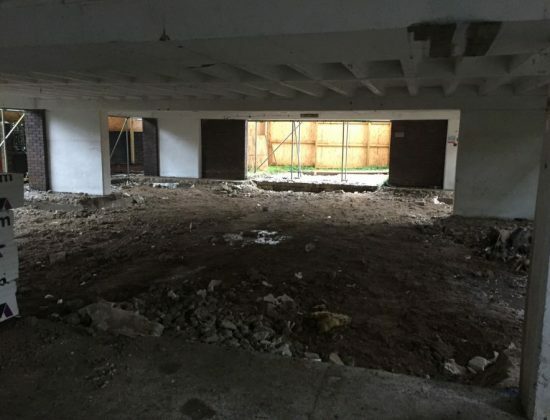 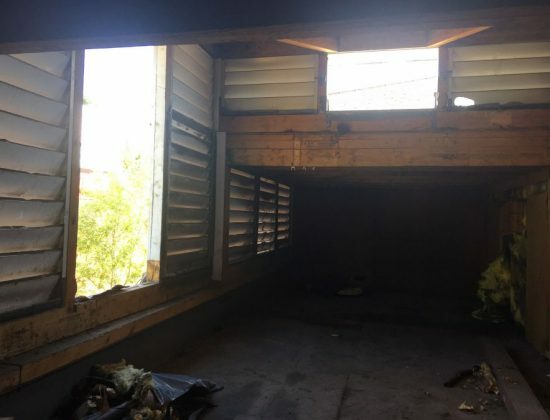 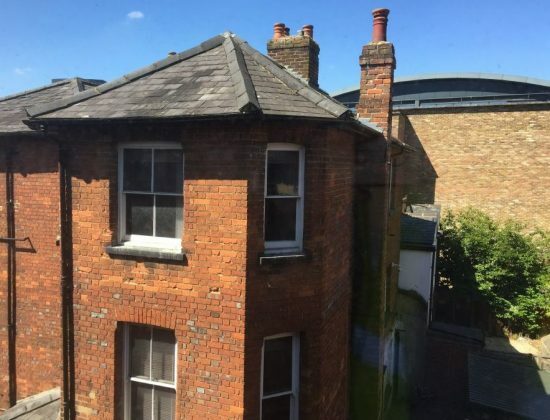 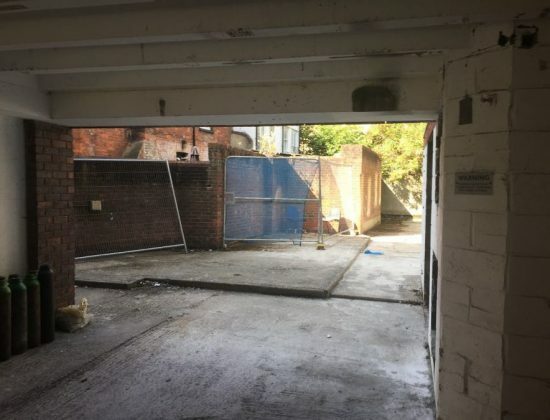 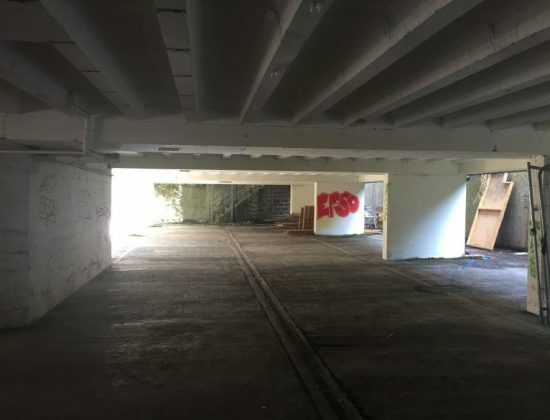 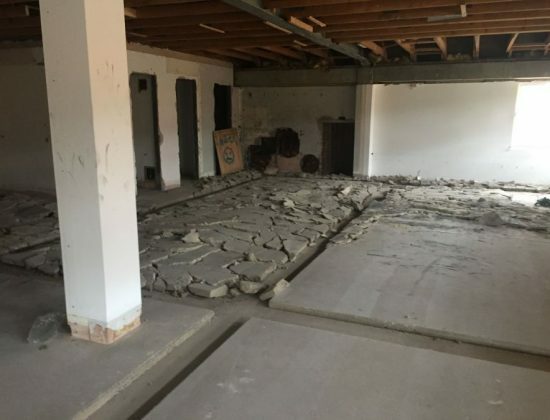 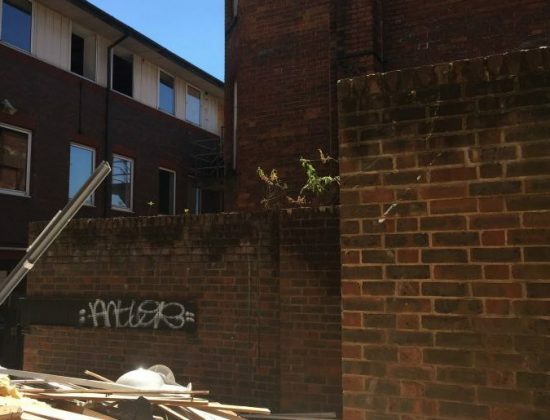 This property will be transformed into a development of contemporary residential apartments. 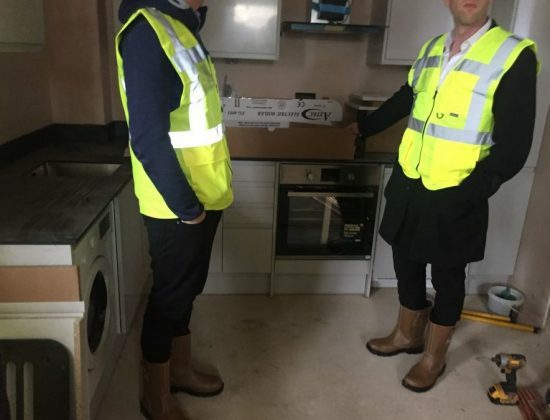 This scheme will be registered with the Government’s Help to Buy Scheme, assisting first time buyers to purchase their own home. 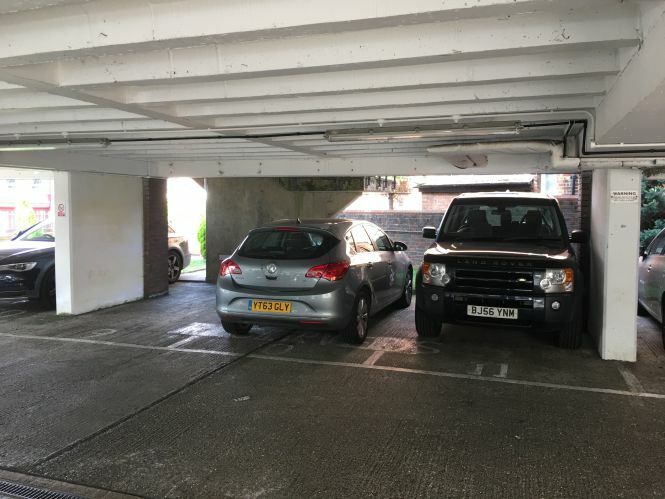 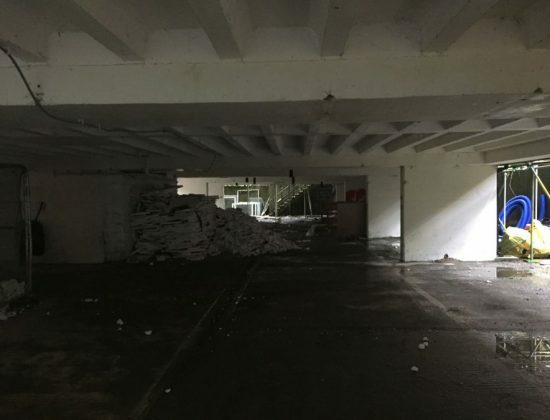 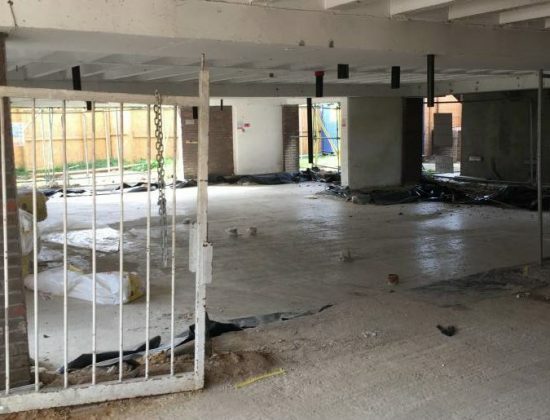 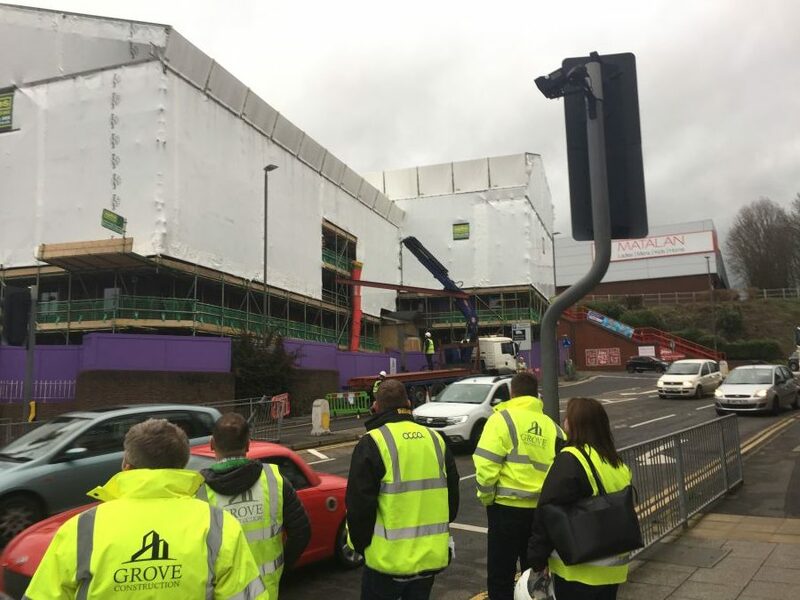 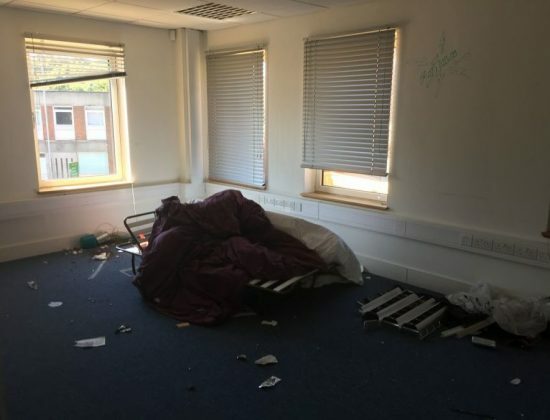 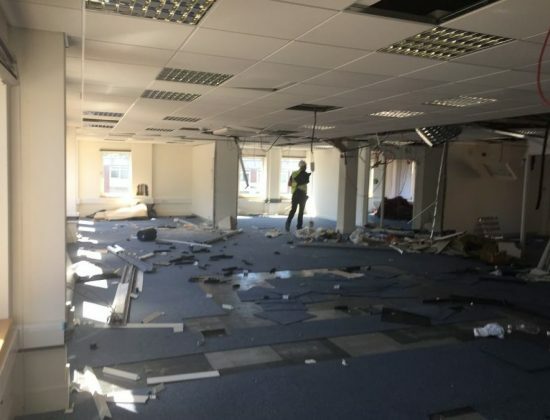 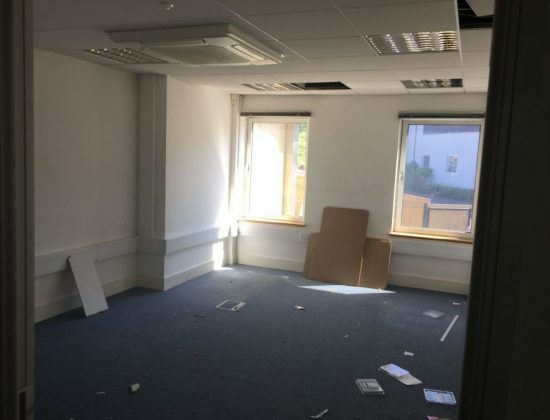 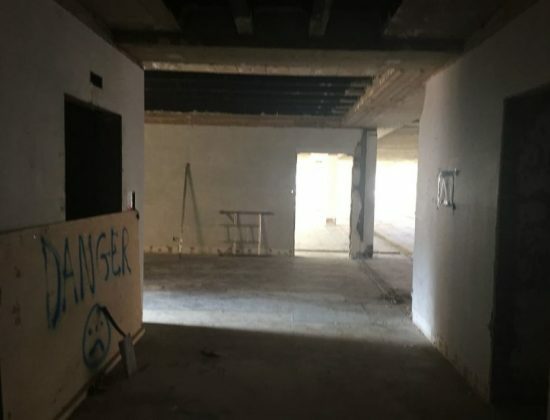 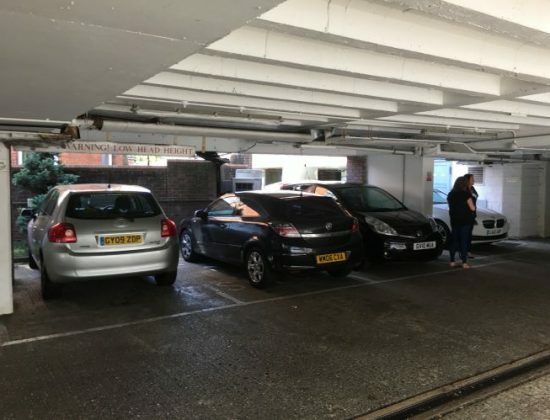 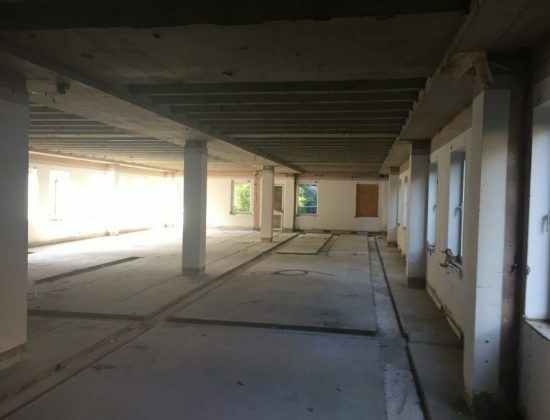 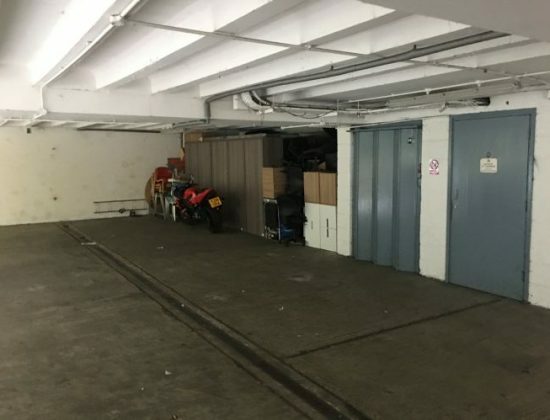 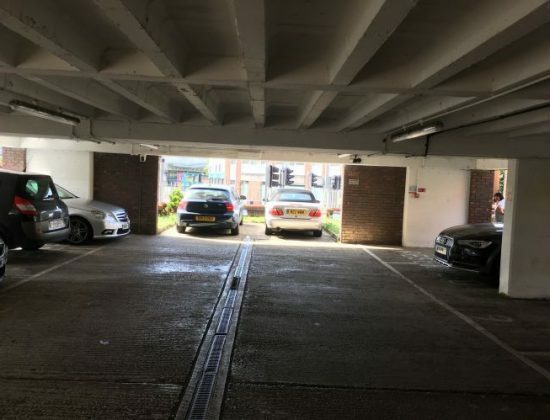 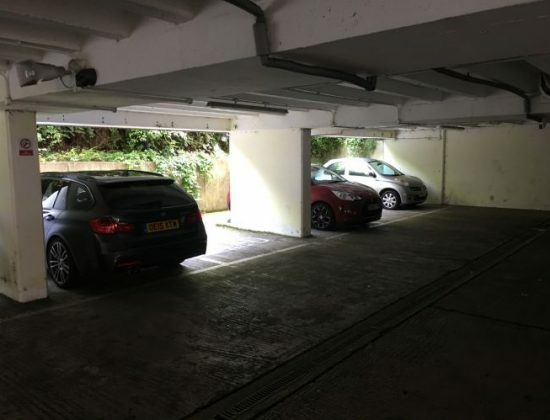 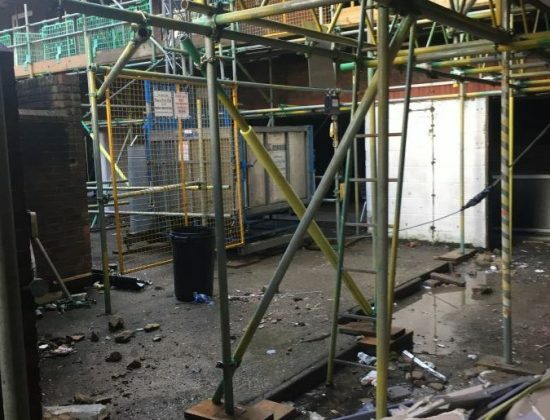 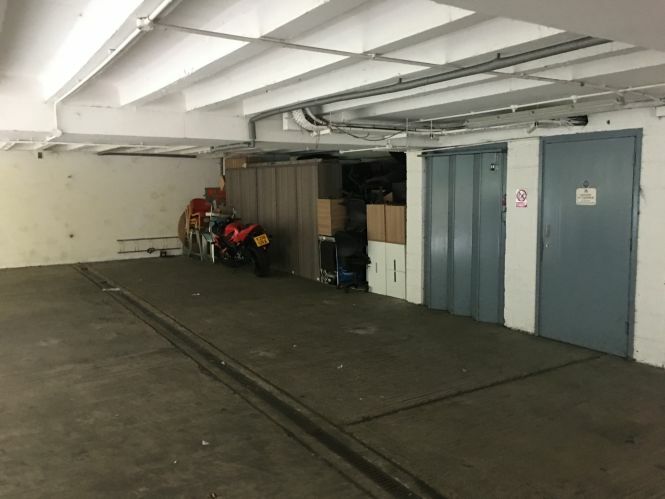 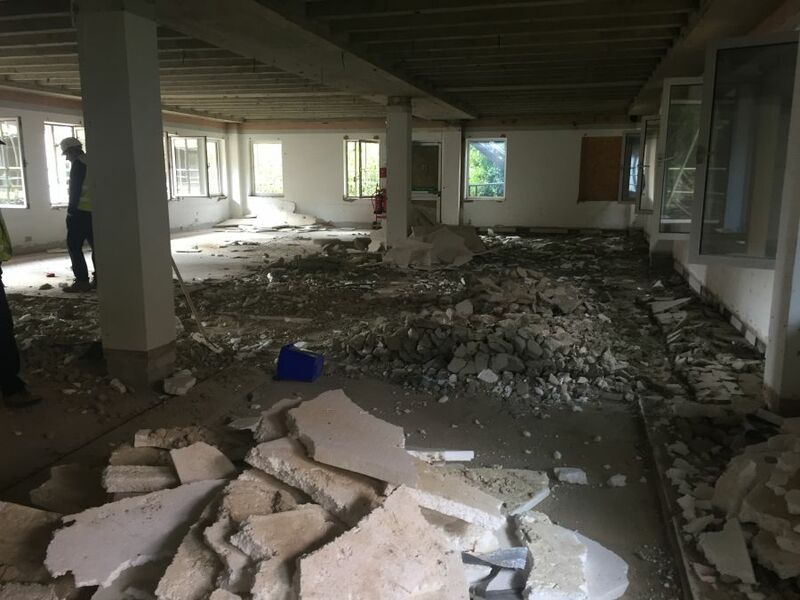 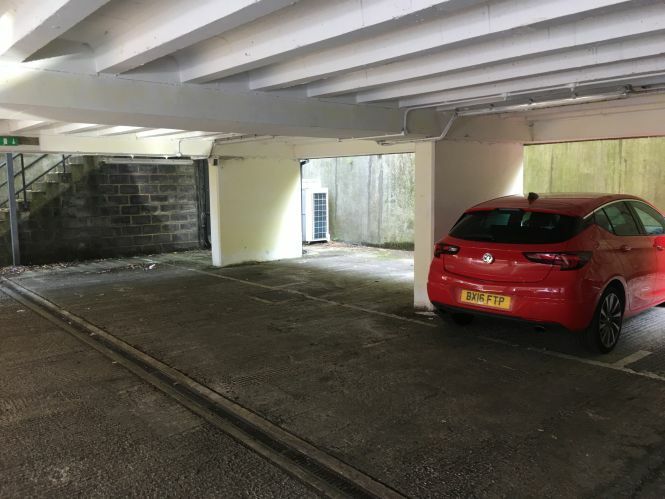 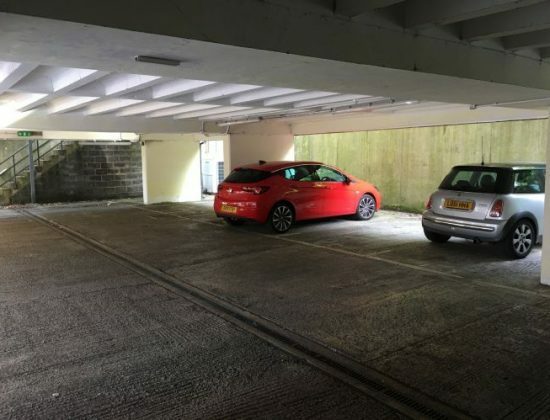 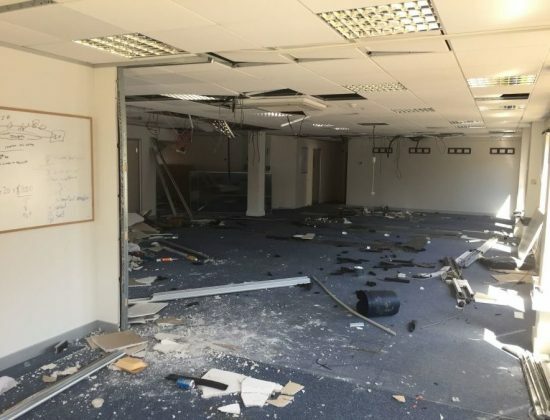 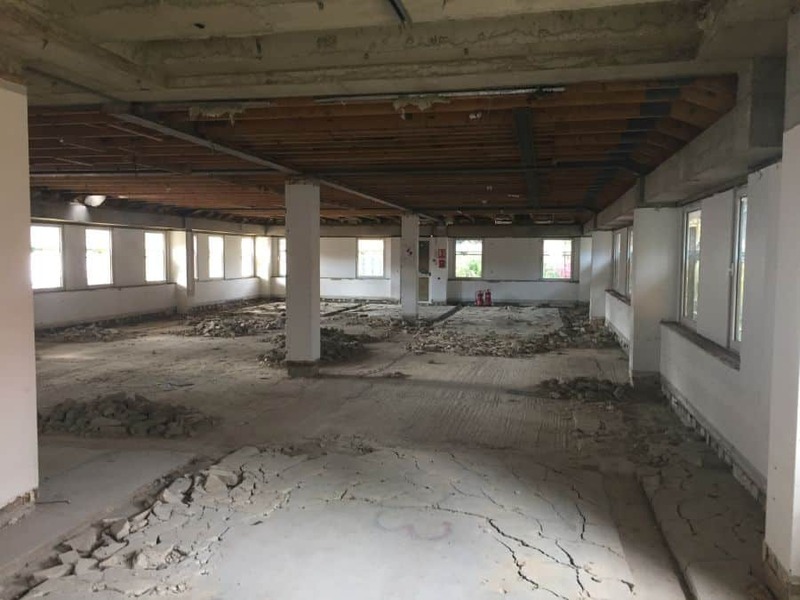 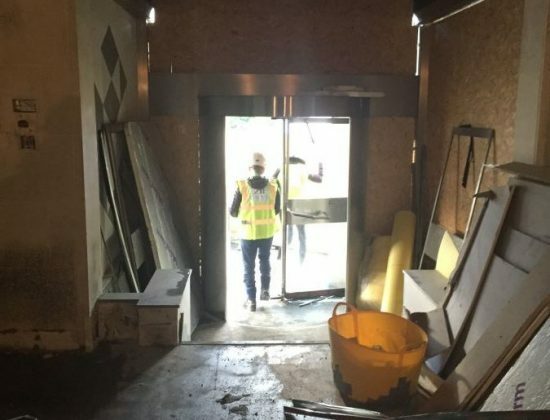 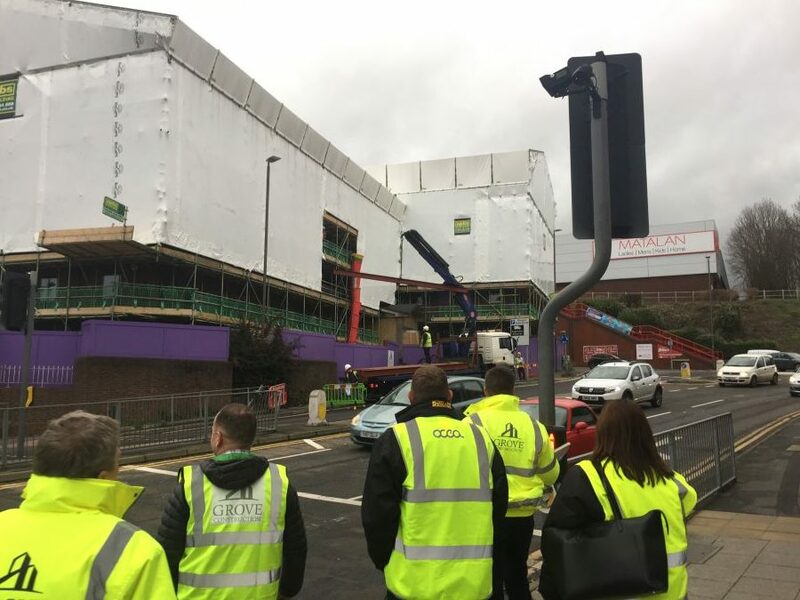 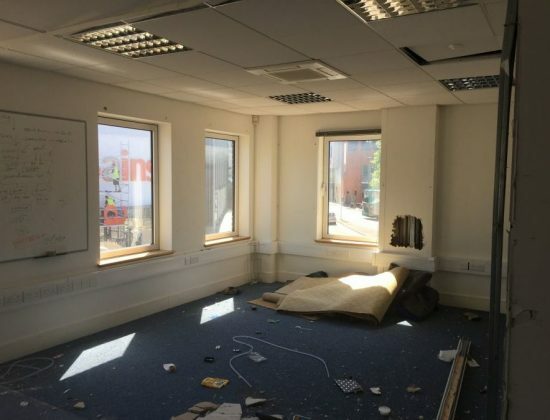 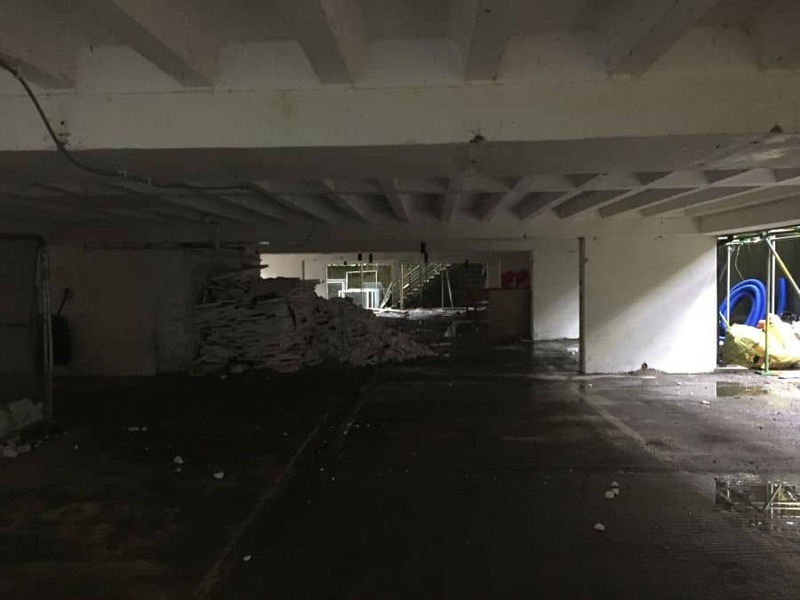 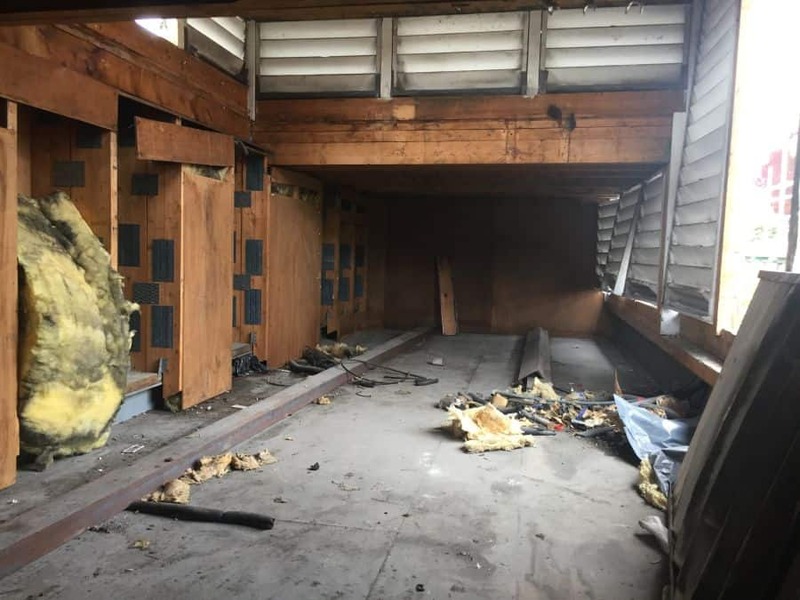 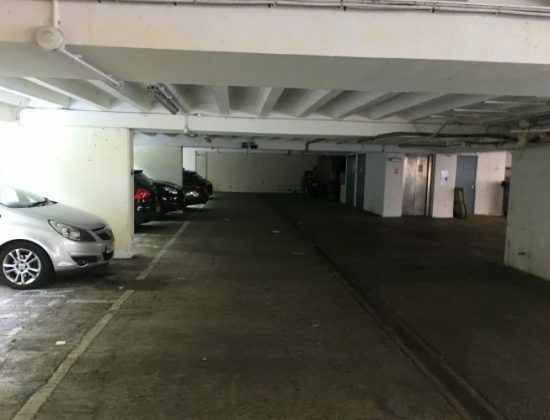 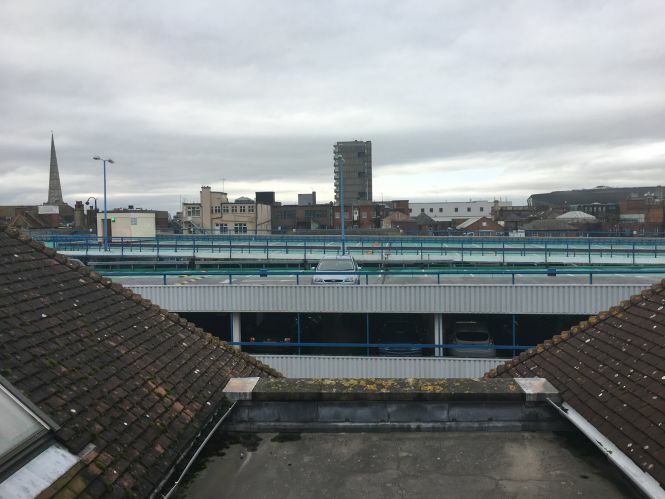 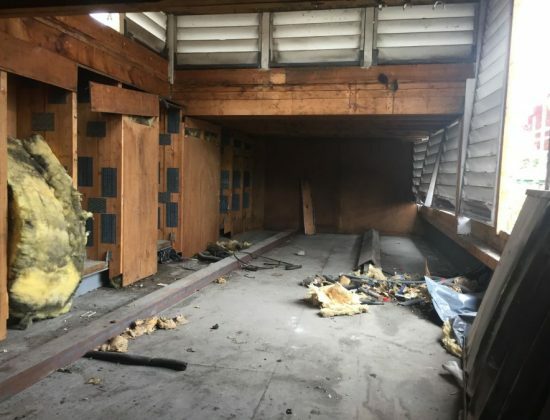 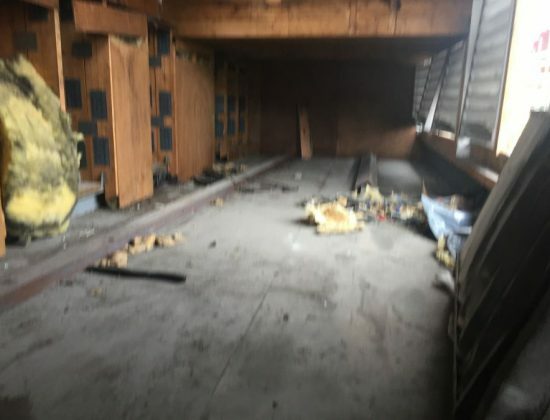 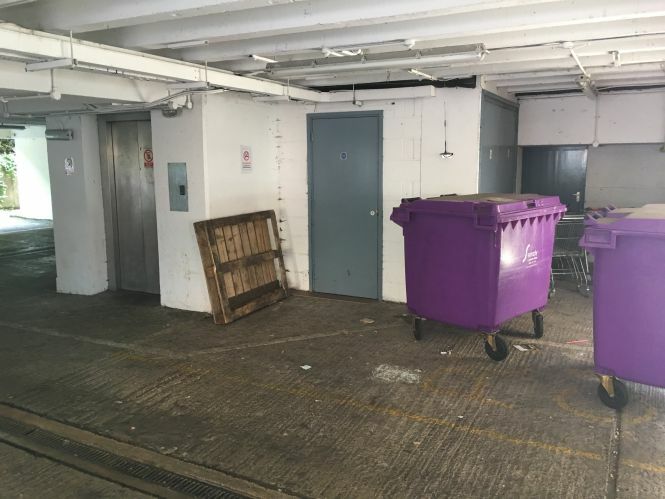 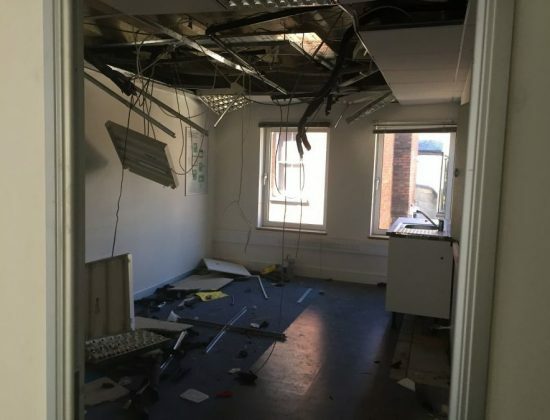 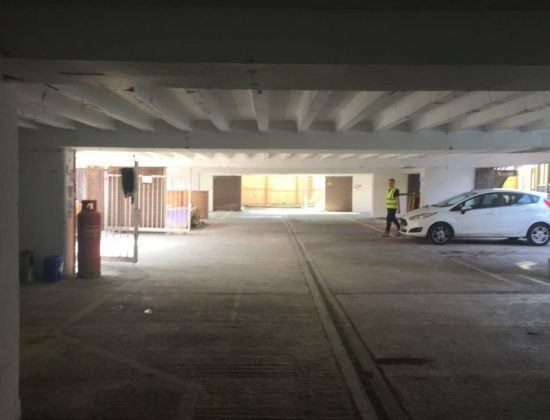 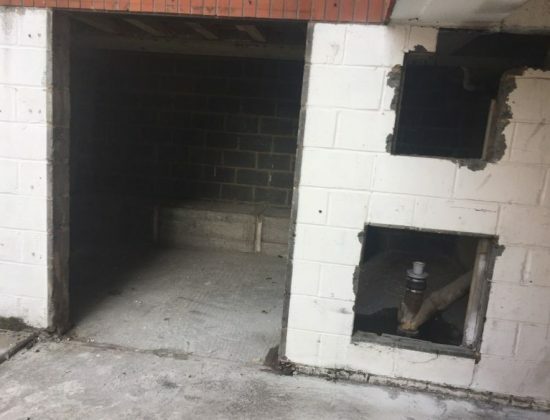 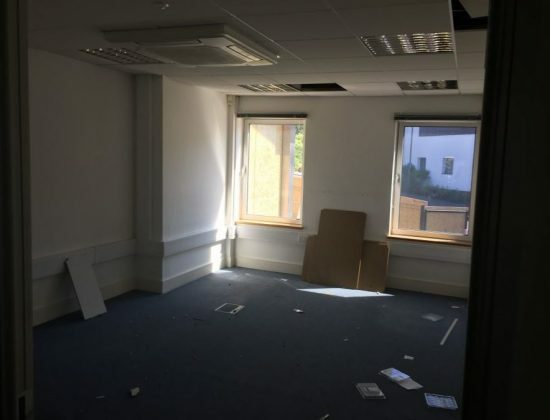 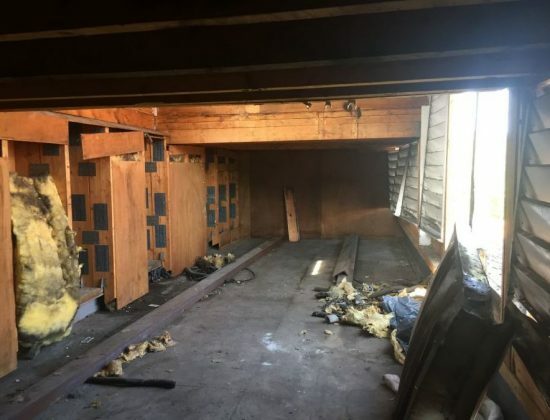 This area will be updated throughout the development, demonstrating how Ocea and its investment partners breathe new life into unloved commercial properties. 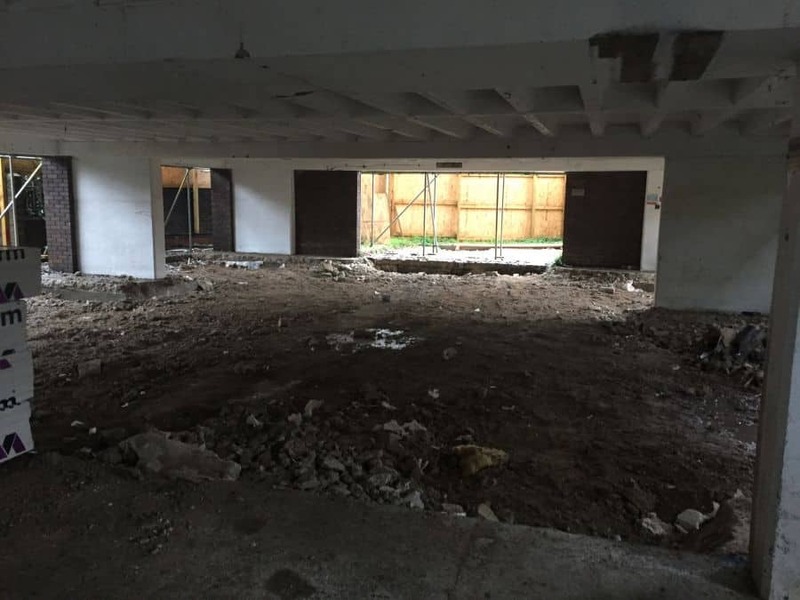 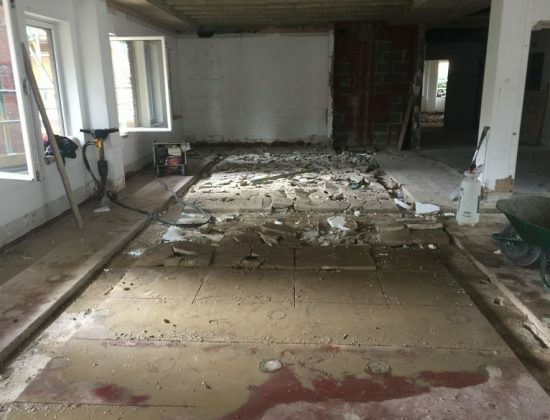 If you currently own a disused property, or would like to invest in a similar project, then please contact us at info@ocealife.com. 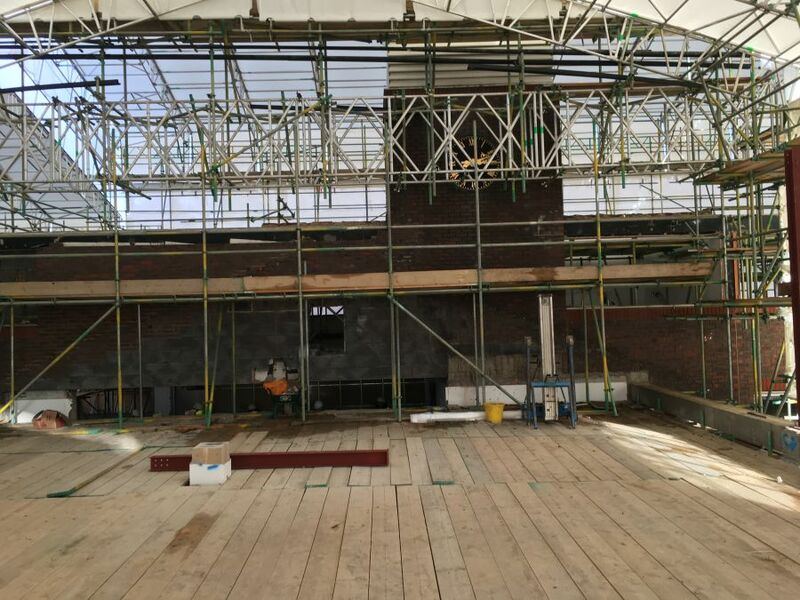 The past month at Tempus Court has seen great visual progress. 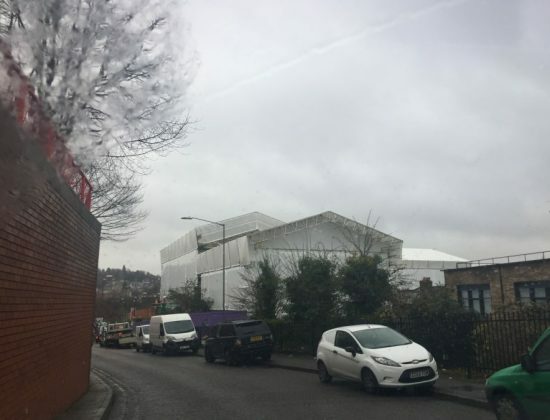 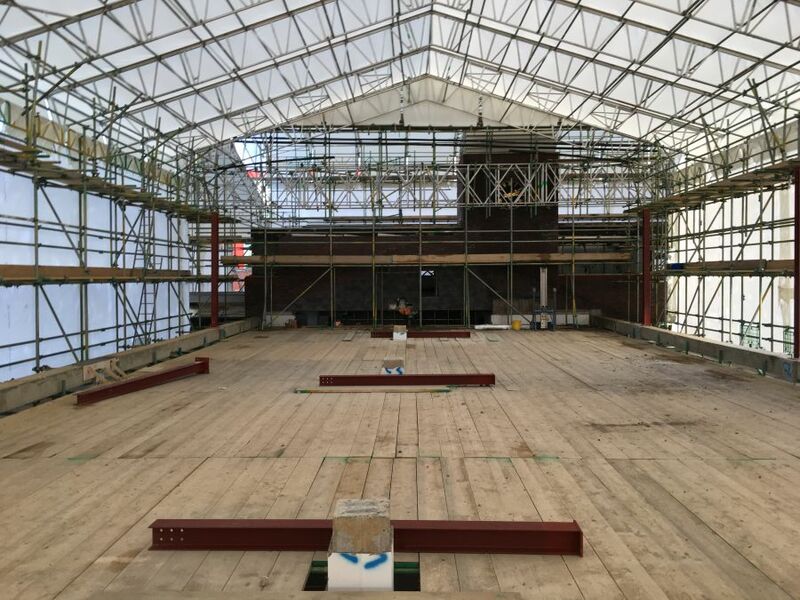 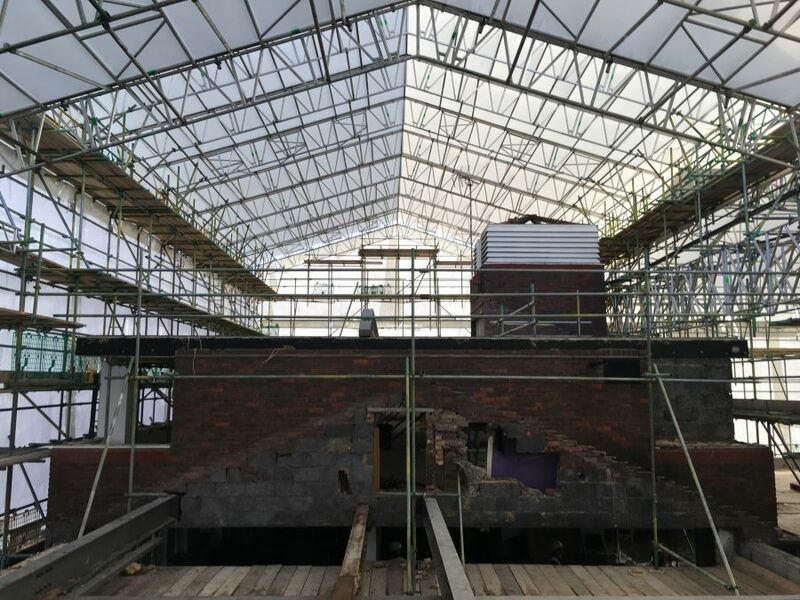 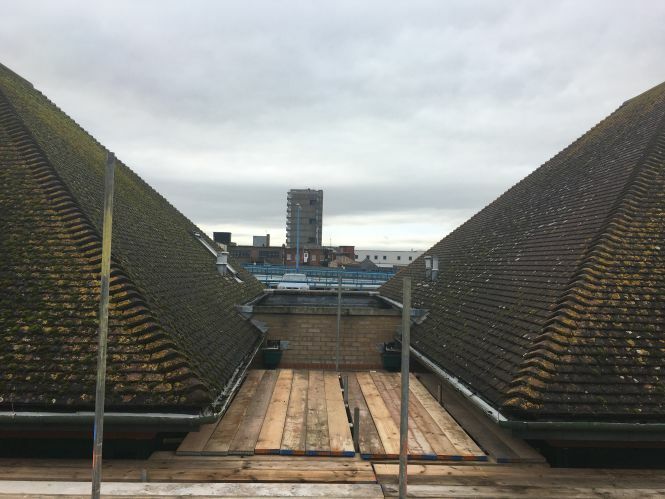 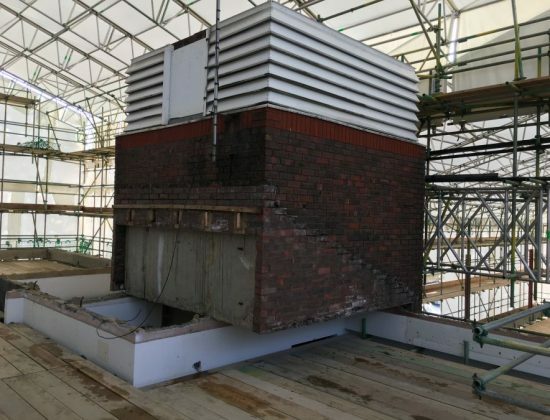 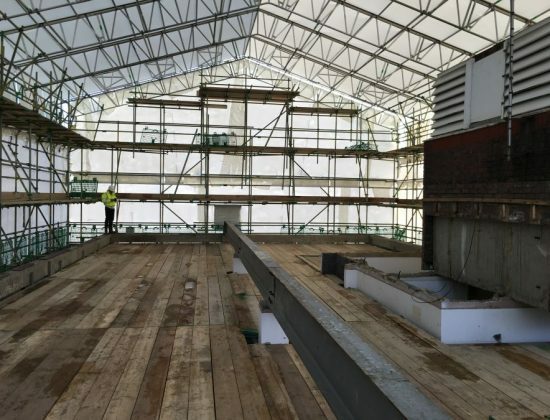 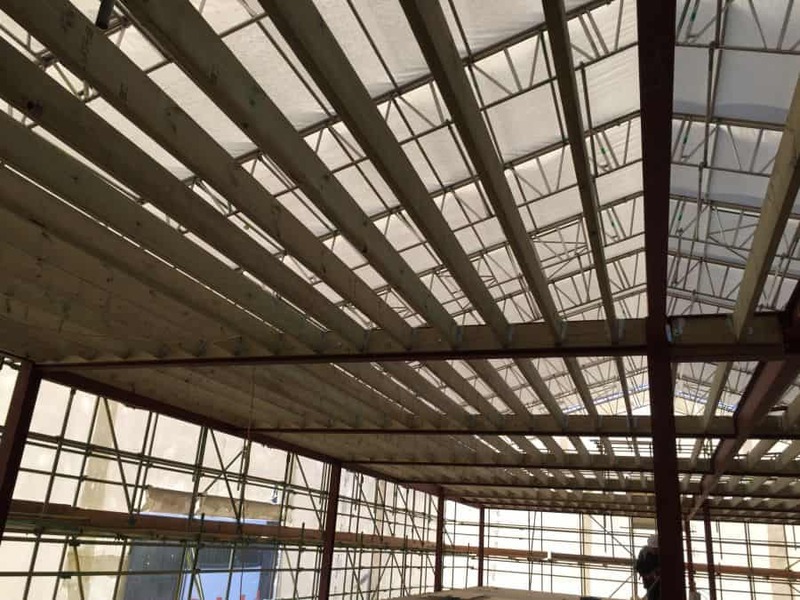 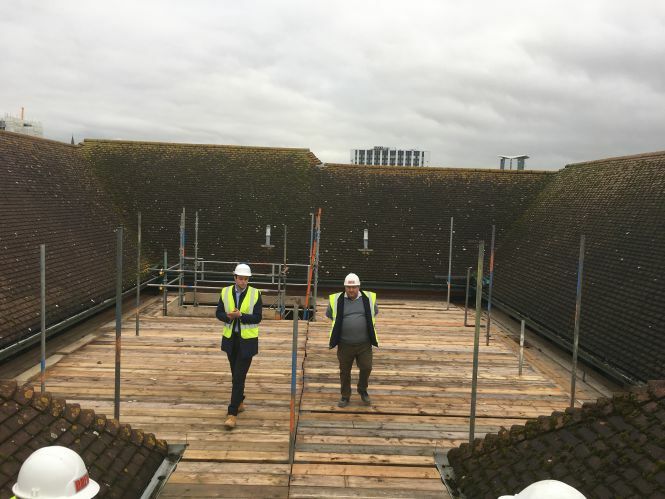 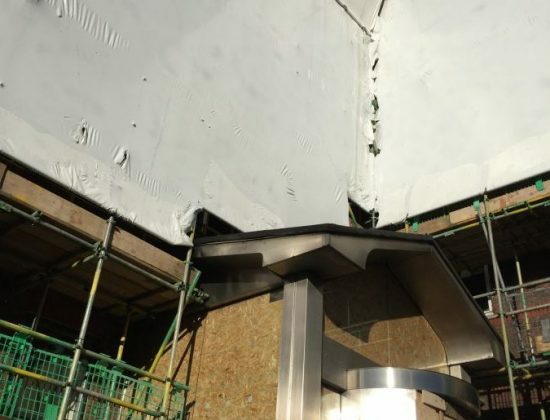 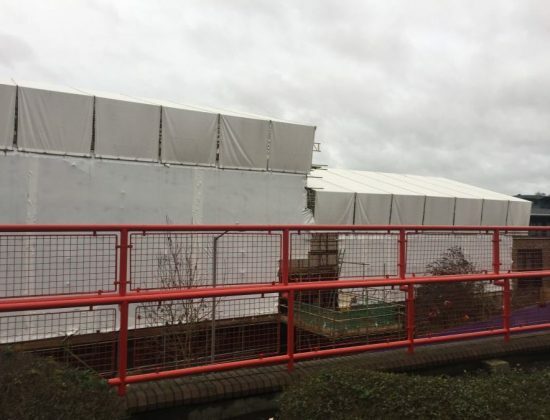 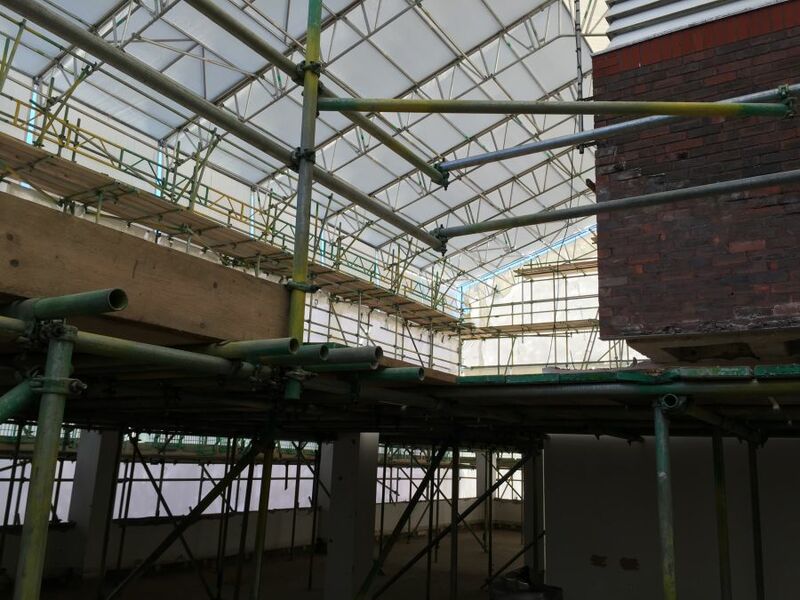 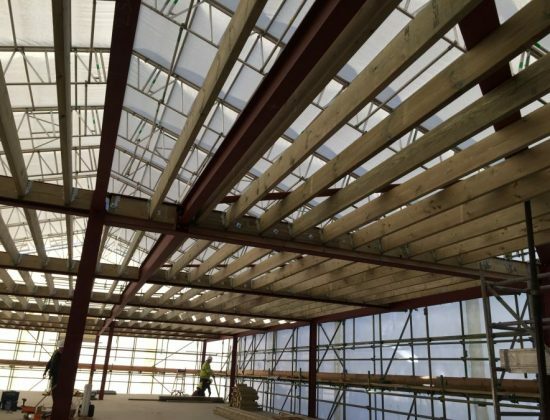 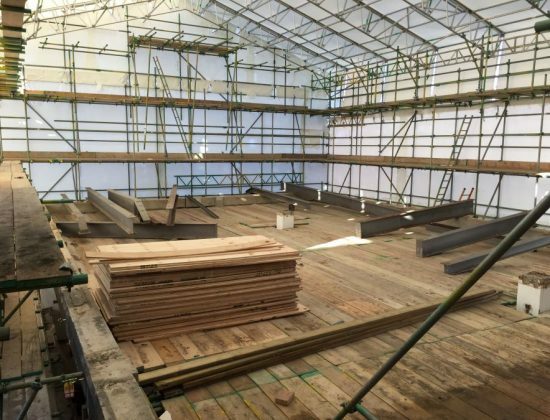 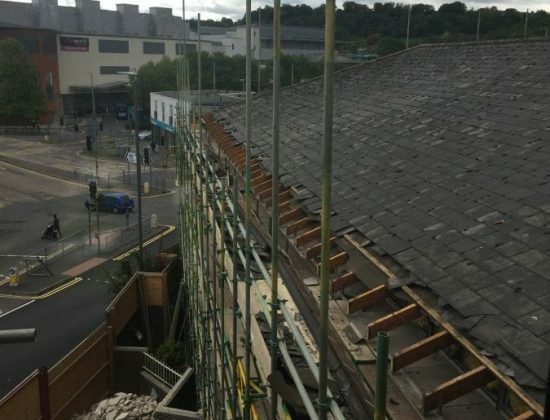 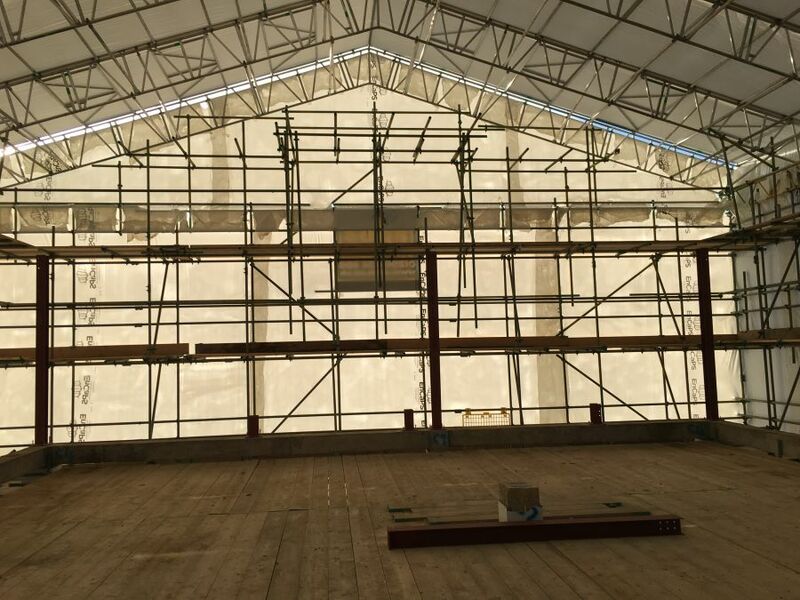 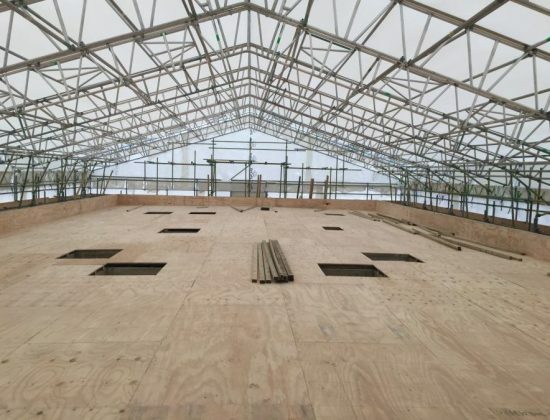 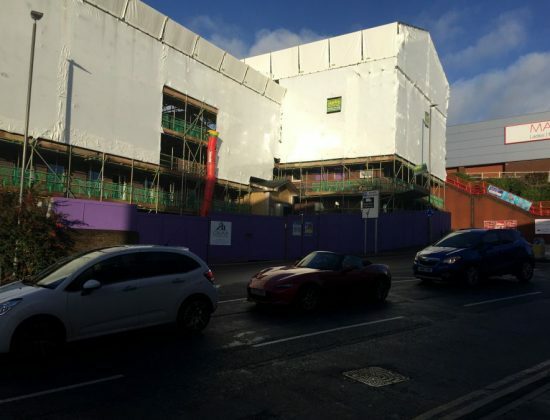 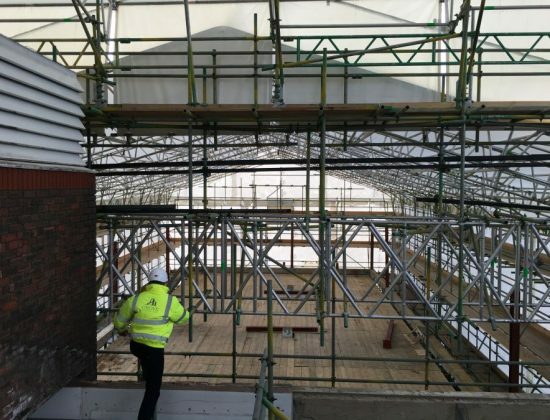 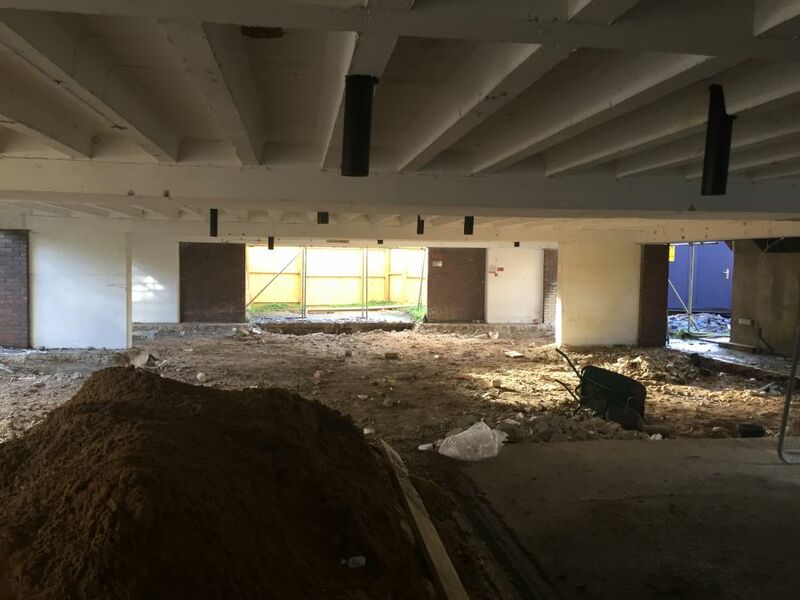 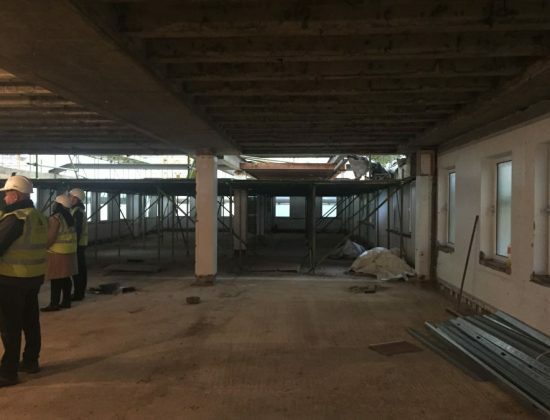 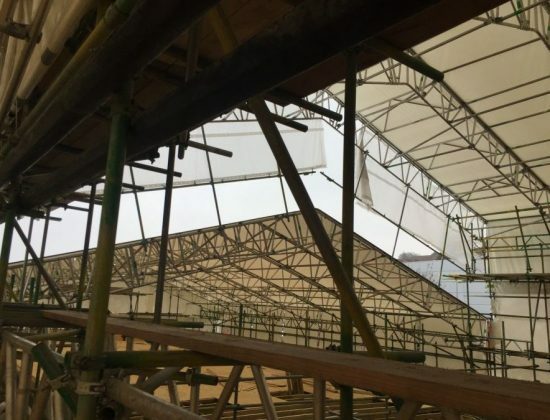 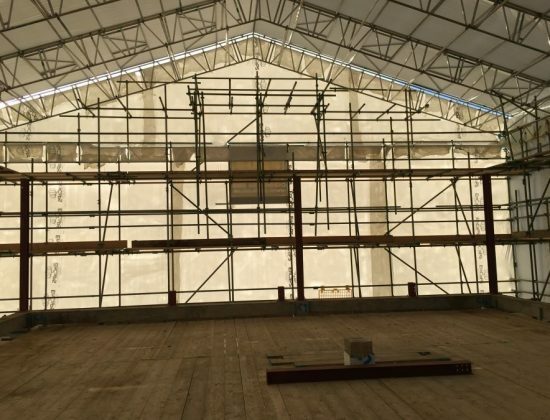 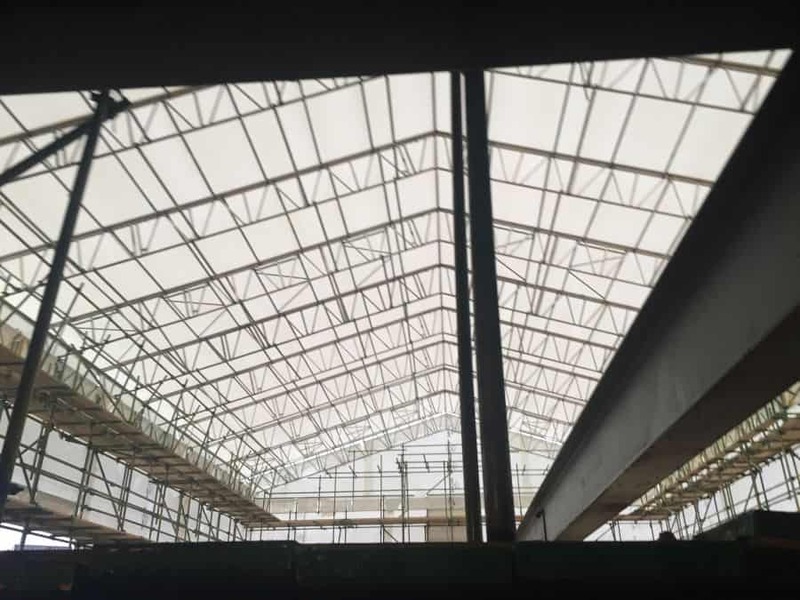 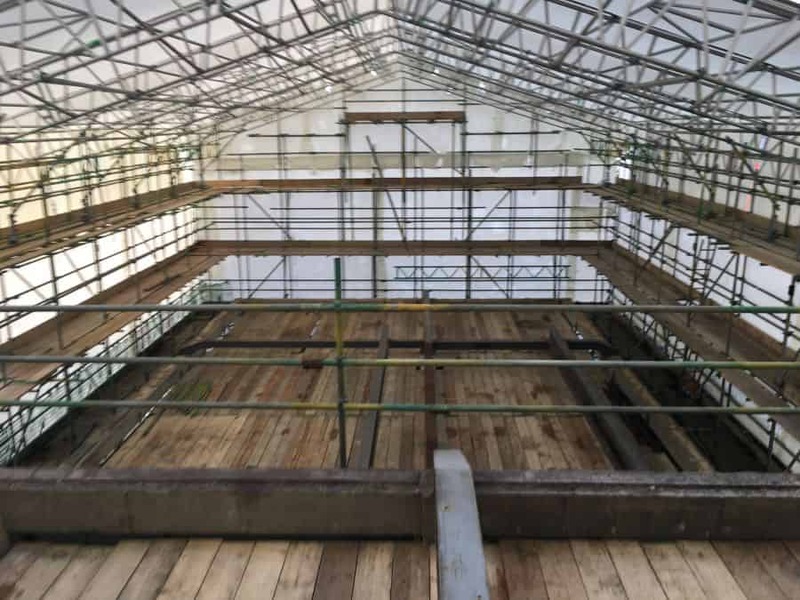 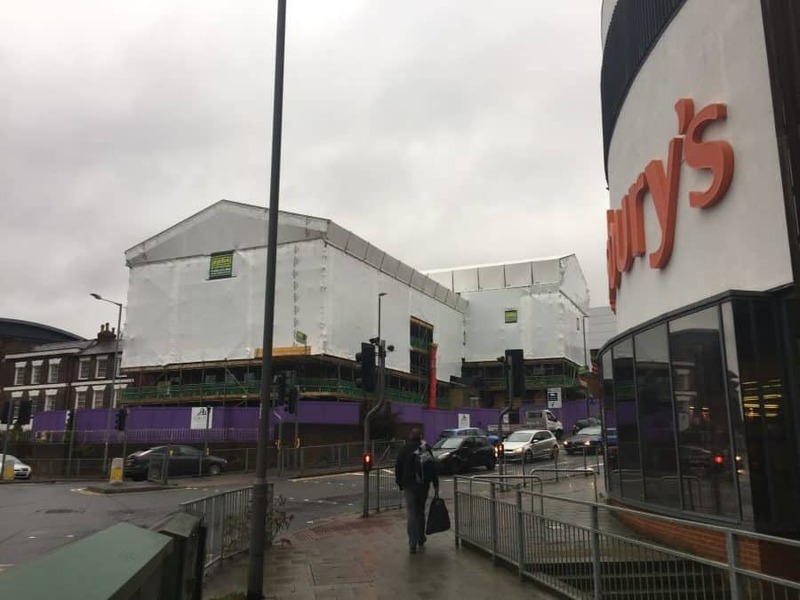 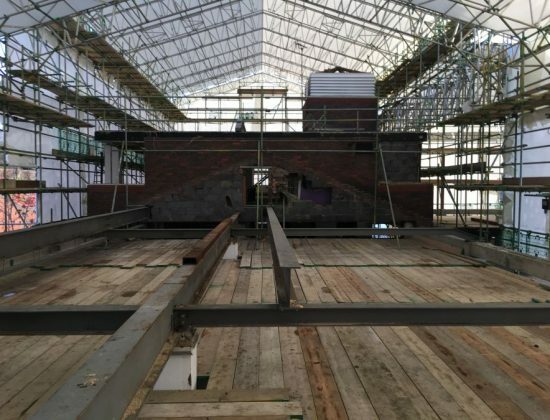 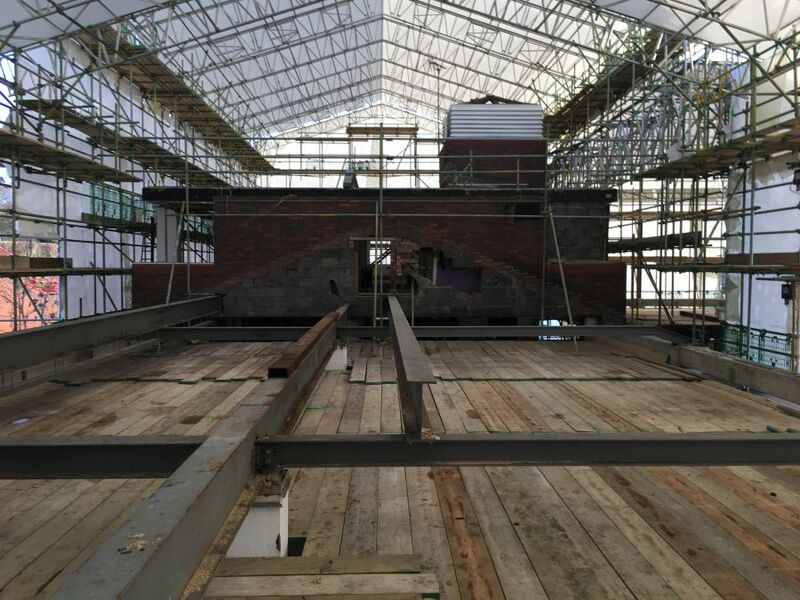 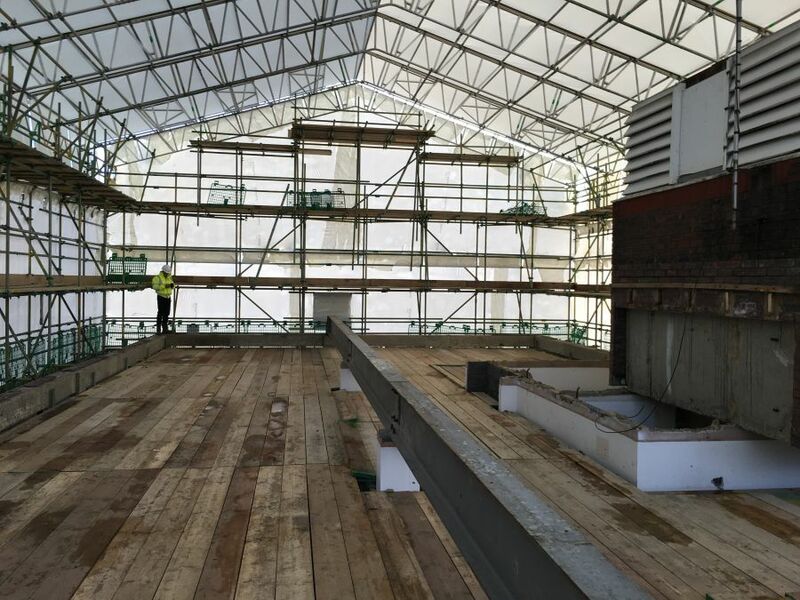 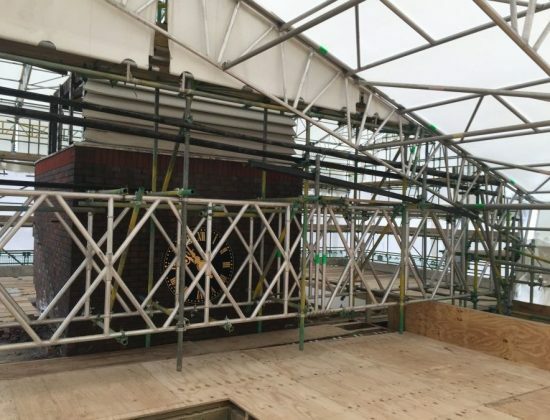 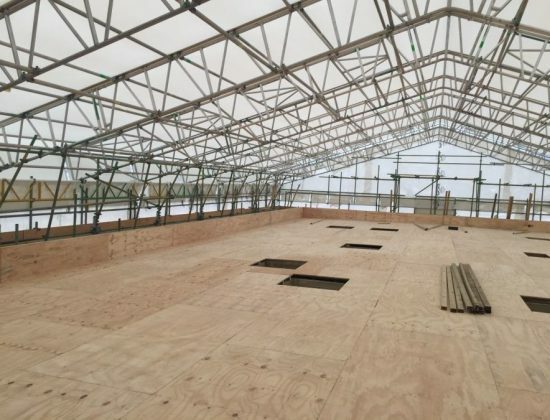 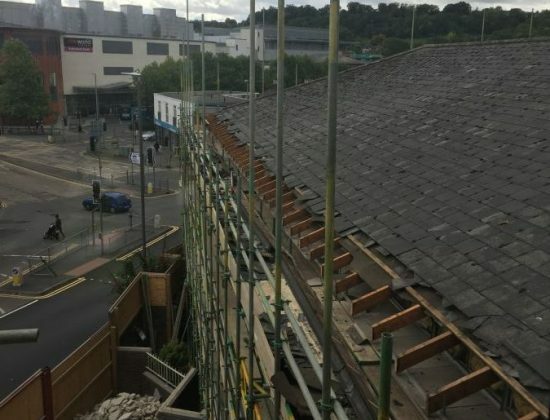 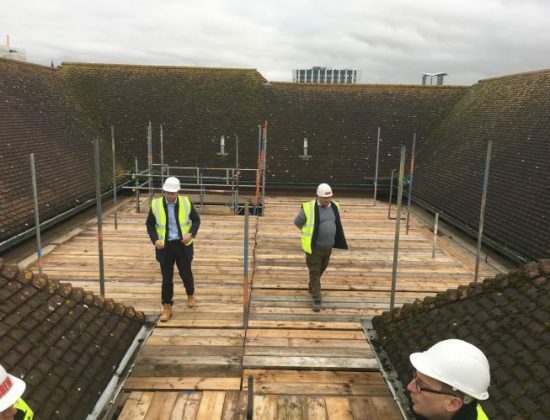 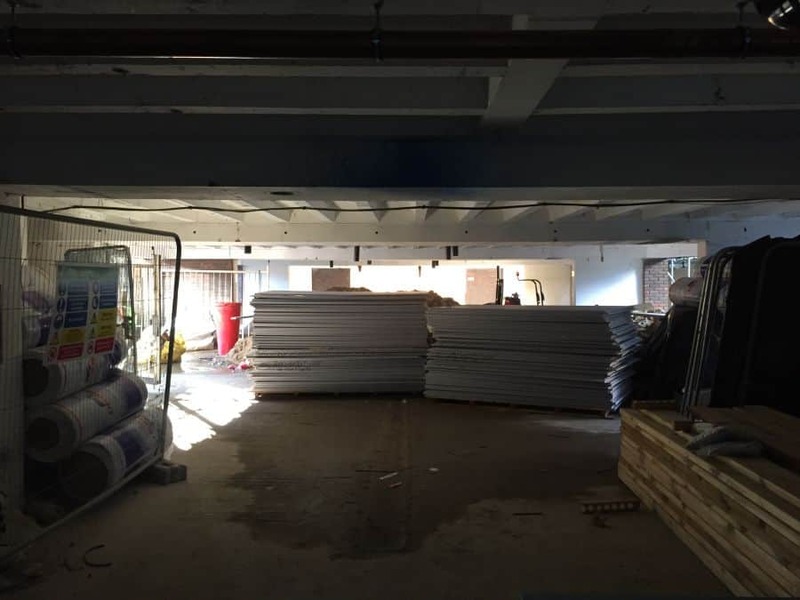 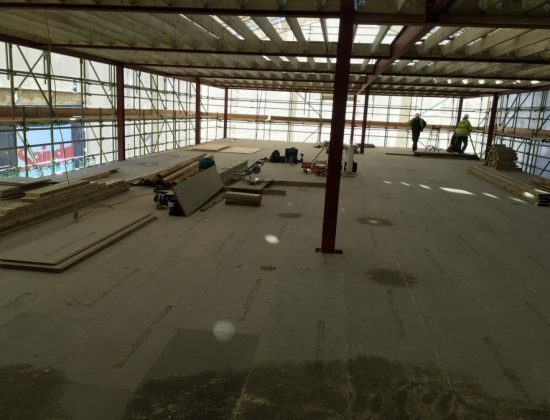 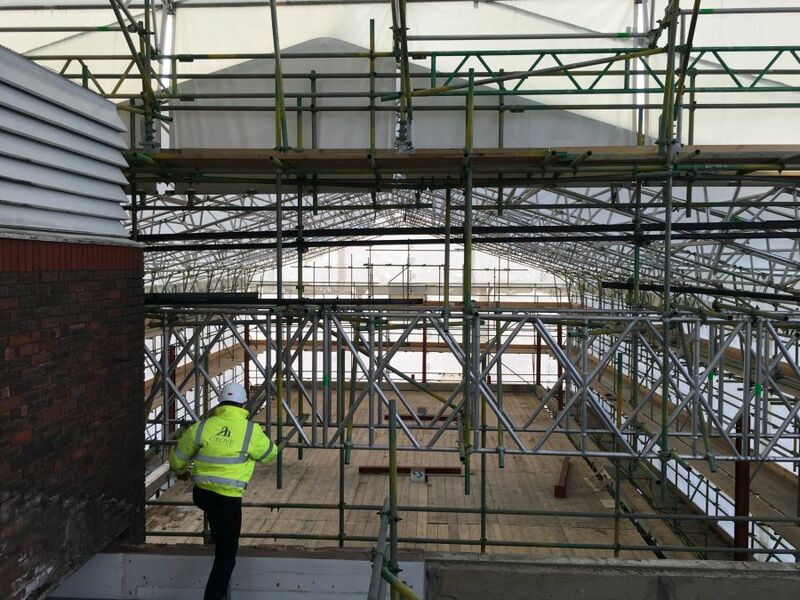 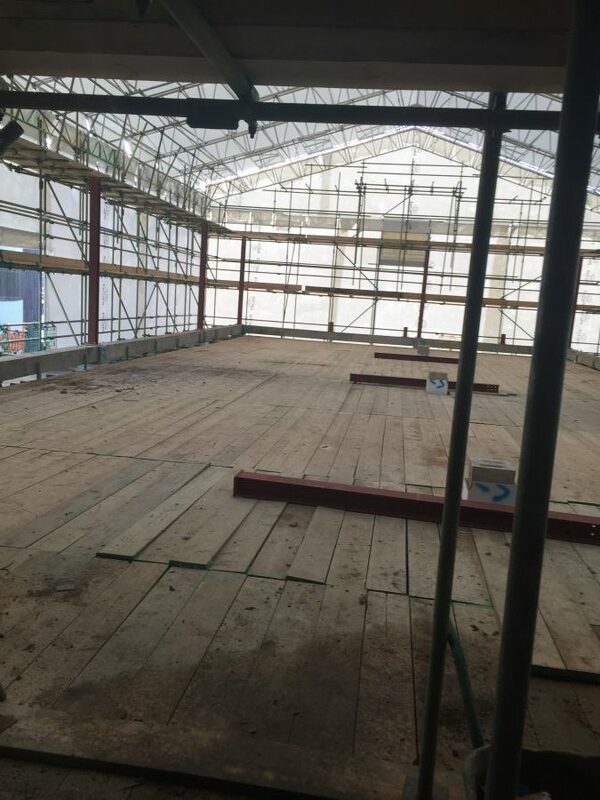 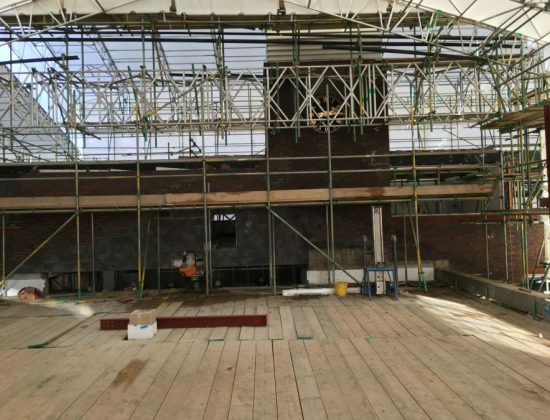 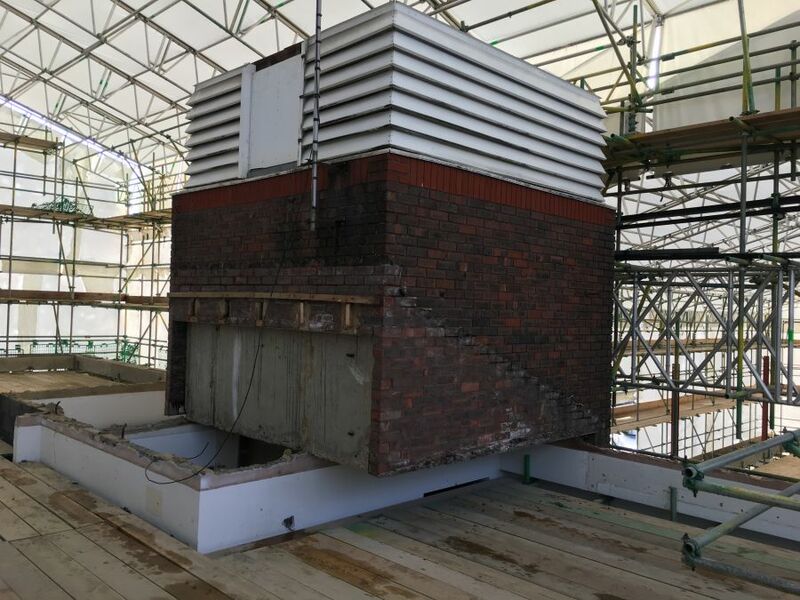 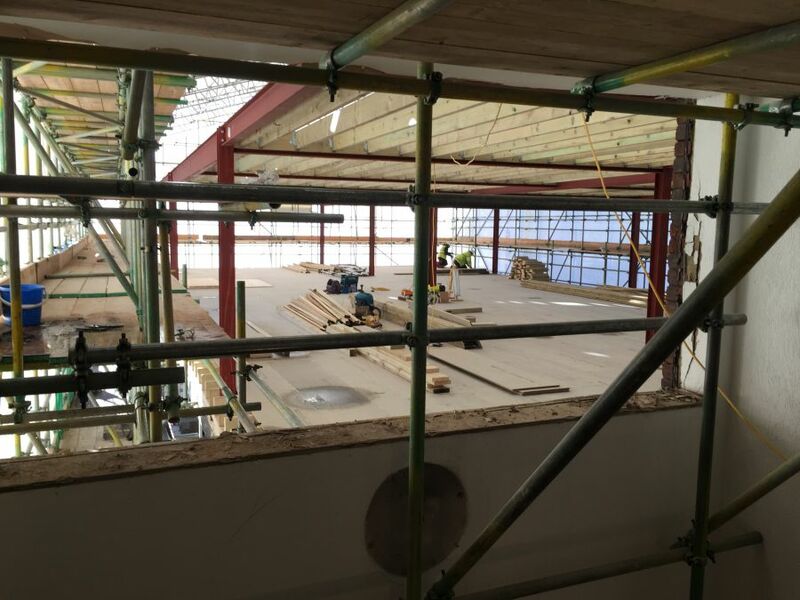 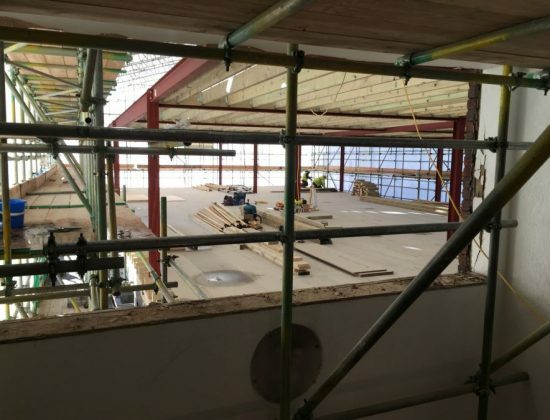 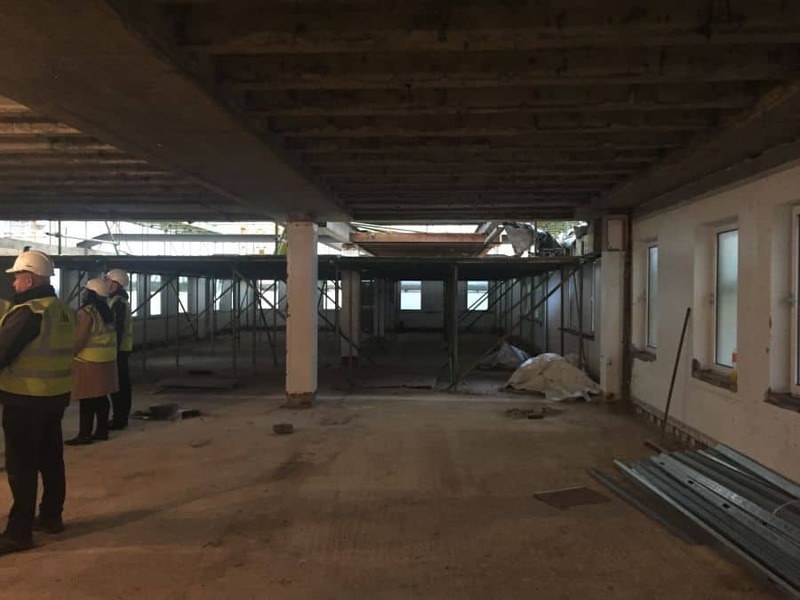 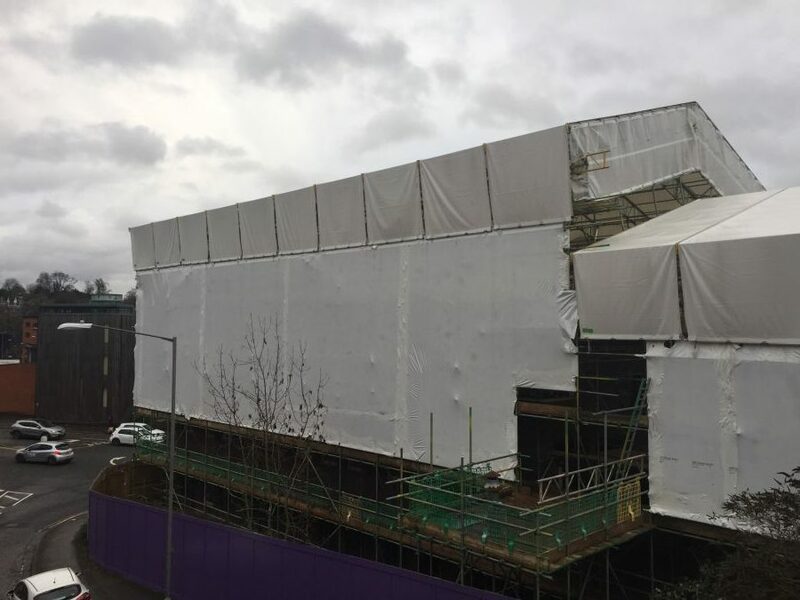 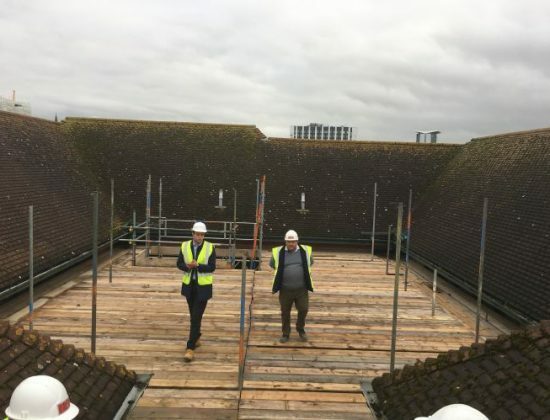 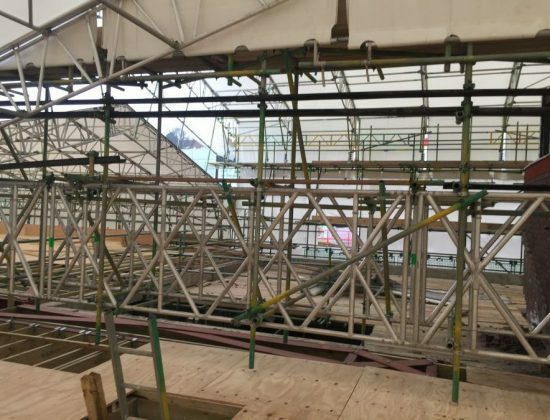 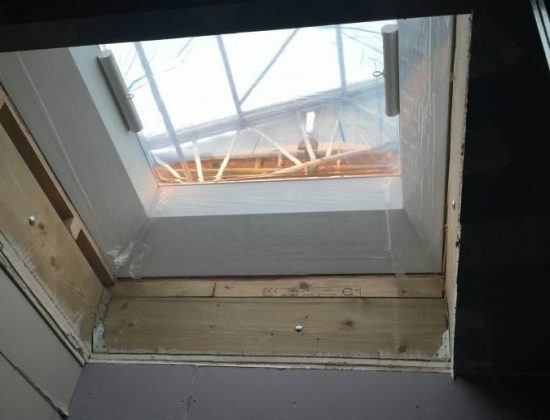 Phase 1 now has a completed roof with coverings fitted and roof lights installed with the structural brickwork having commenced we’re expecting phase 1 to be completed within the next month! 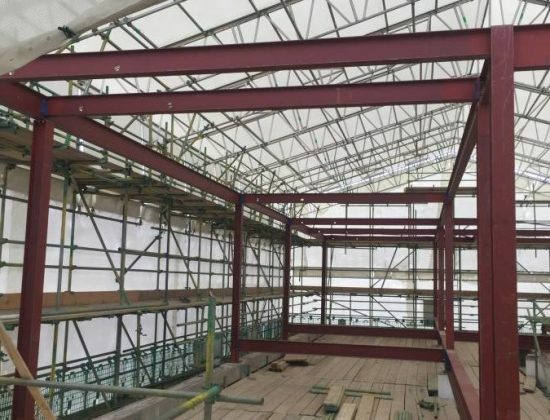 Phase 2&3 are underway with the final structural steel work being installed within the next couple of weeks. 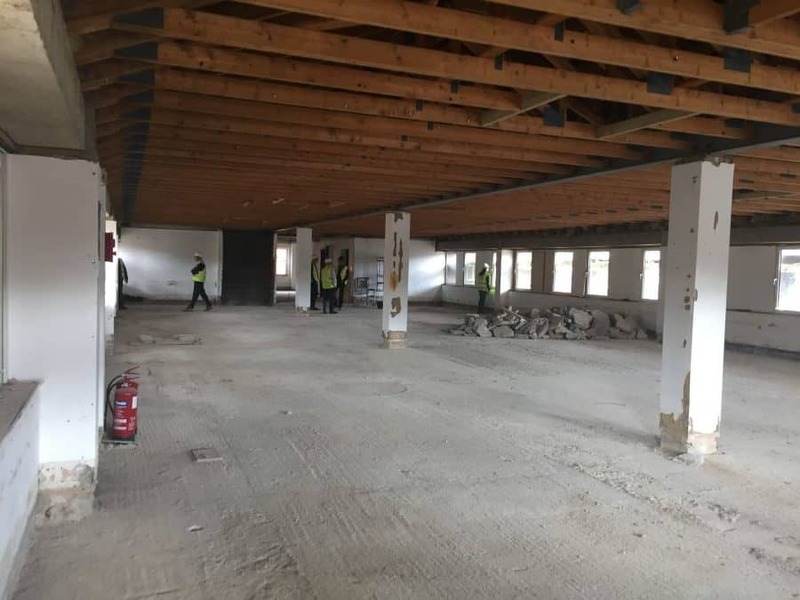 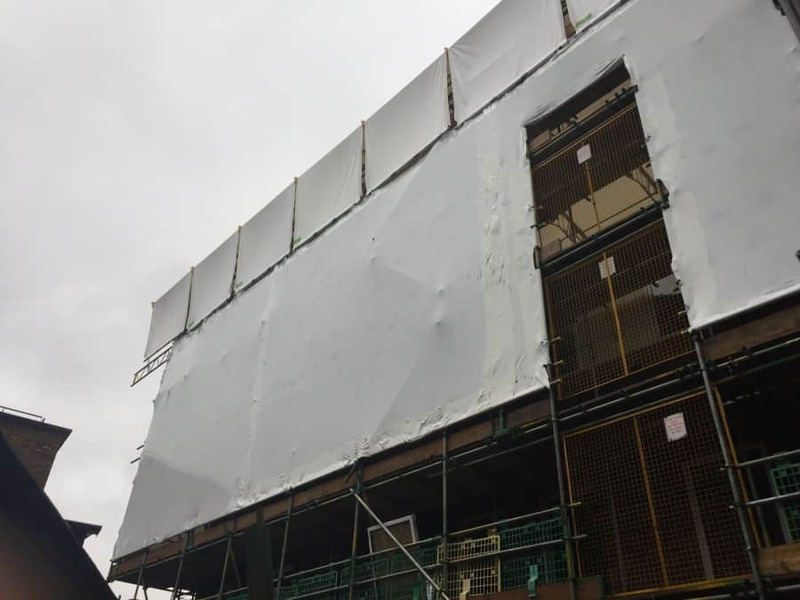 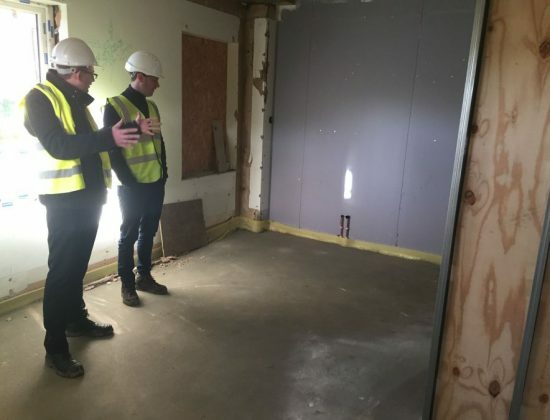 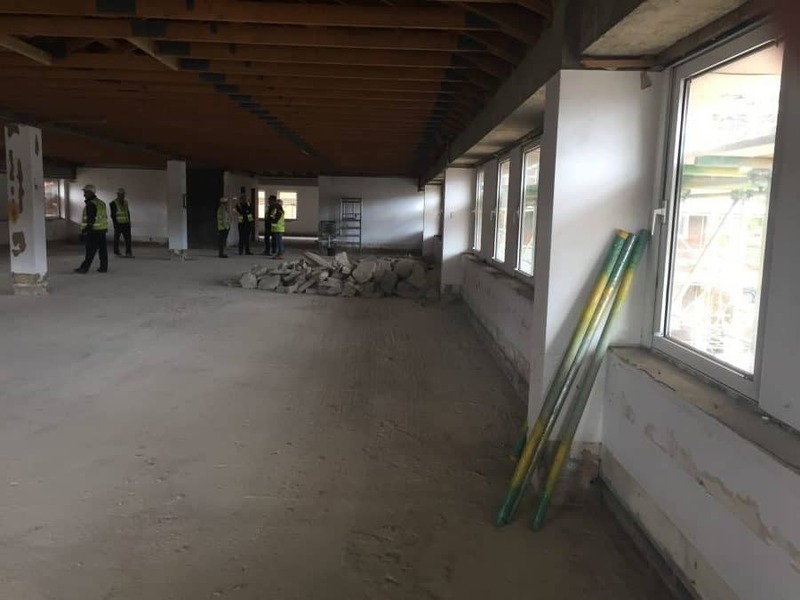 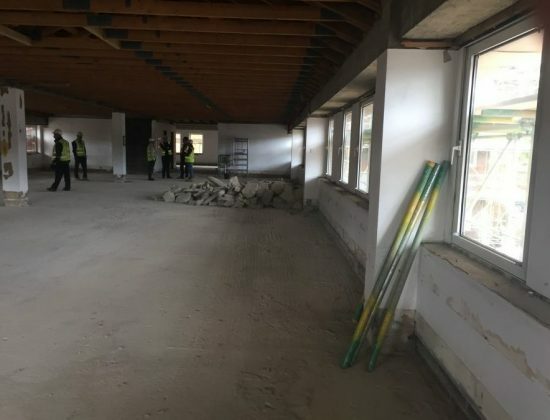 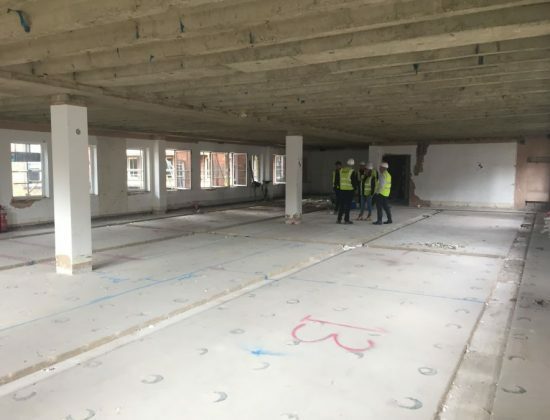 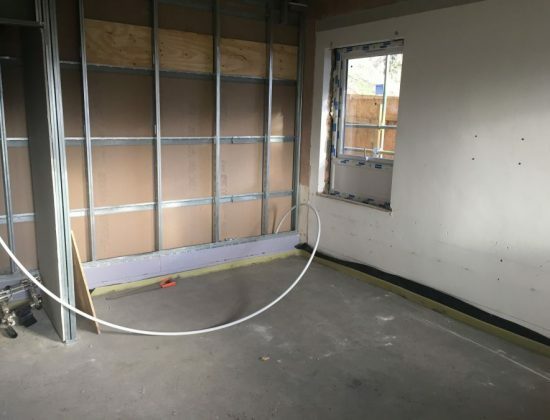 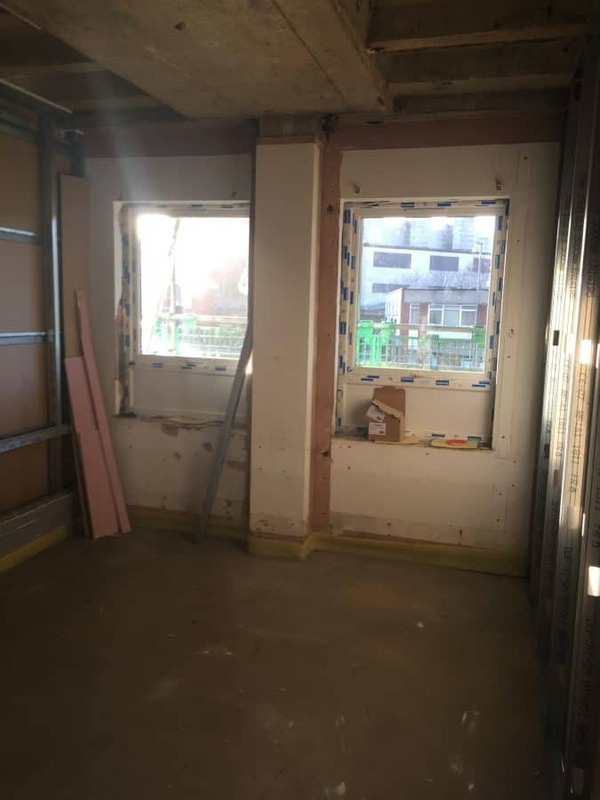 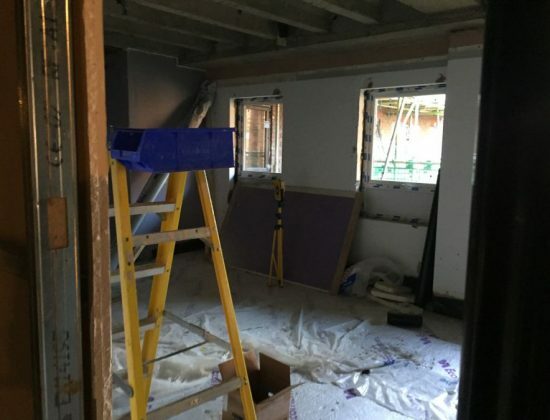 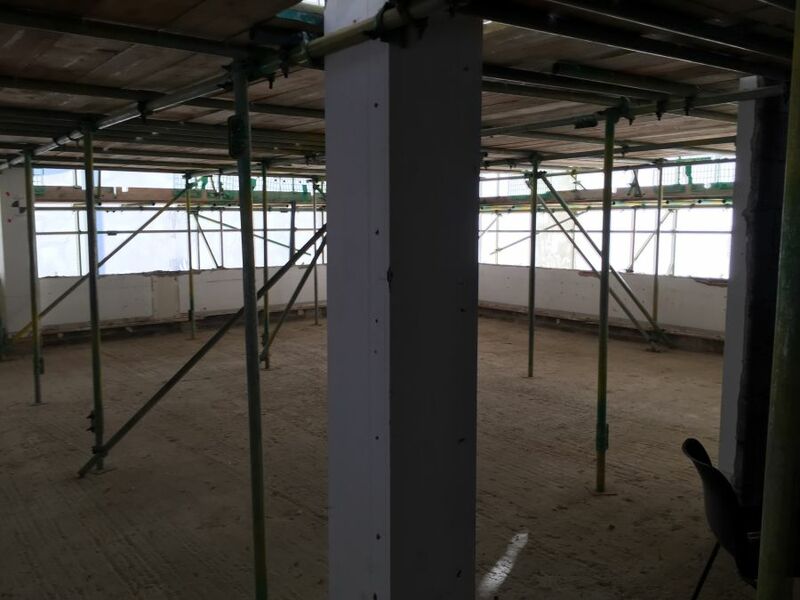 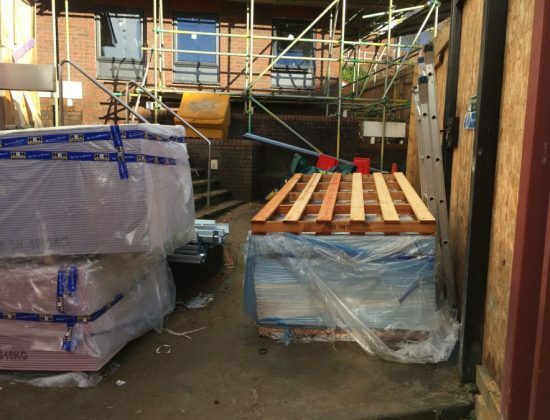 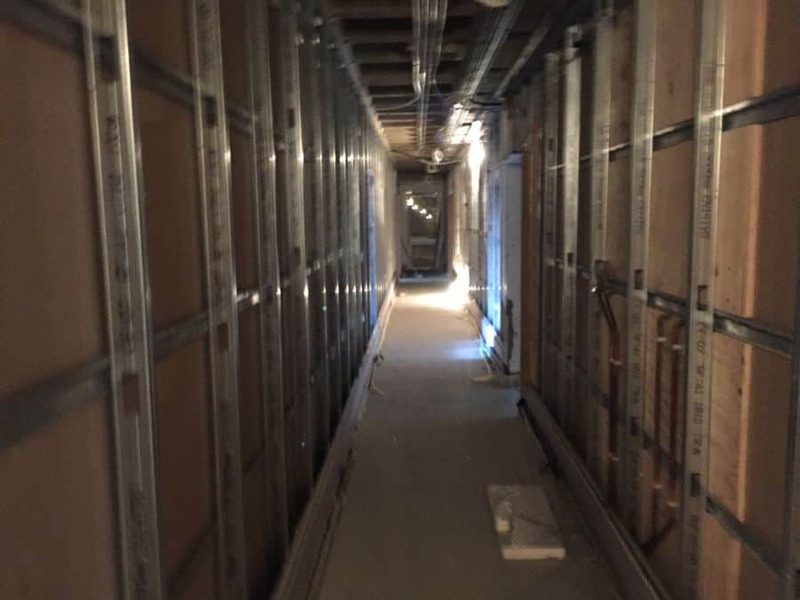 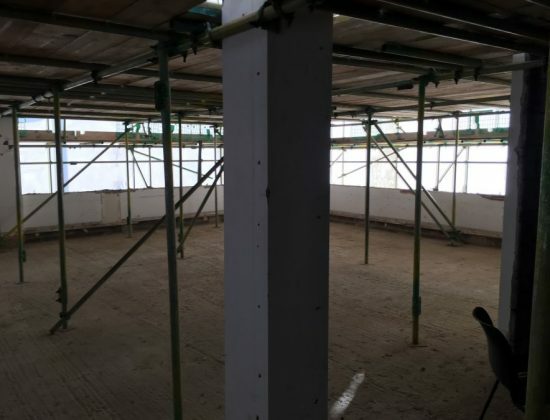 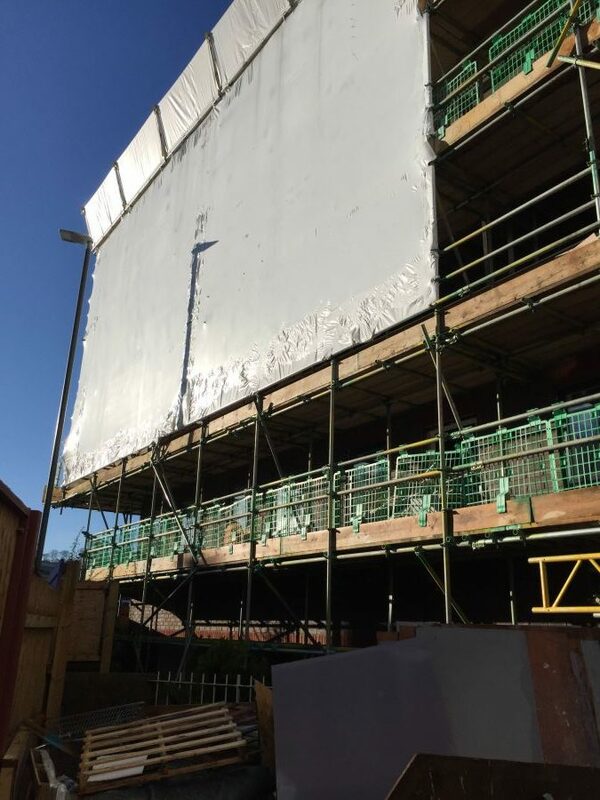 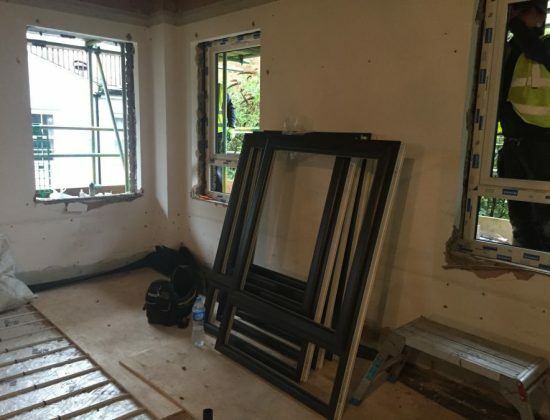 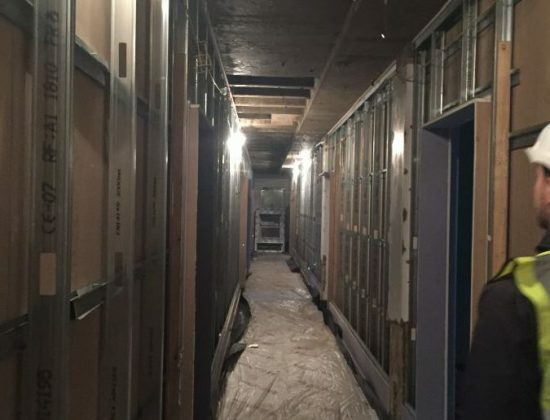 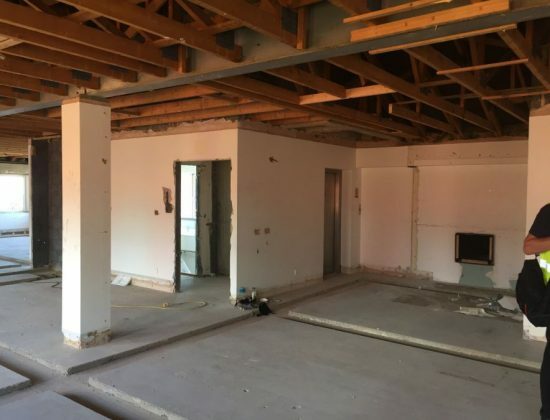 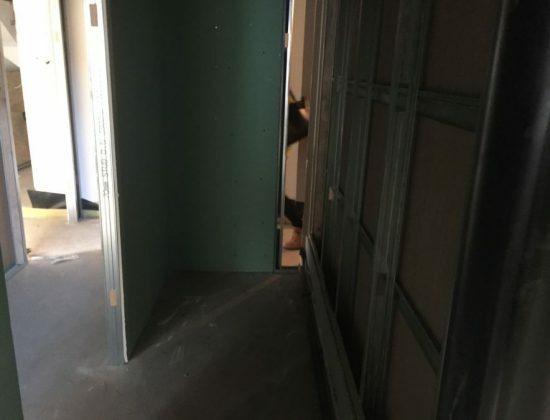 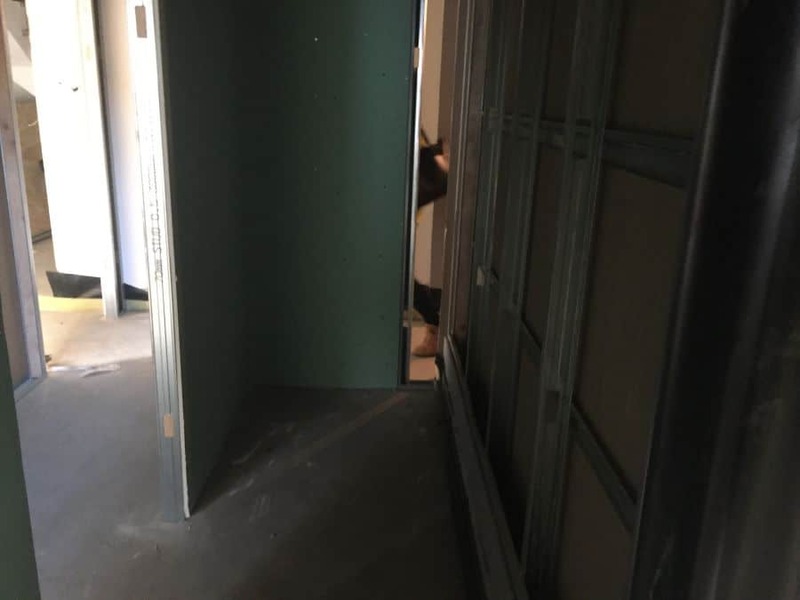 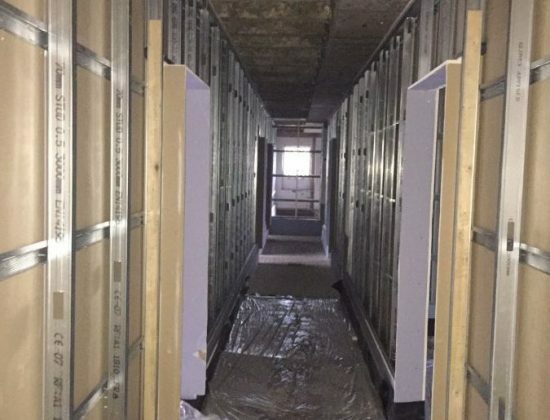 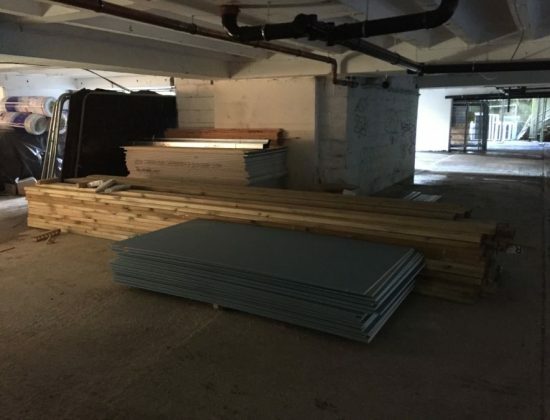 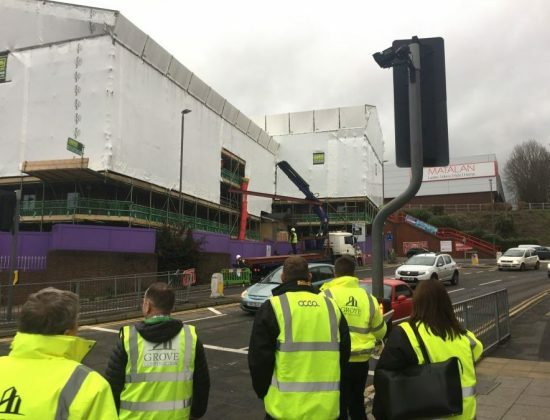 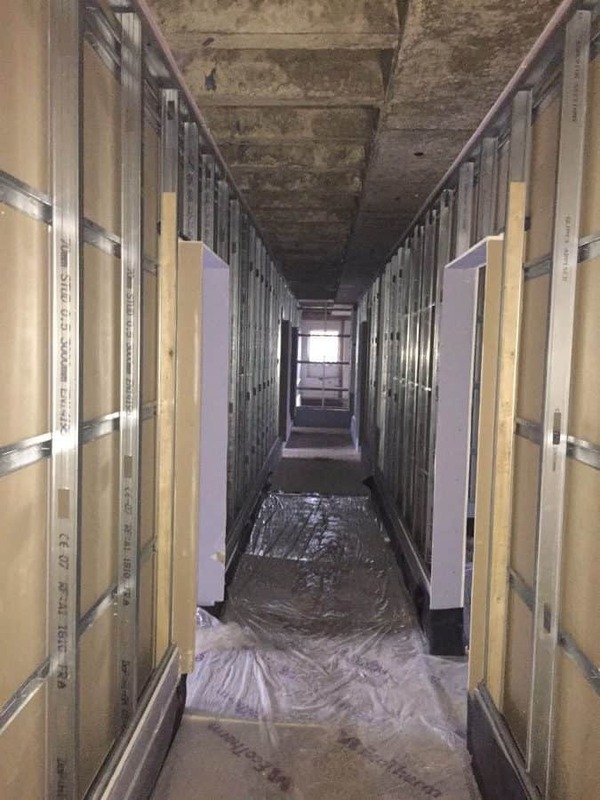 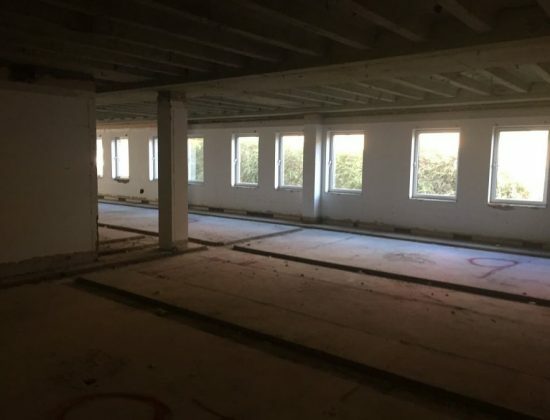 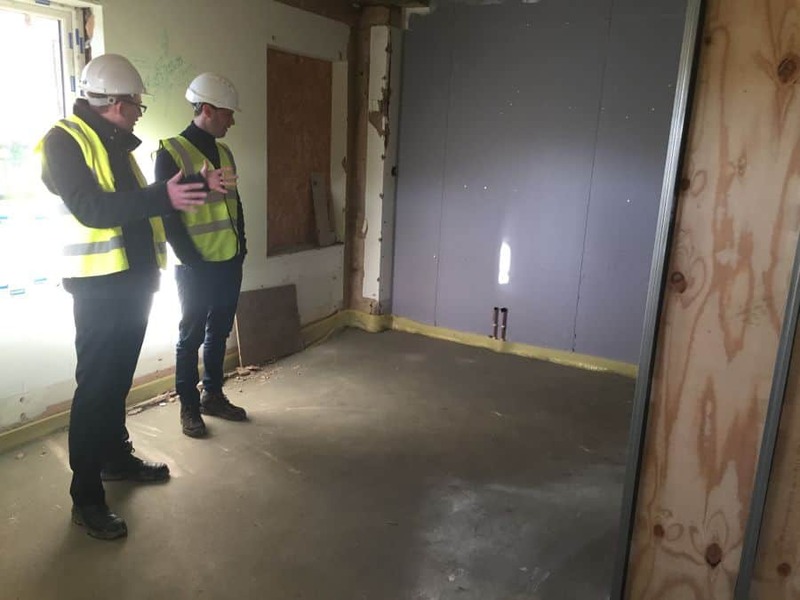 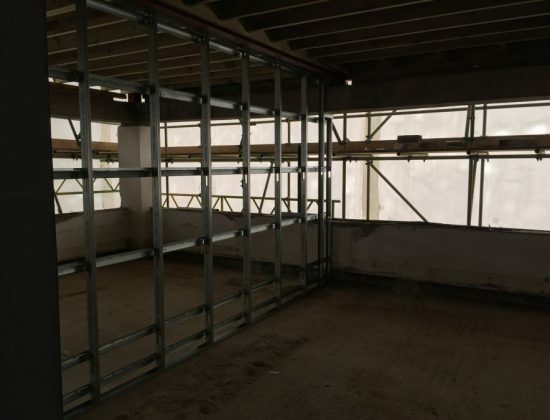 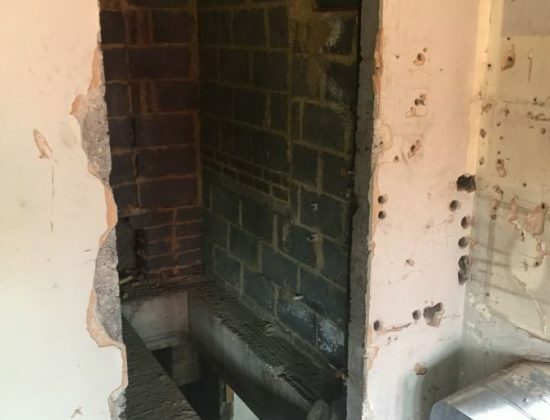 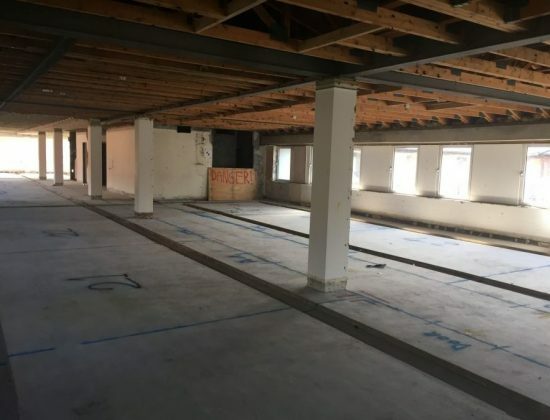 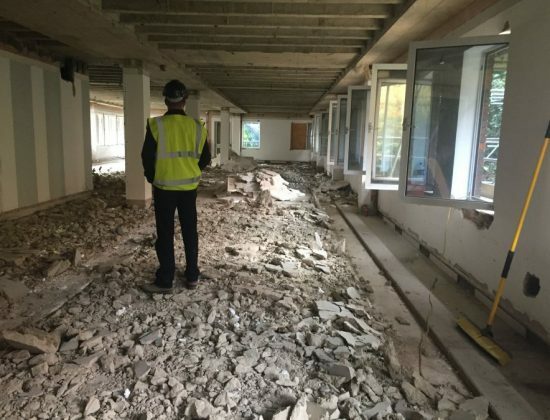 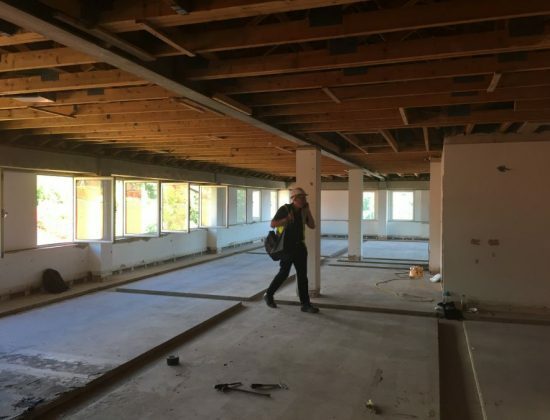 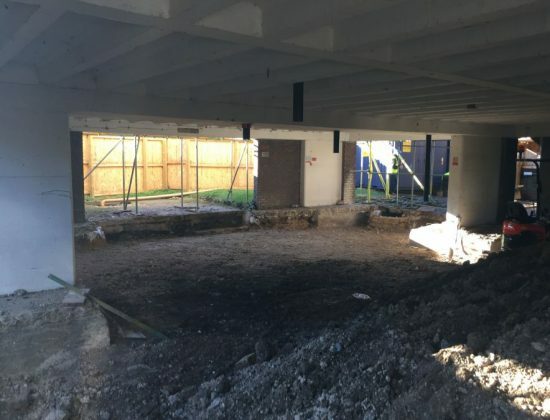 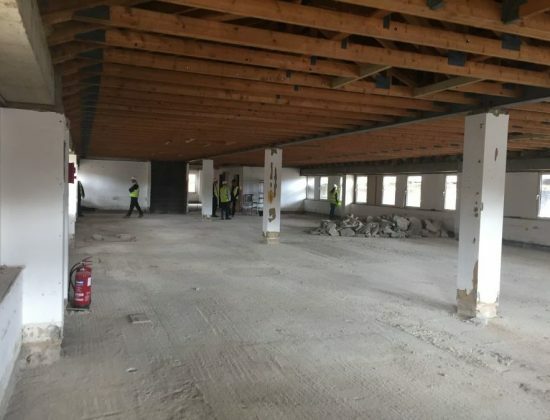 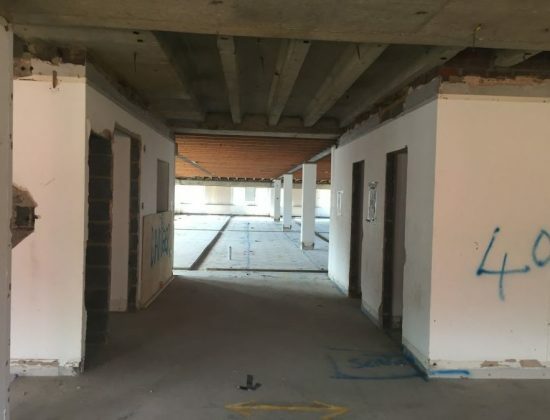 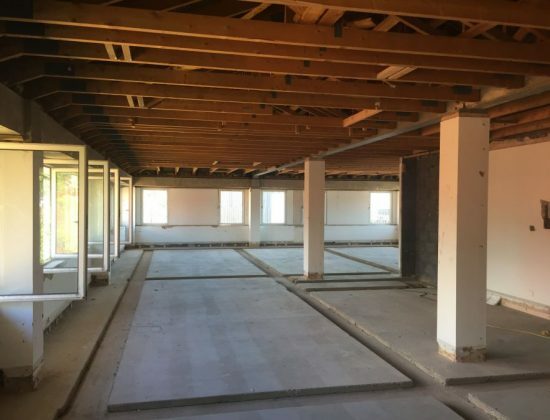 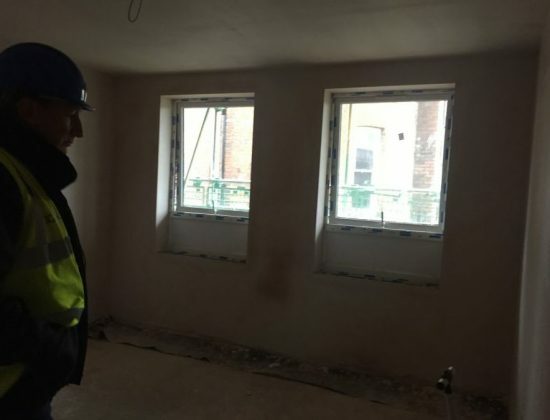 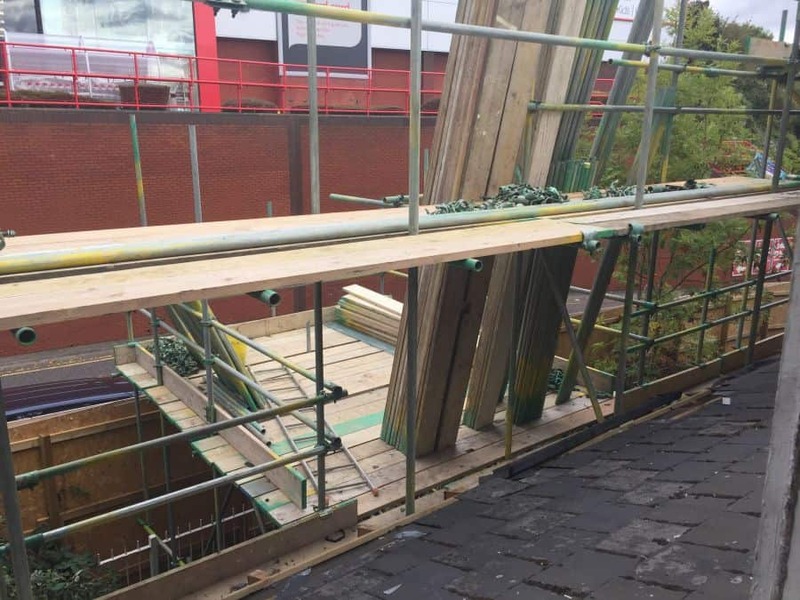 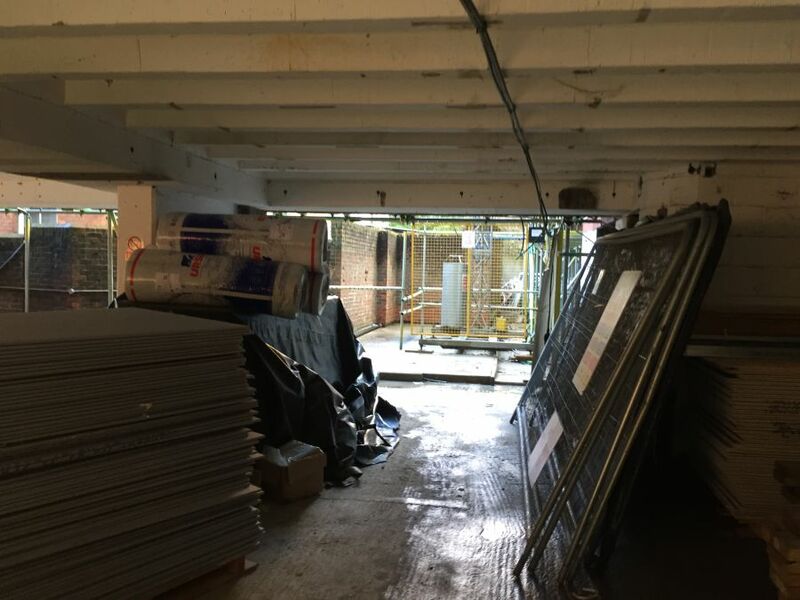 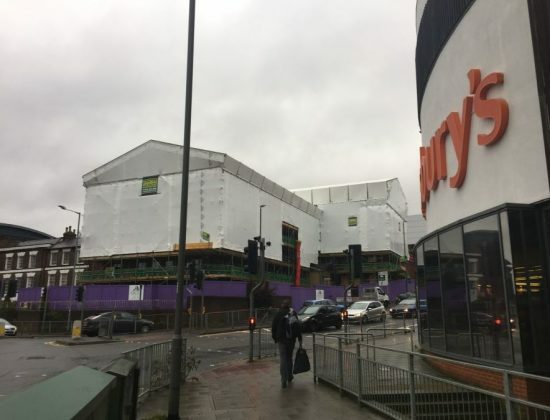 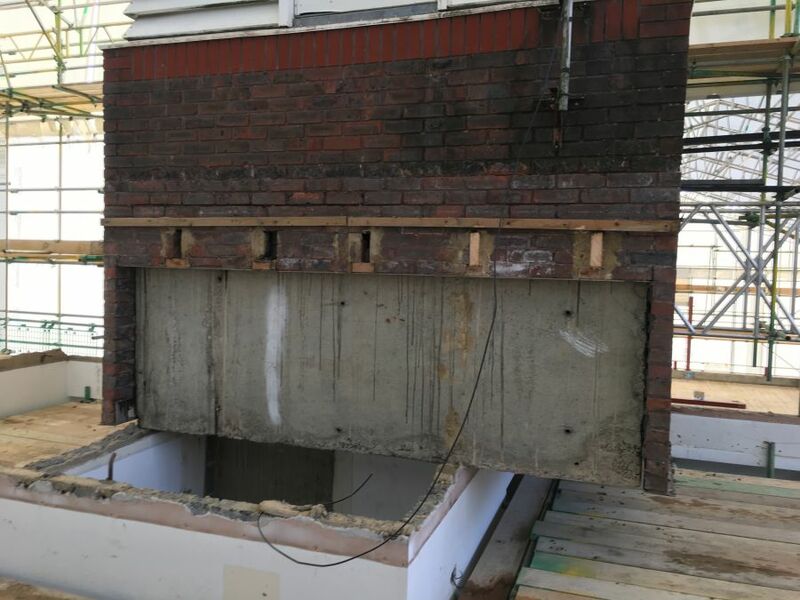 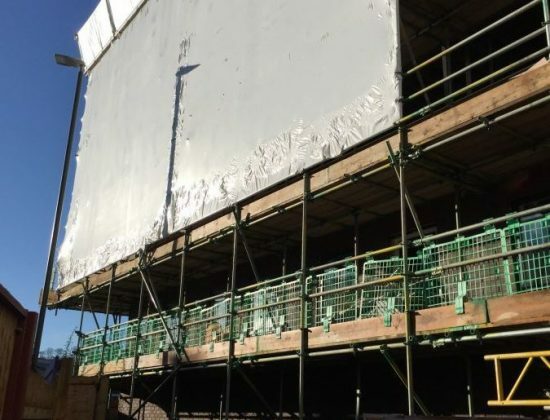 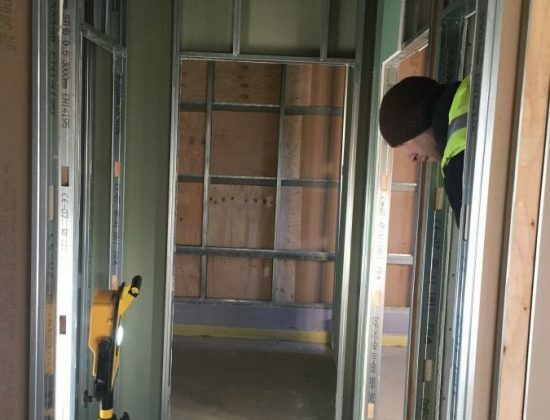 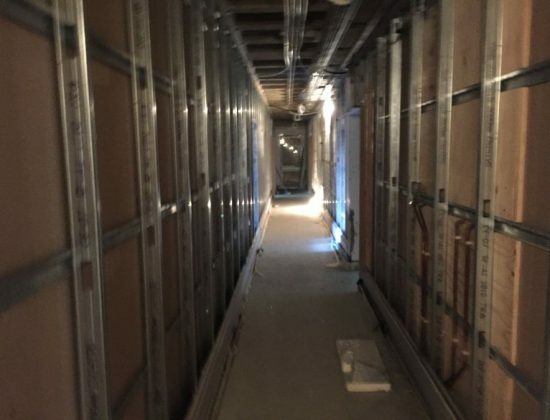 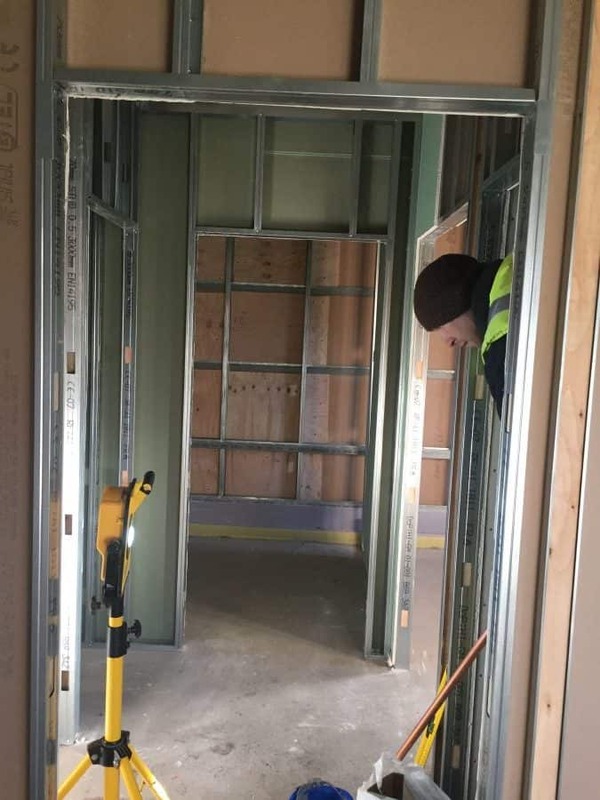 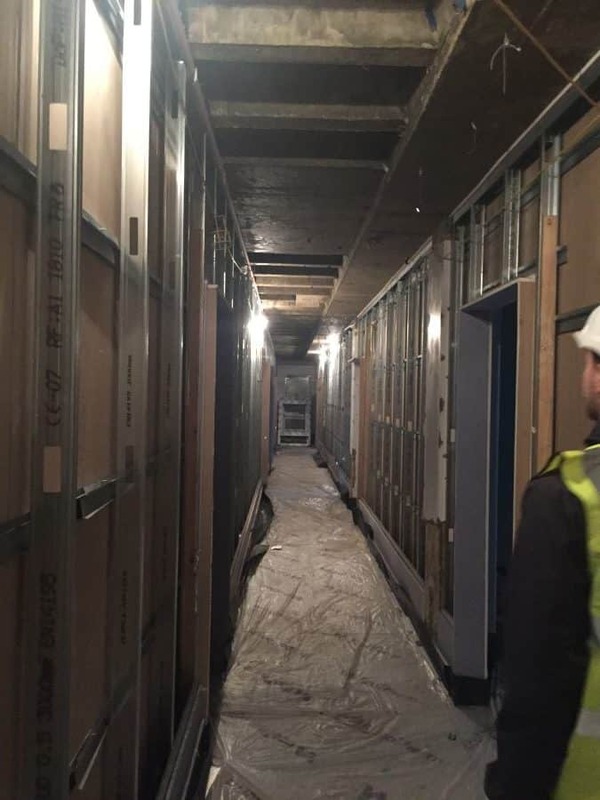 The duplex units this month have really taken shape, and we’re extremely excited to see how these incredibly innovative apartments will look once they’re finished. 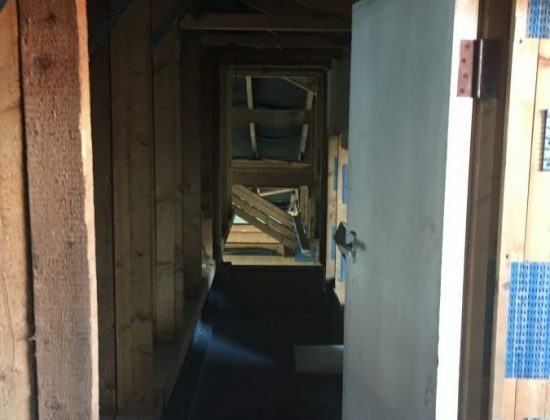 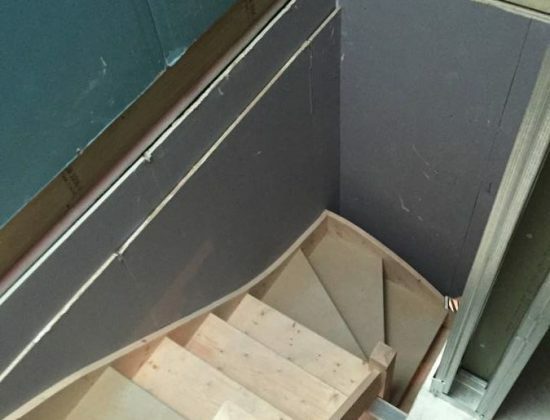 With 75% of the duplex staircases installed you can really begin to feel how we’ve been able to separate the sleeping and living space in a well worked and cosy space. 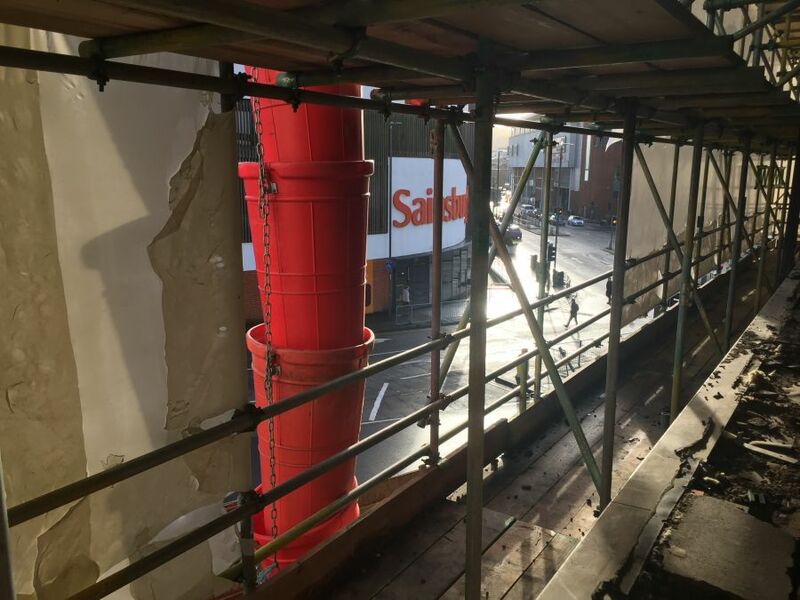 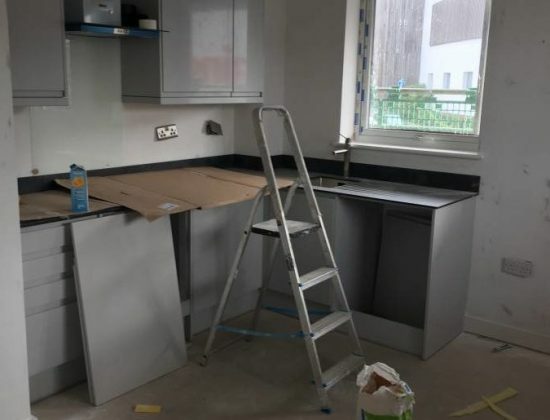 On the ground floor units, final decorations have commenced with our brand-new tiling and sanitaryware specification being fitted over the next couple of weeks. 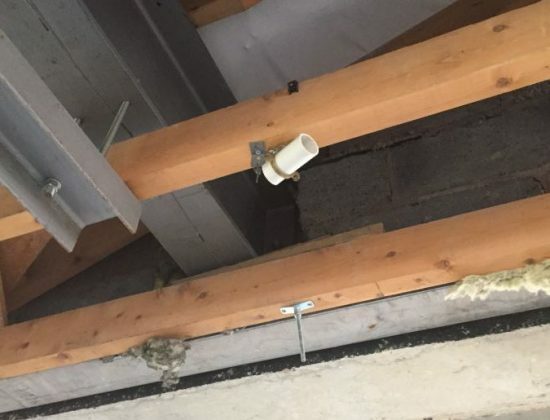 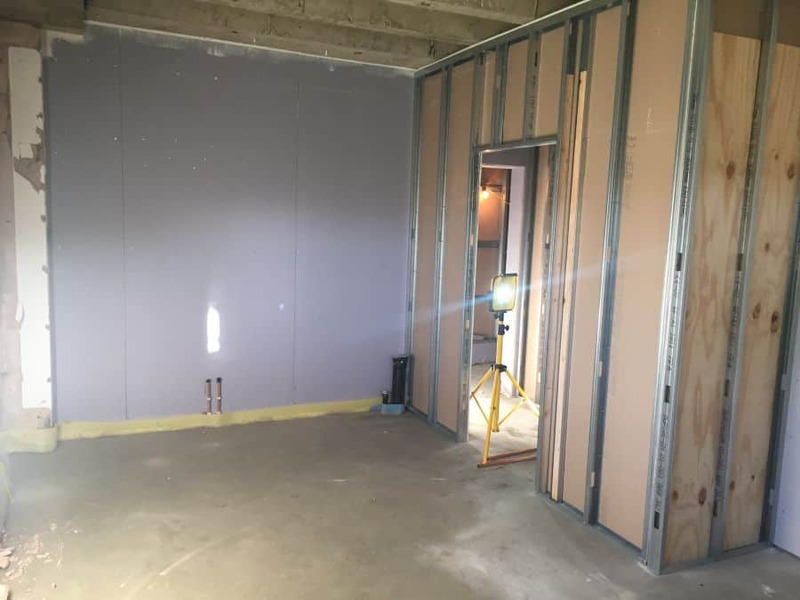 Some areas of 2nd fix electrics have already begun so quite a few of these units are already beginning to feel completed. 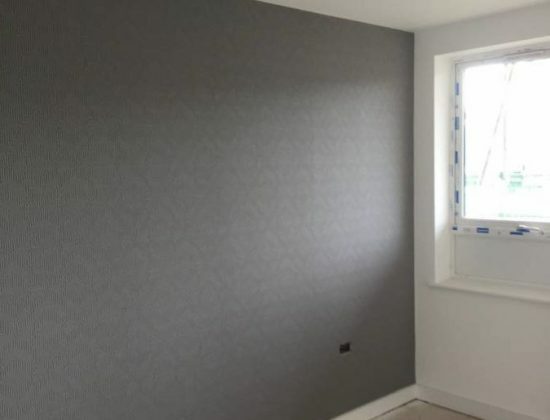 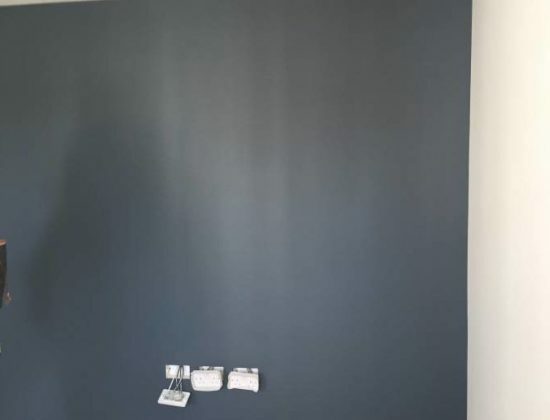 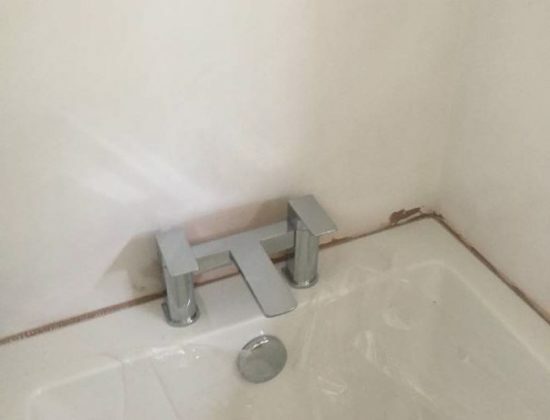 Our first show flat is very near completion for final snagging this week, at which point we can show you all how we’ve progressed our finishes over previous developments to provide an upgraded and luxury feel to all of our apartments! 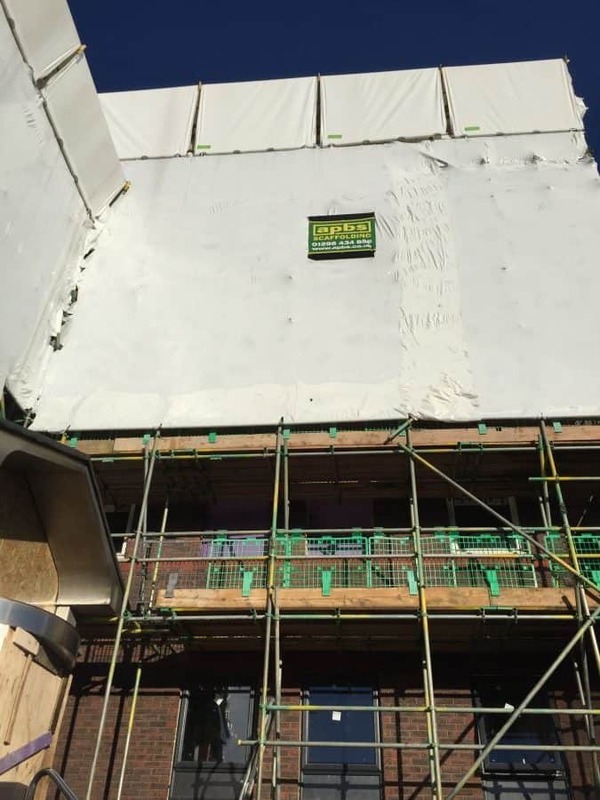 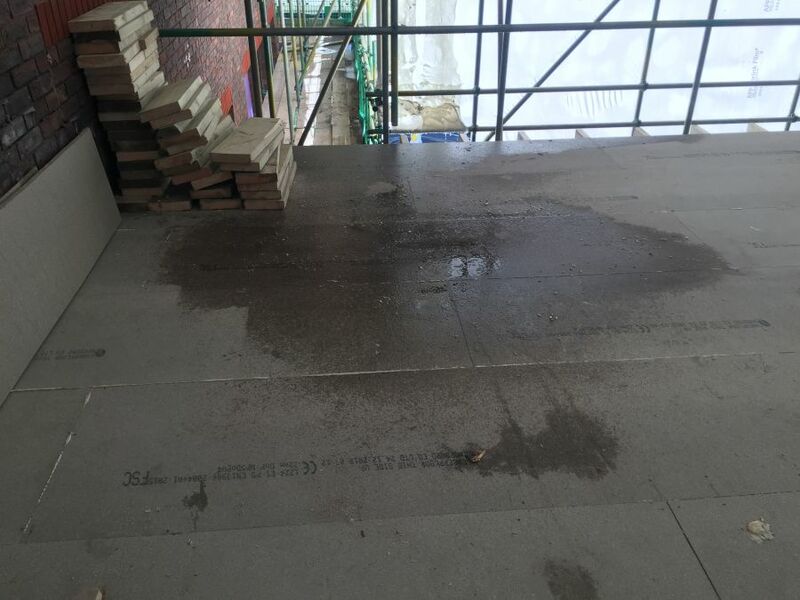 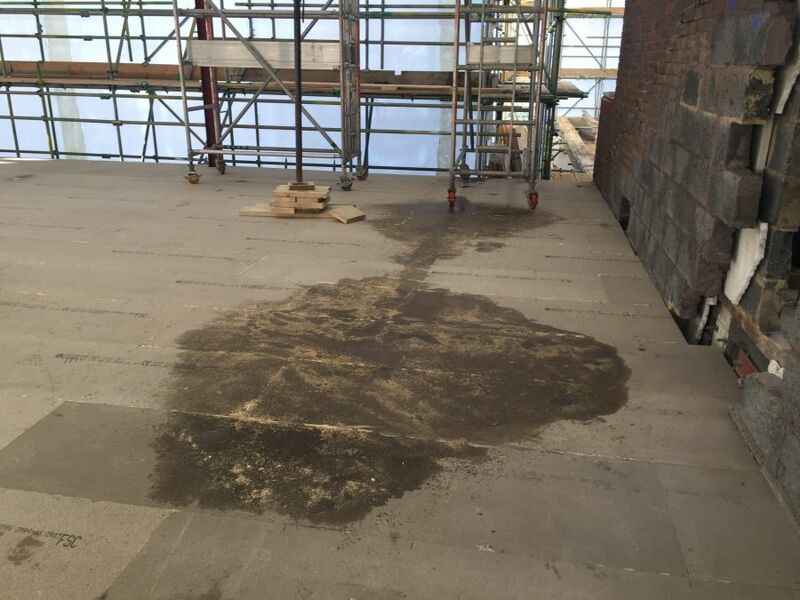 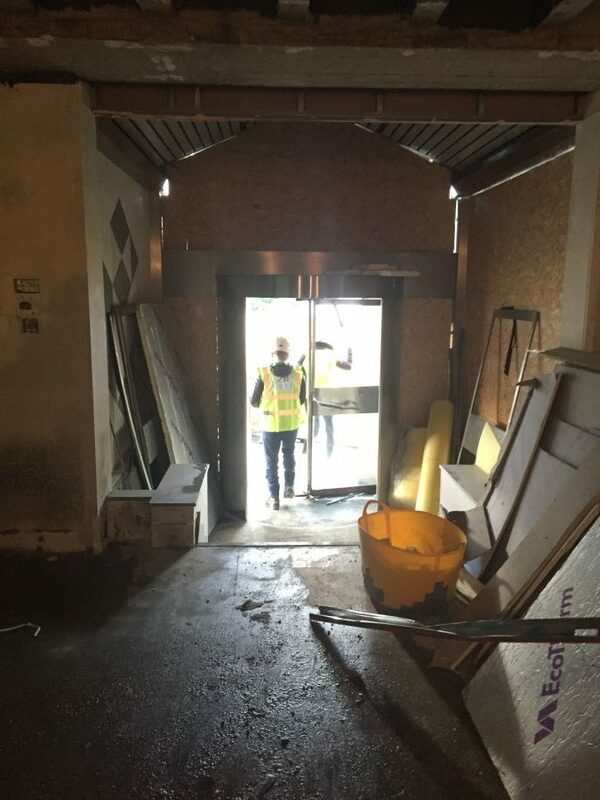 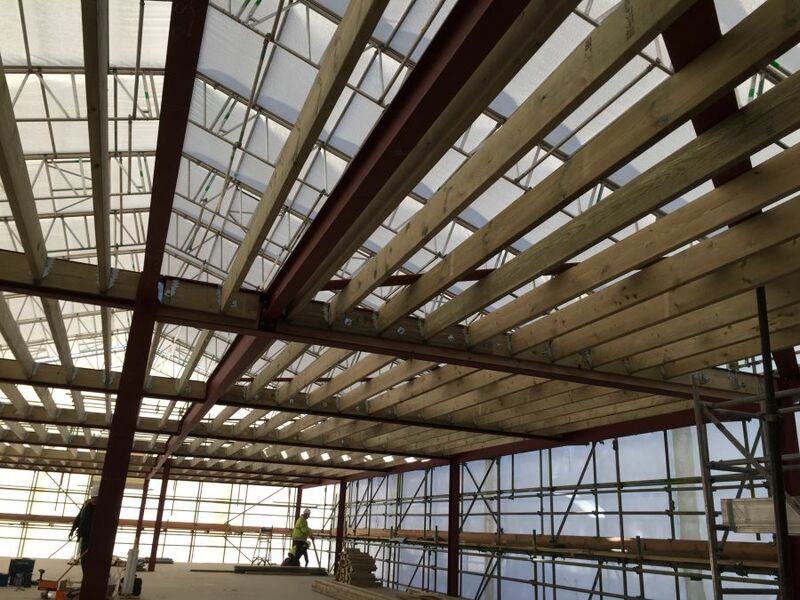 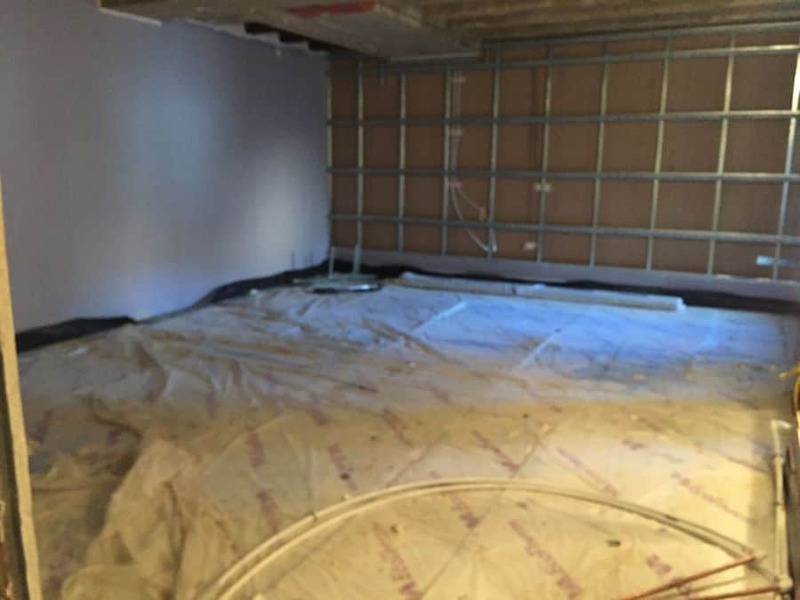 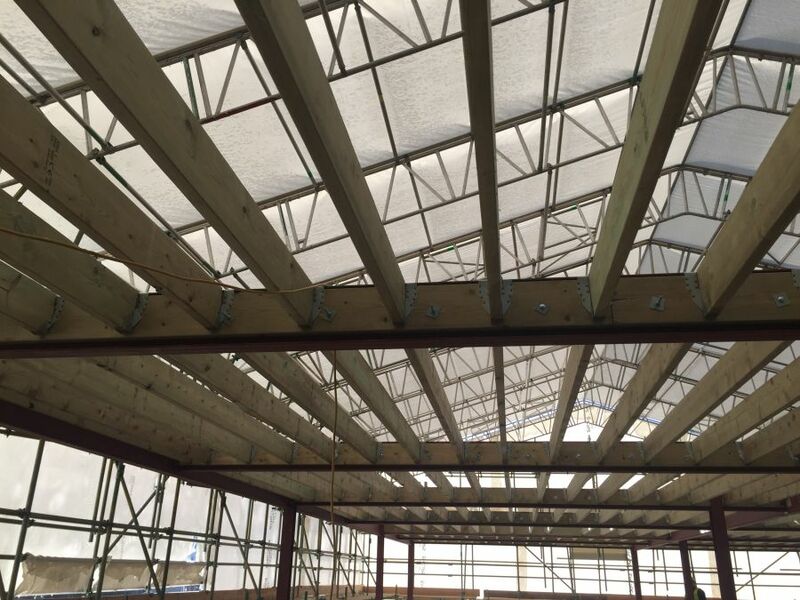 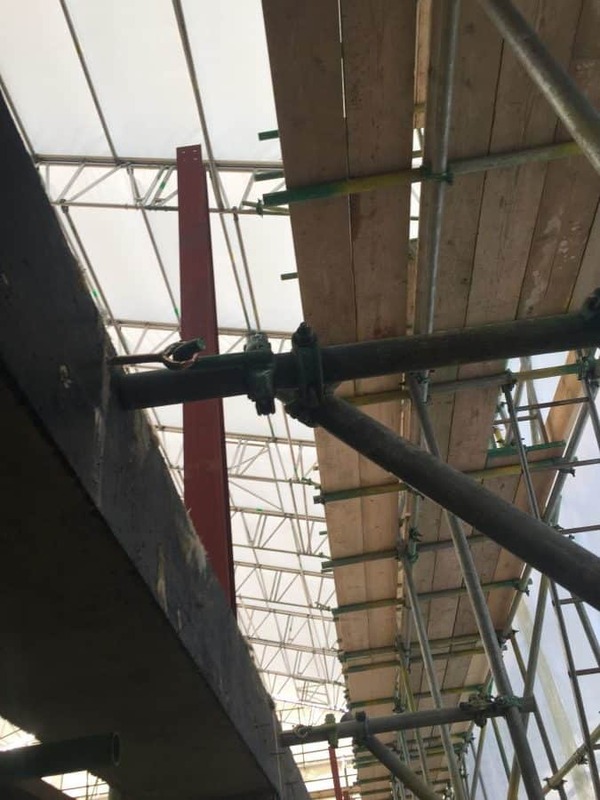 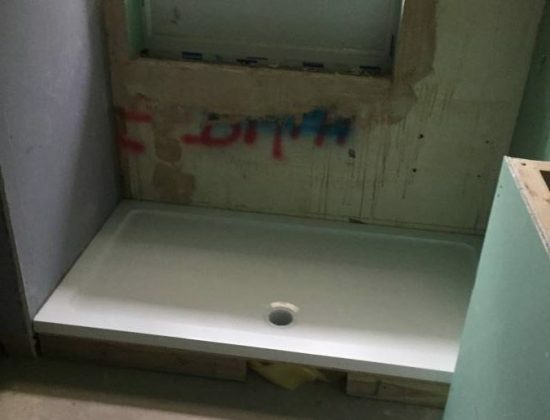 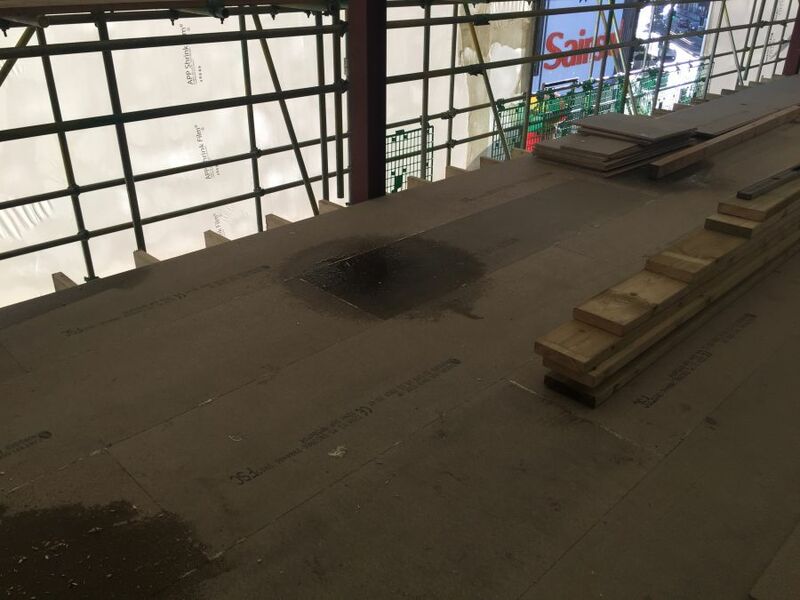 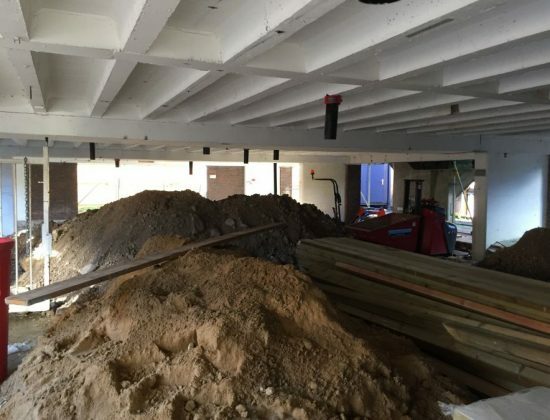 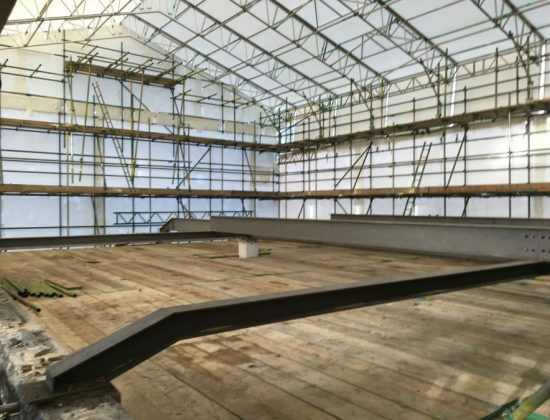 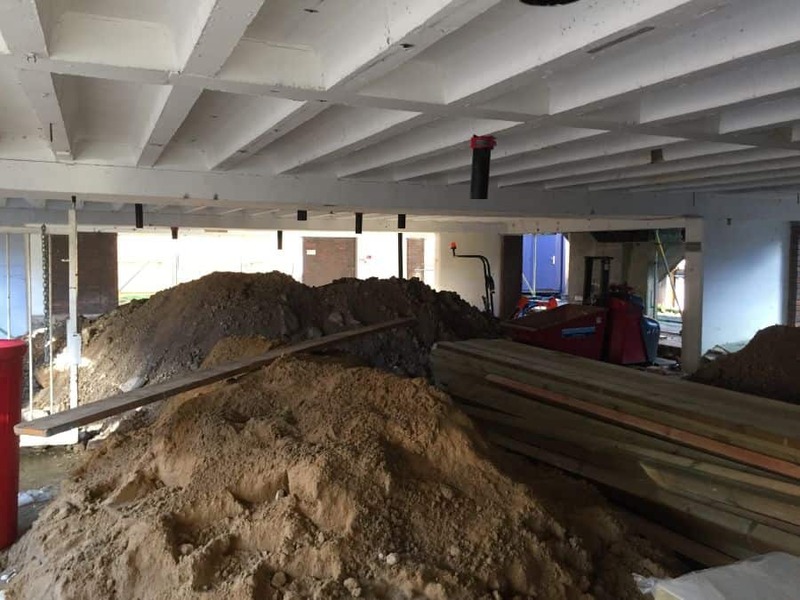 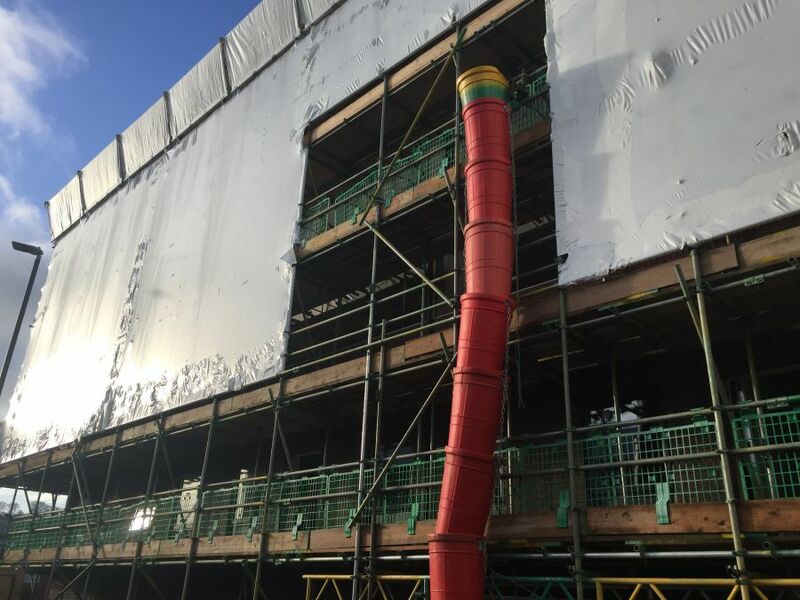 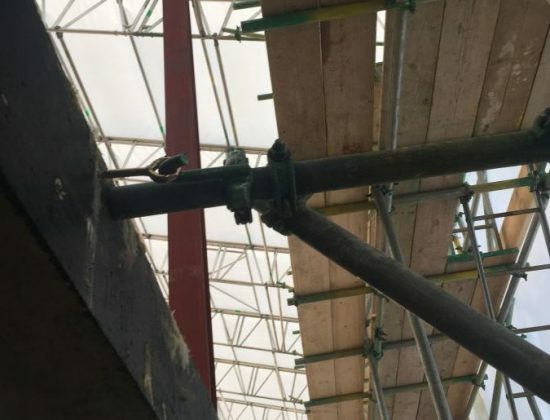 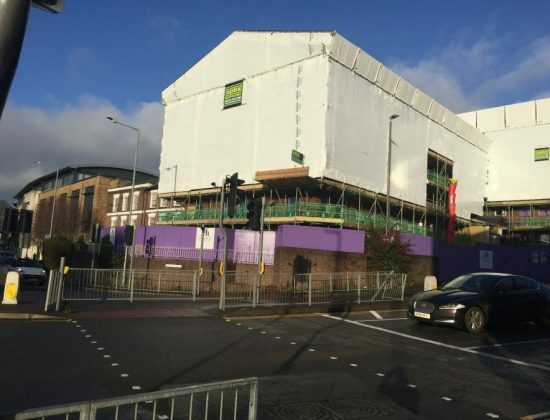 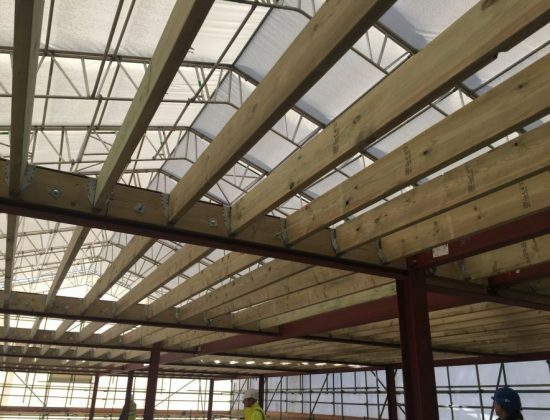 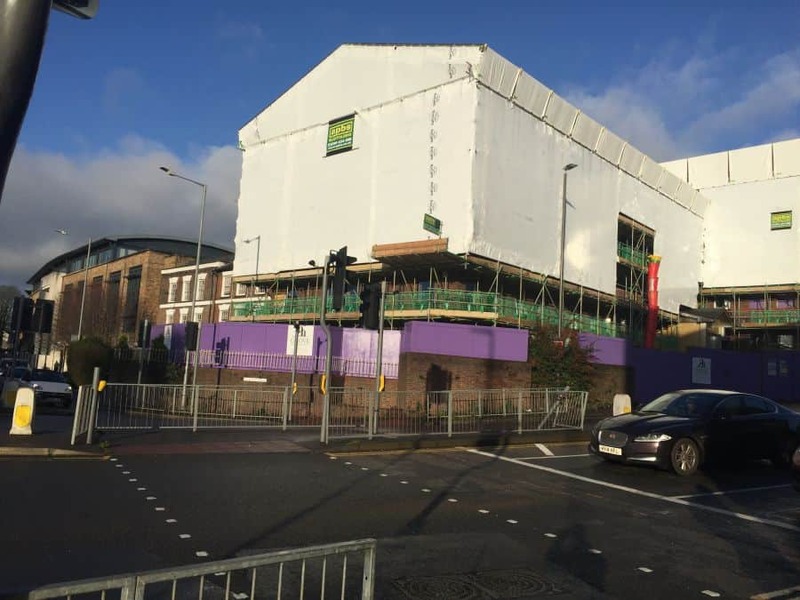 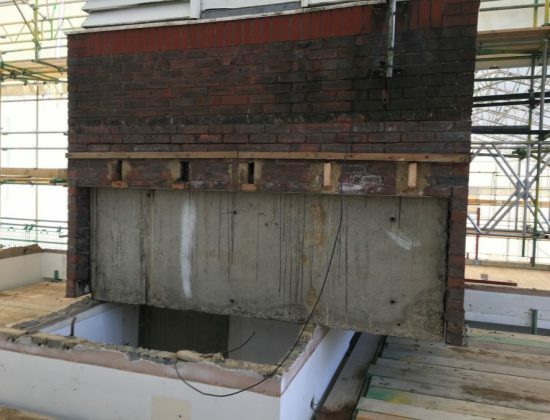 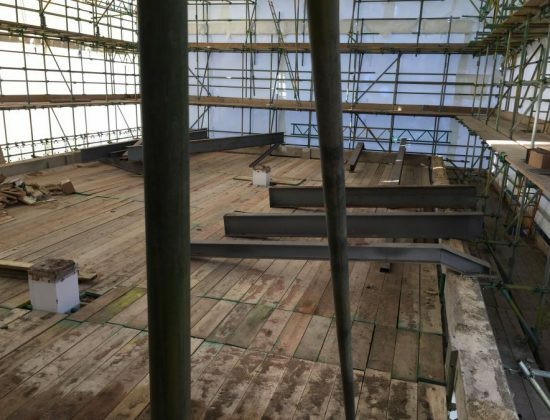 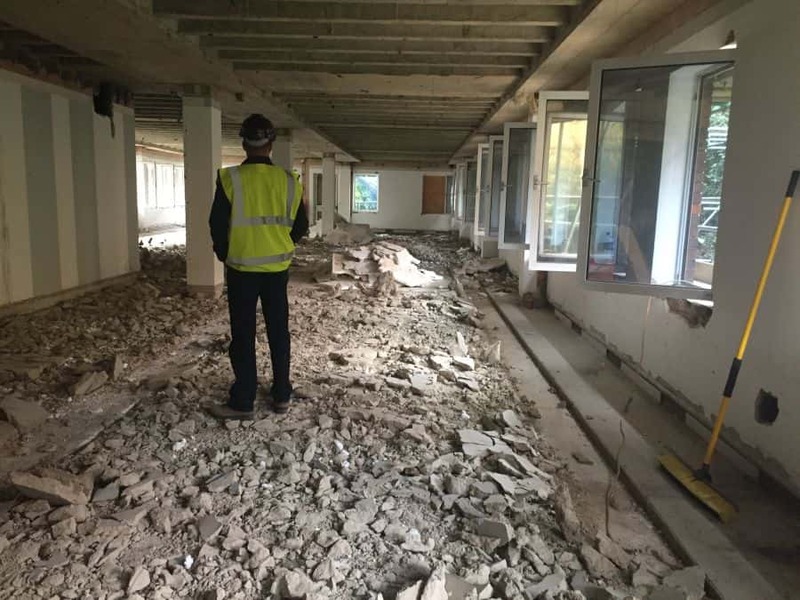 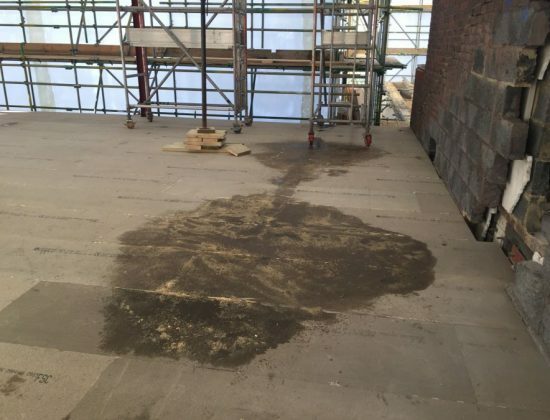 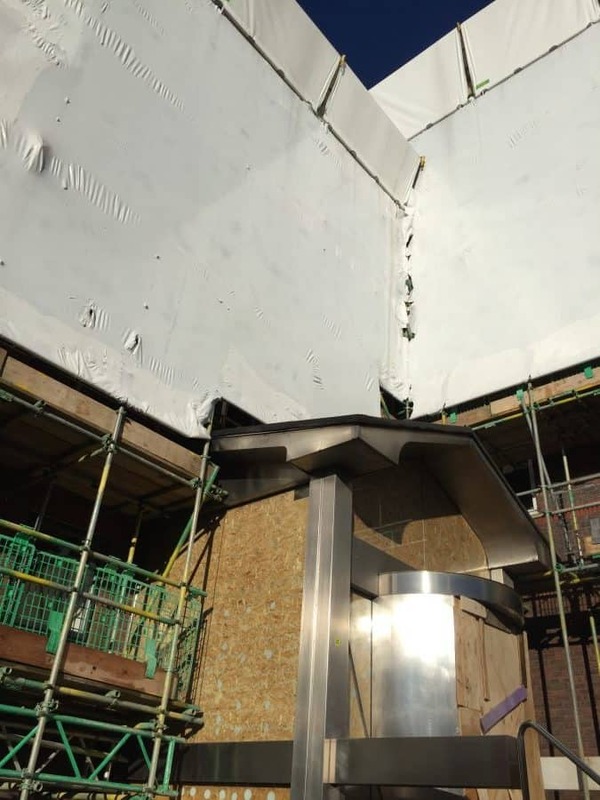 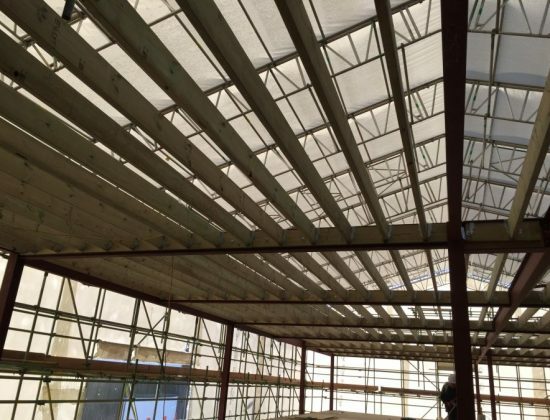 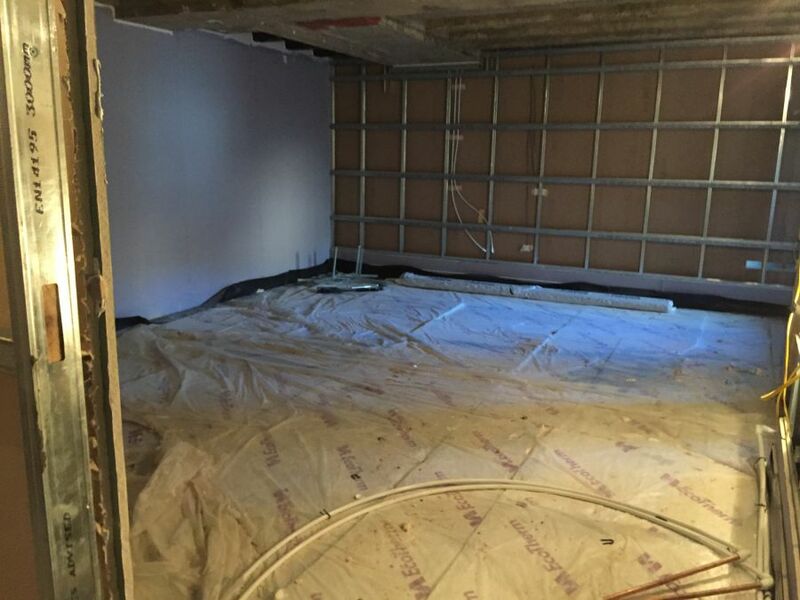 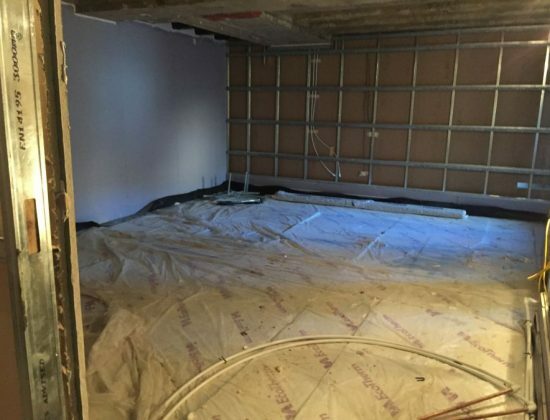 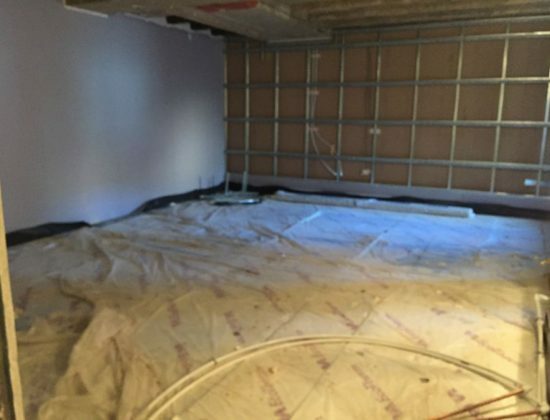 Over the past month at Tempus Court, the contractor has made incredible head-way on the completion of the project! 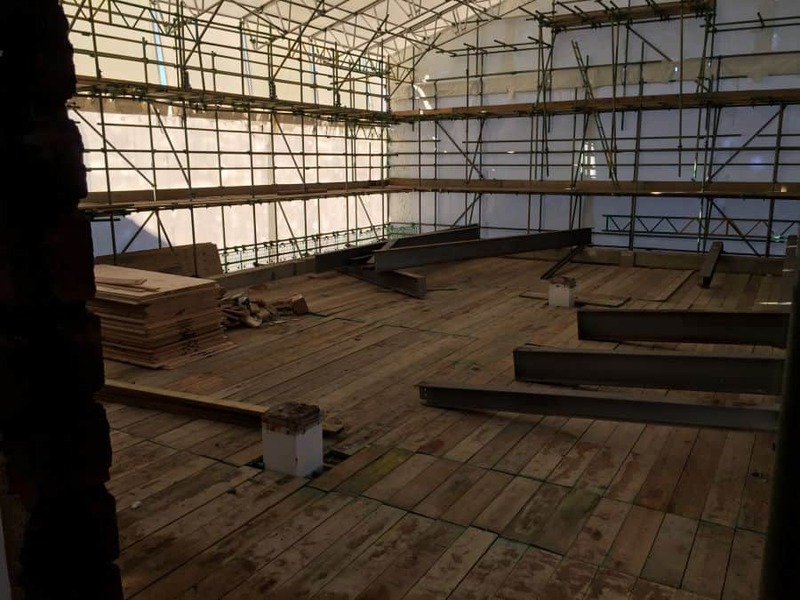 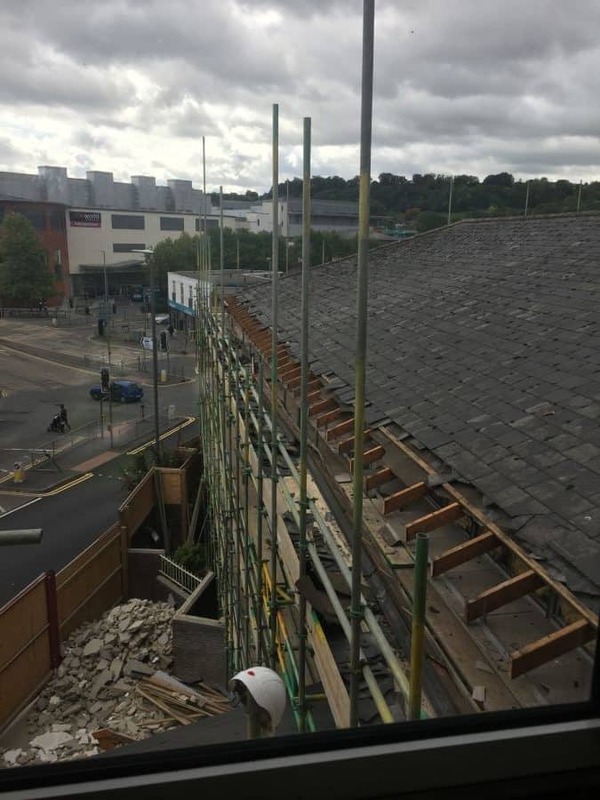 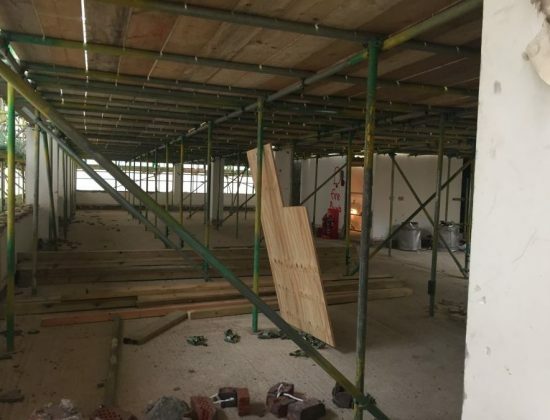 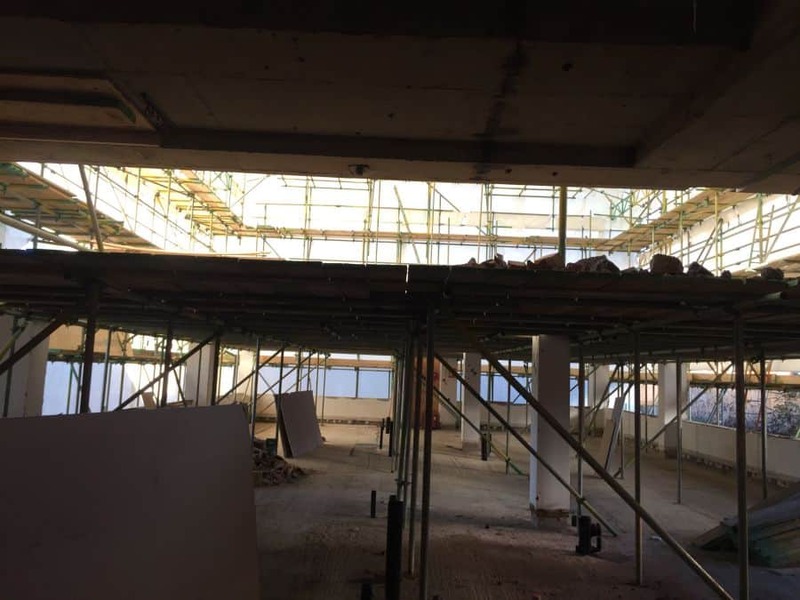 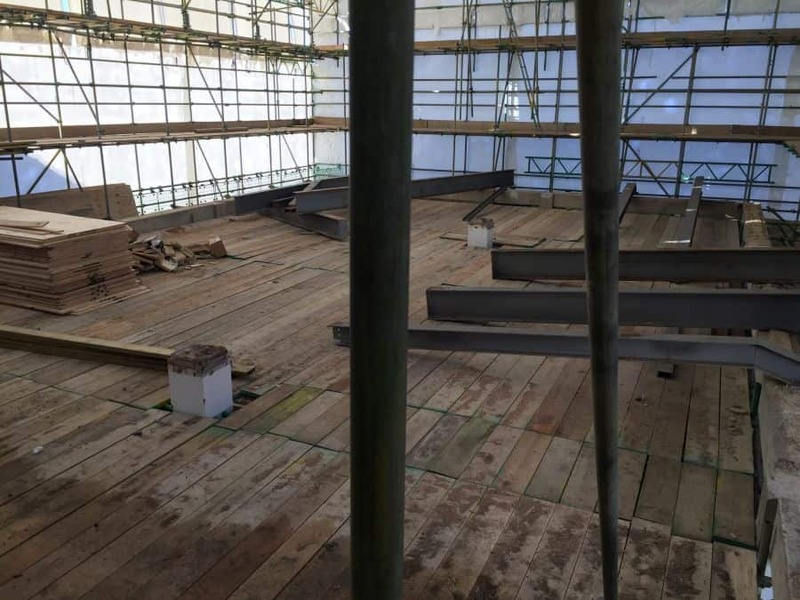 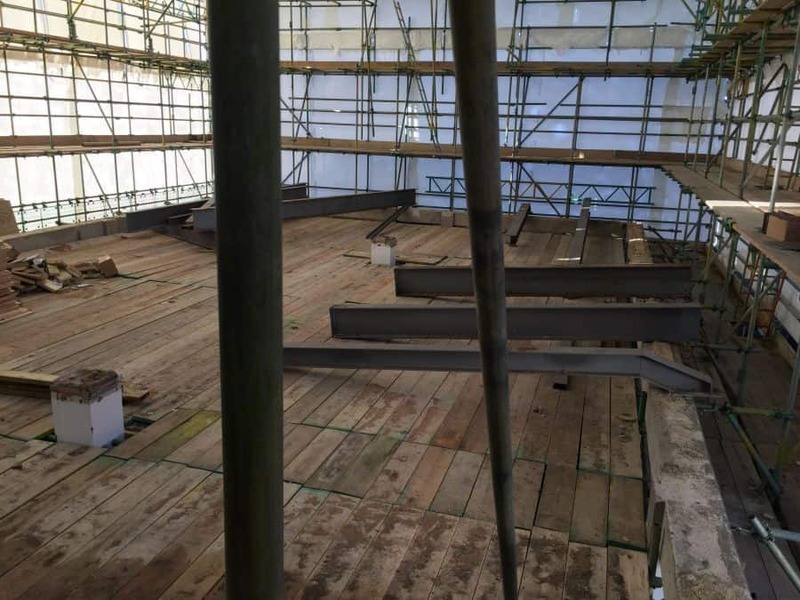 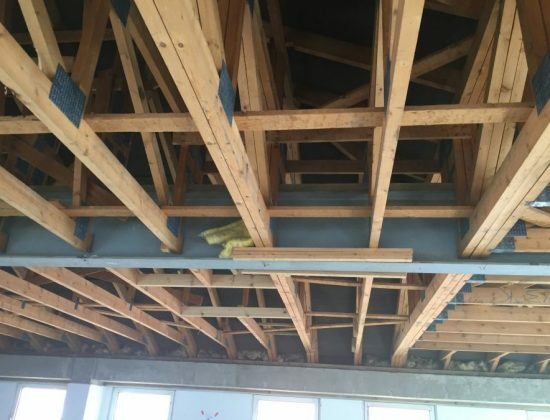 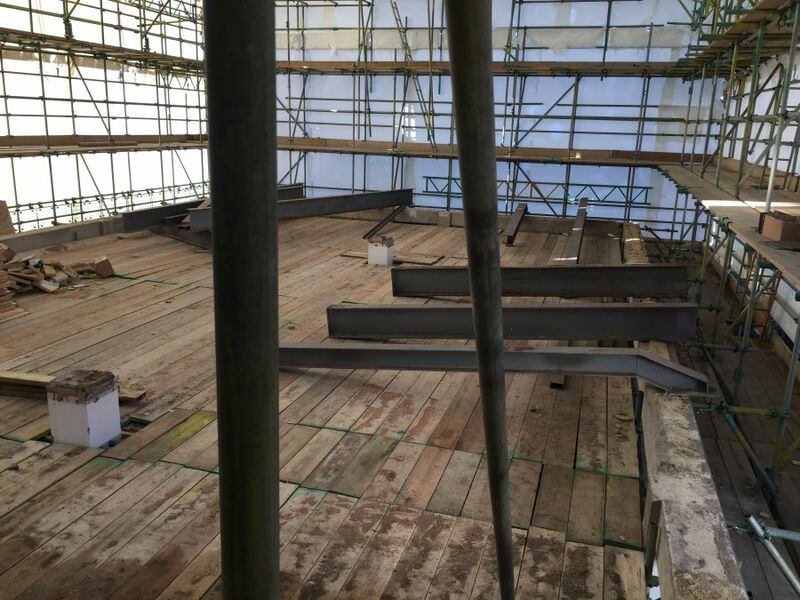 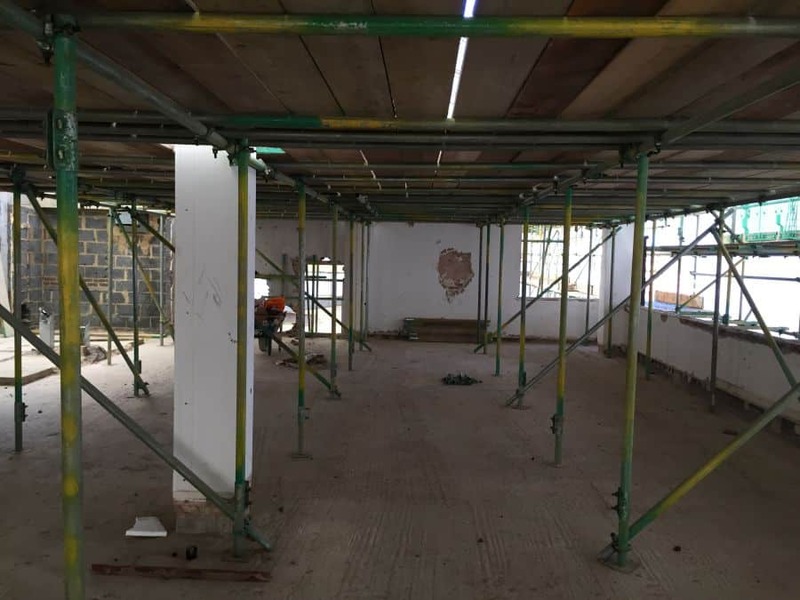 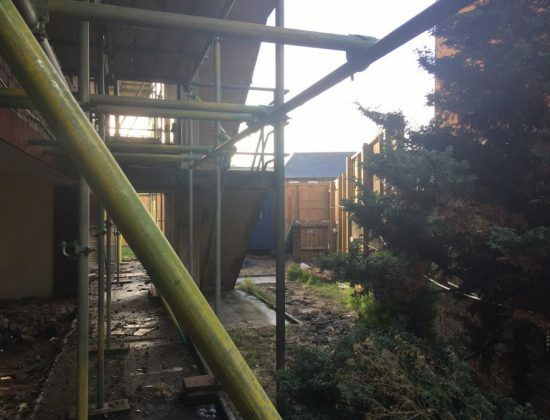 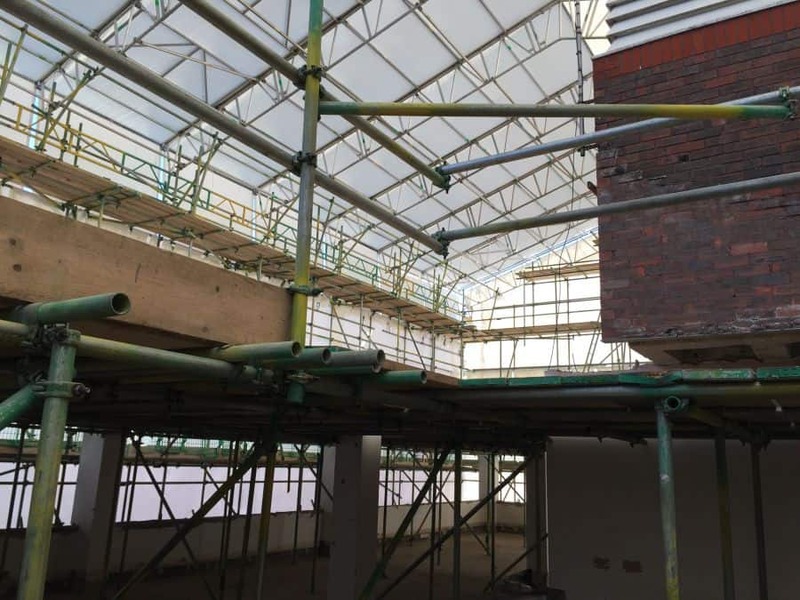 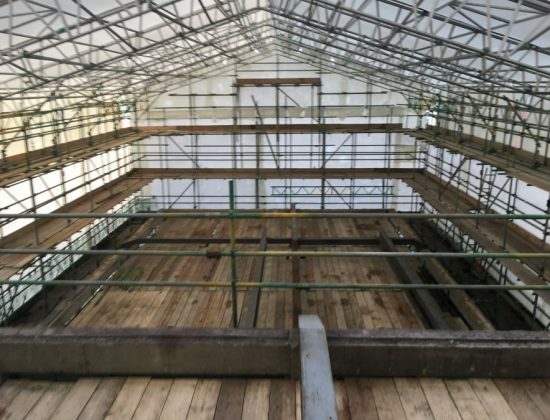 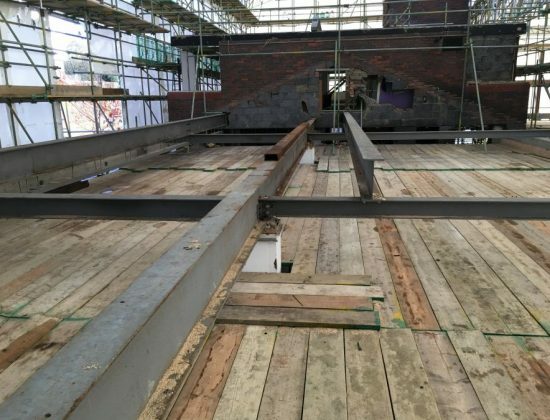 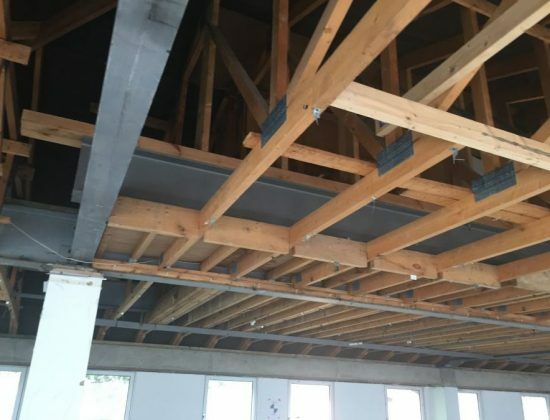 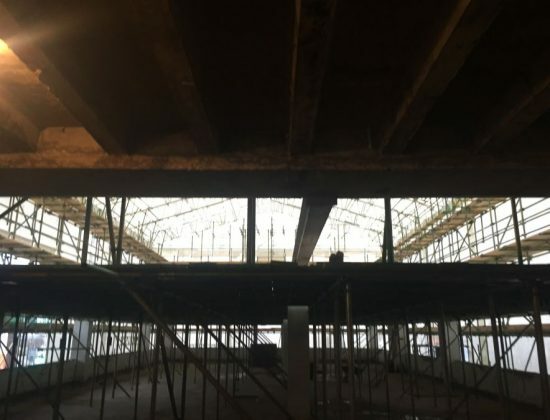 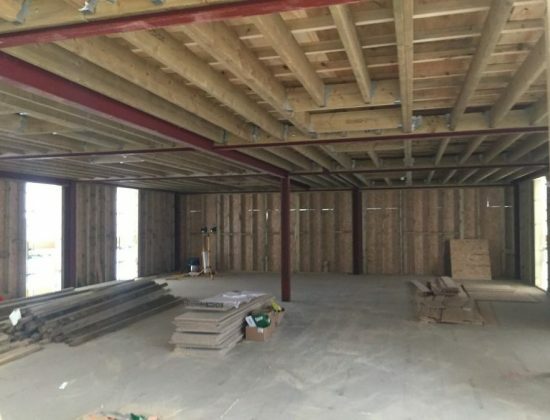 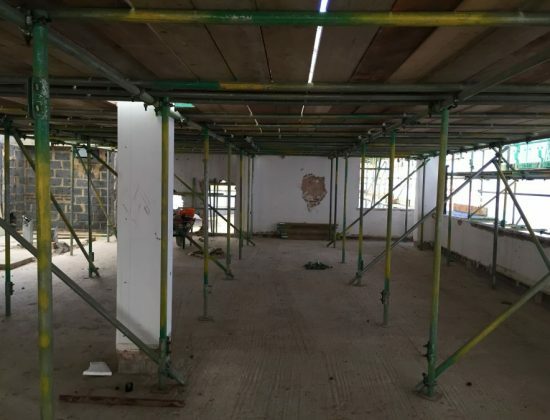 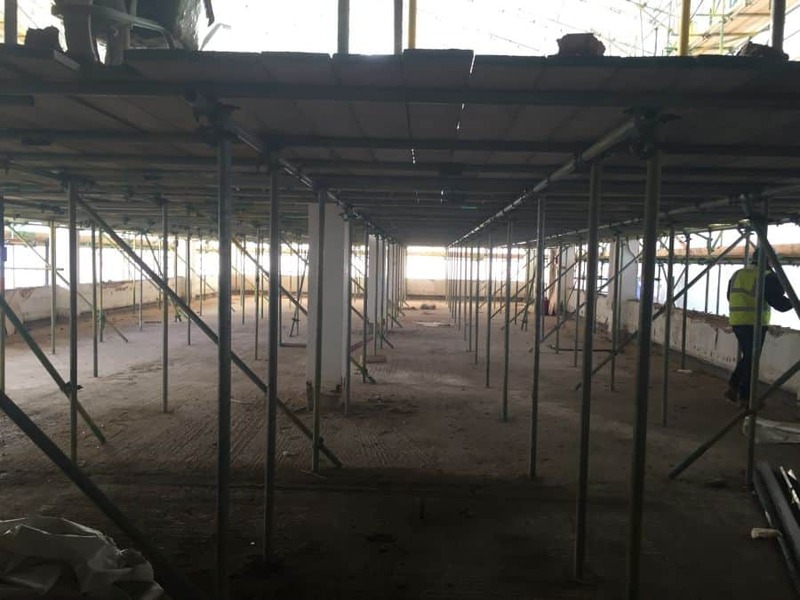 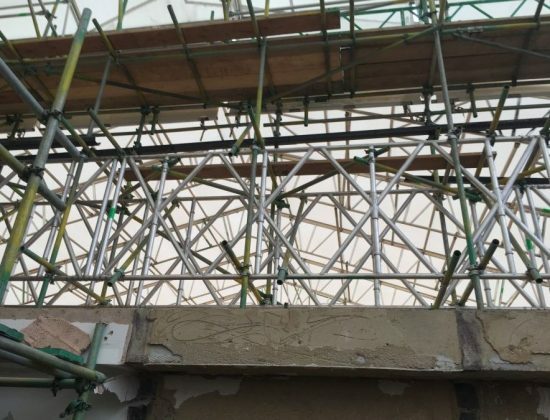 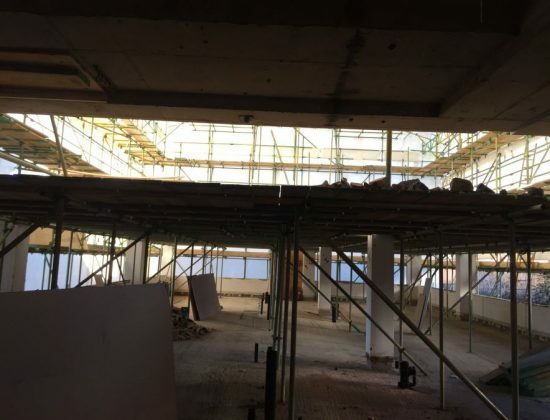 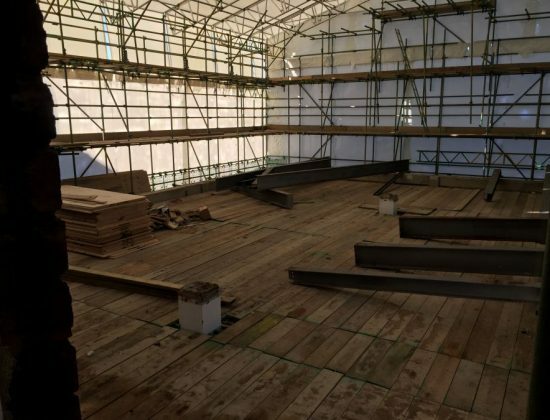 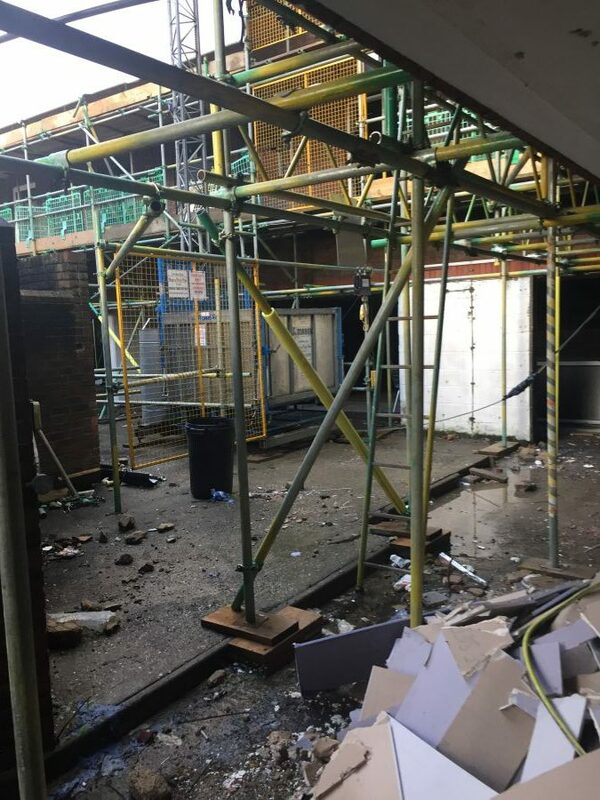 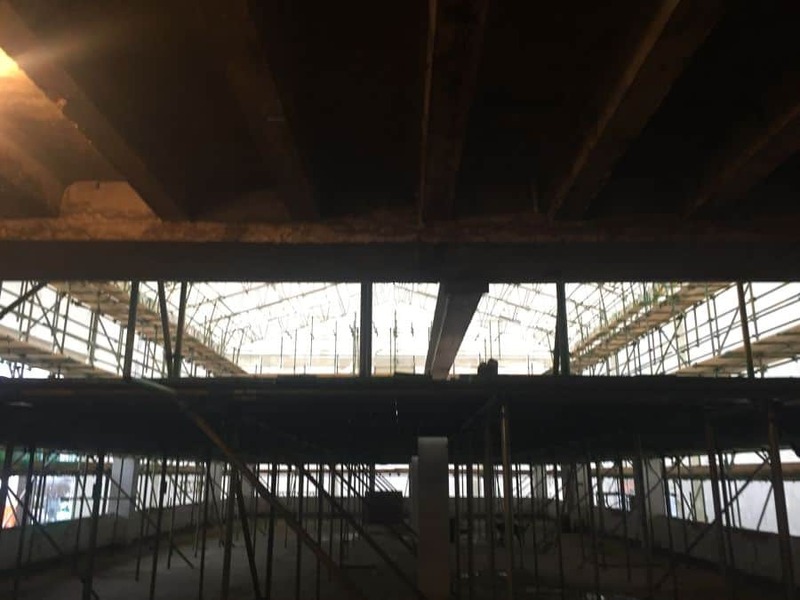 The structural works to the additional storey and roof is now 75% complete along with the completion of the party walls for the duplex units on the 1st and 2nd floors. 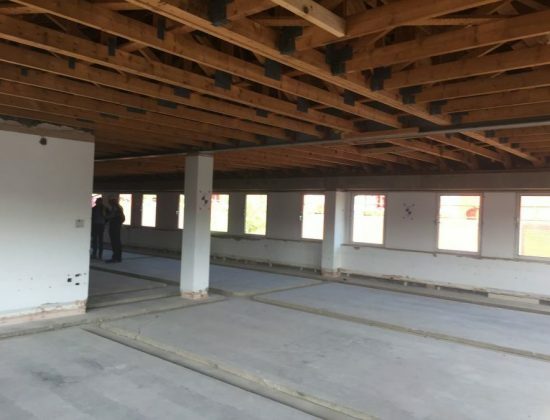 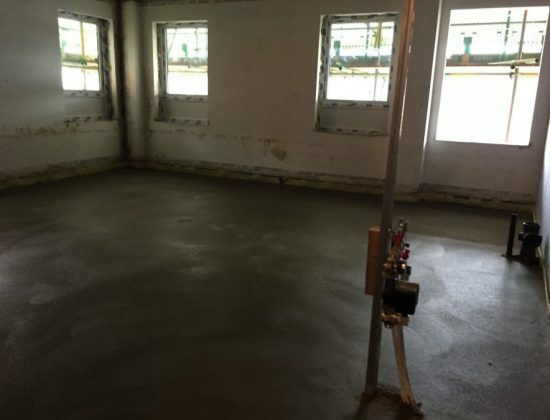 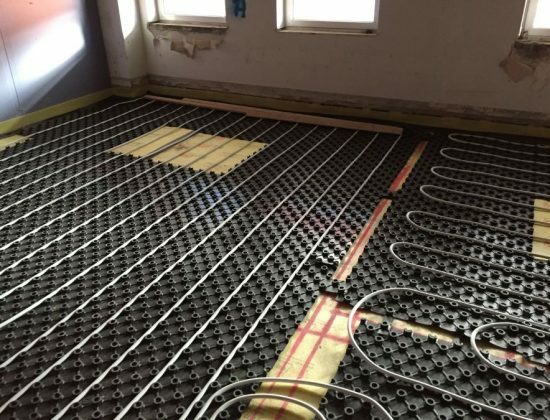 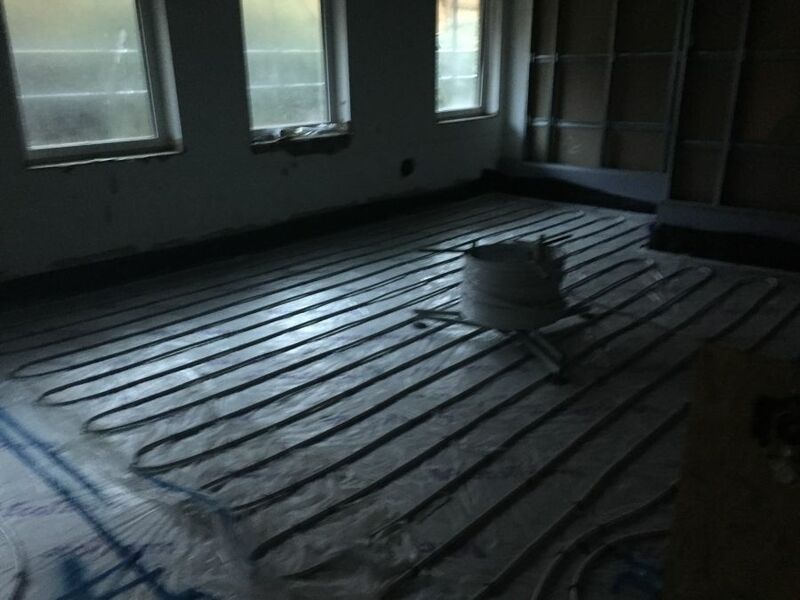 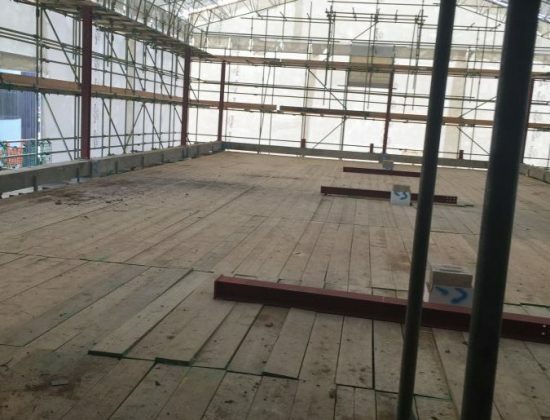 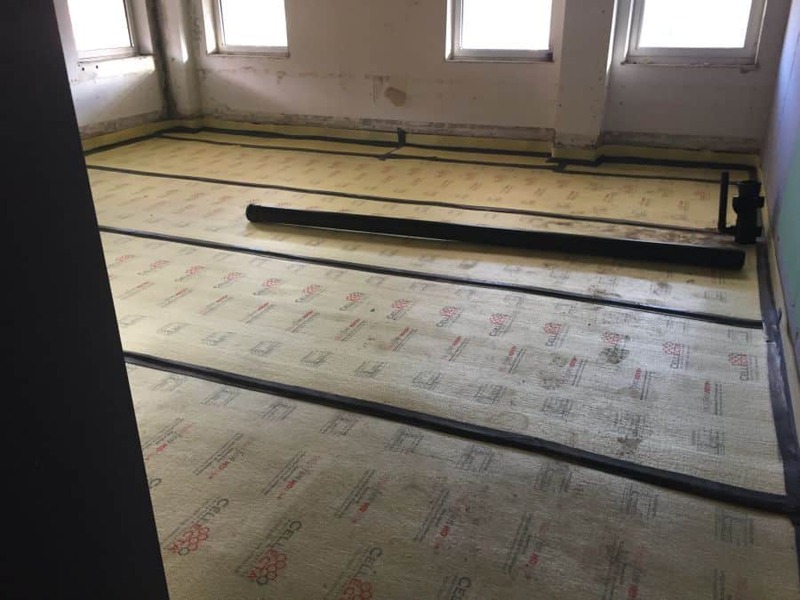 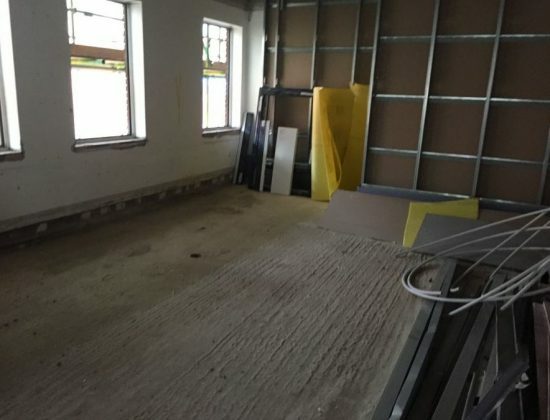 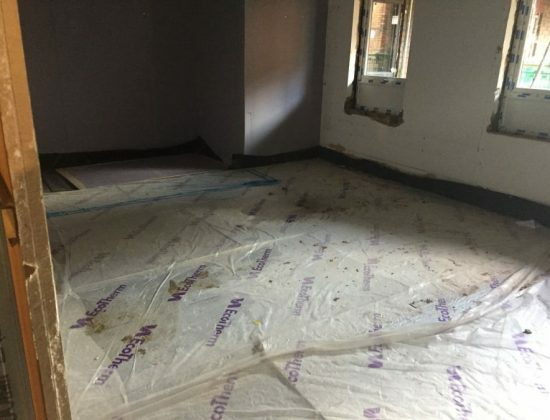 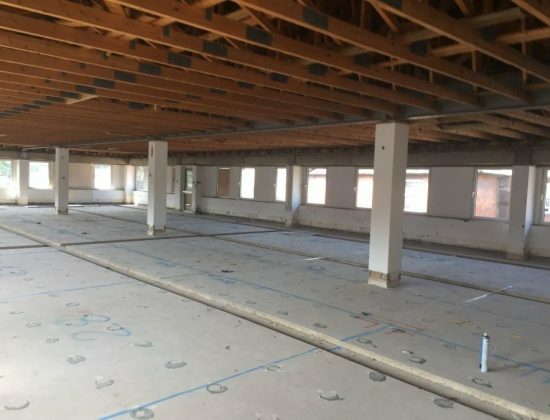 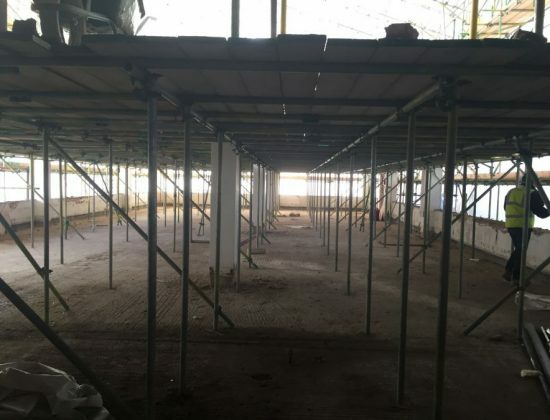 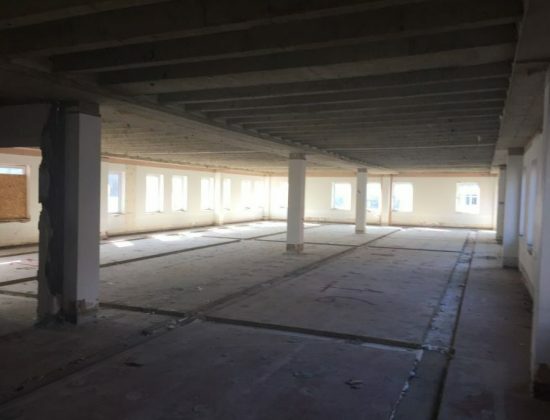 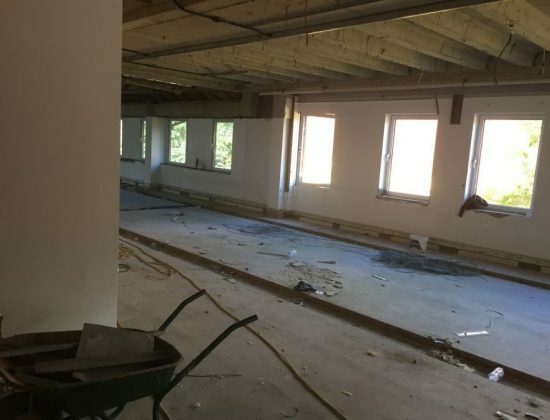 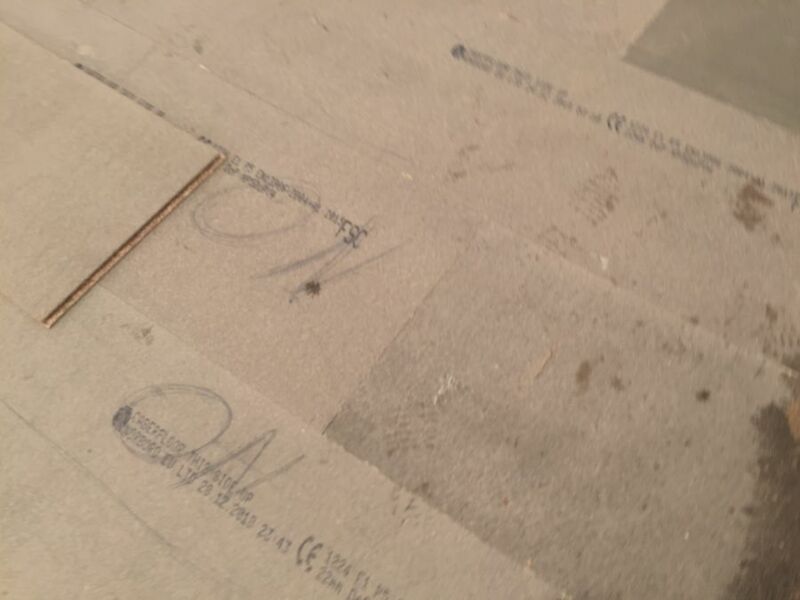 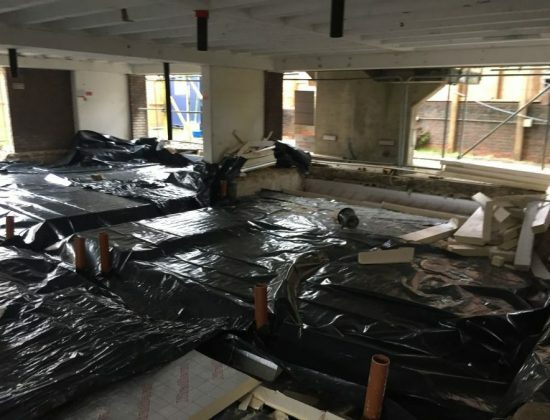 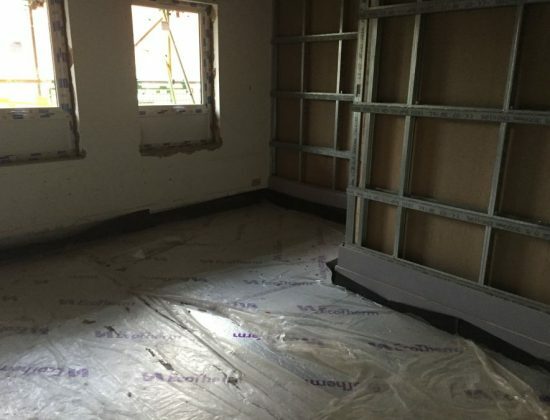 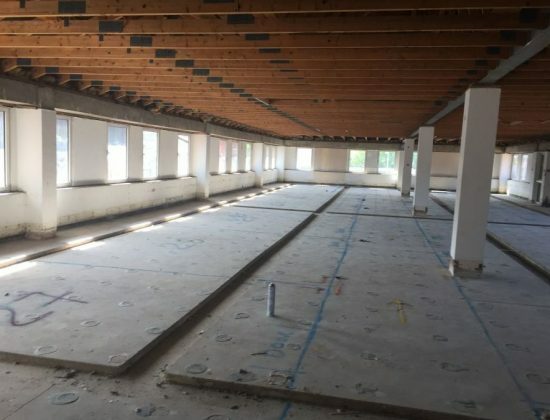 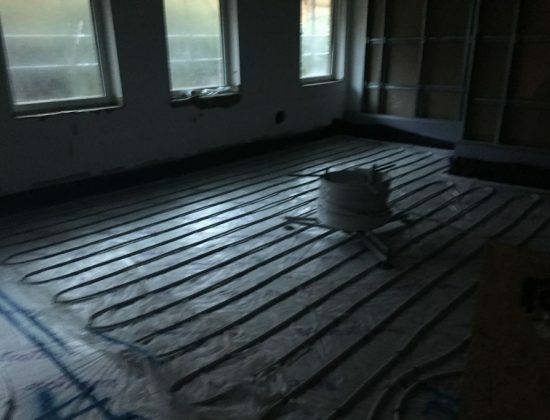 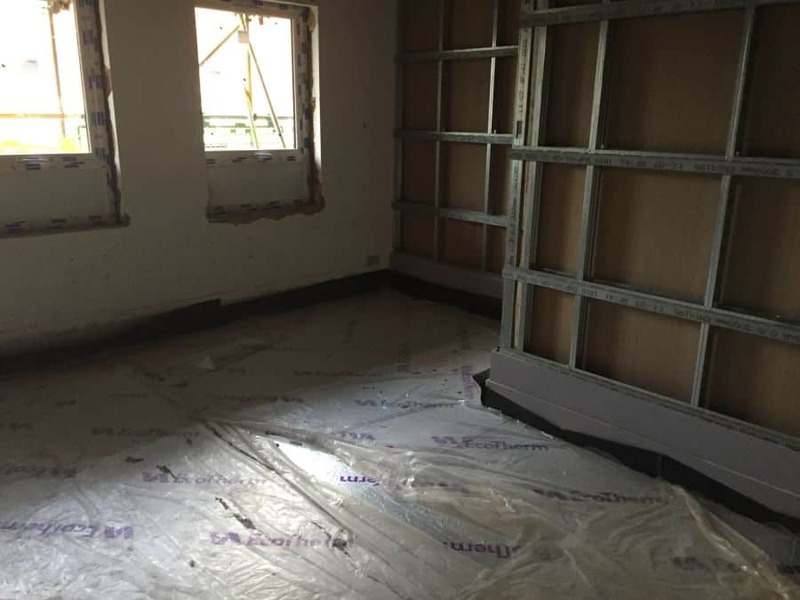 Screeds and underfloor heating have now been completed on the ground floor units and progress has begun on the first-floor duplexes. 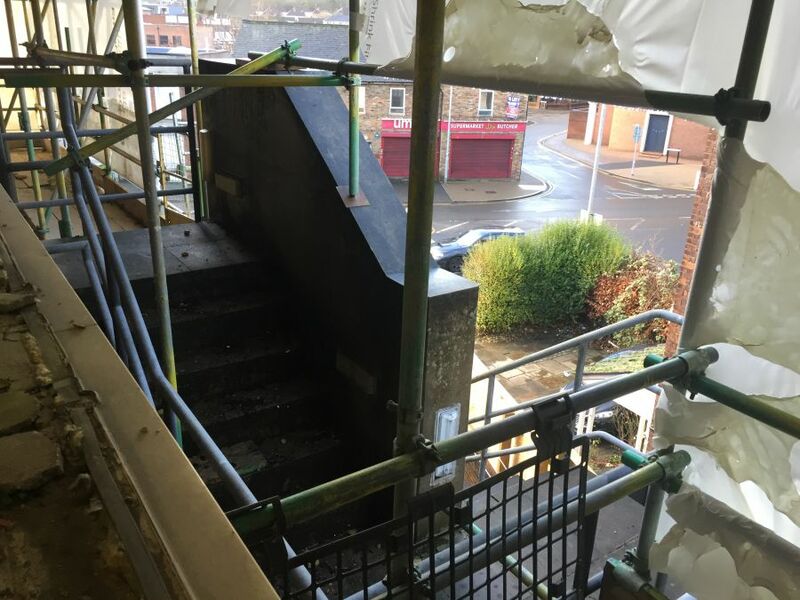 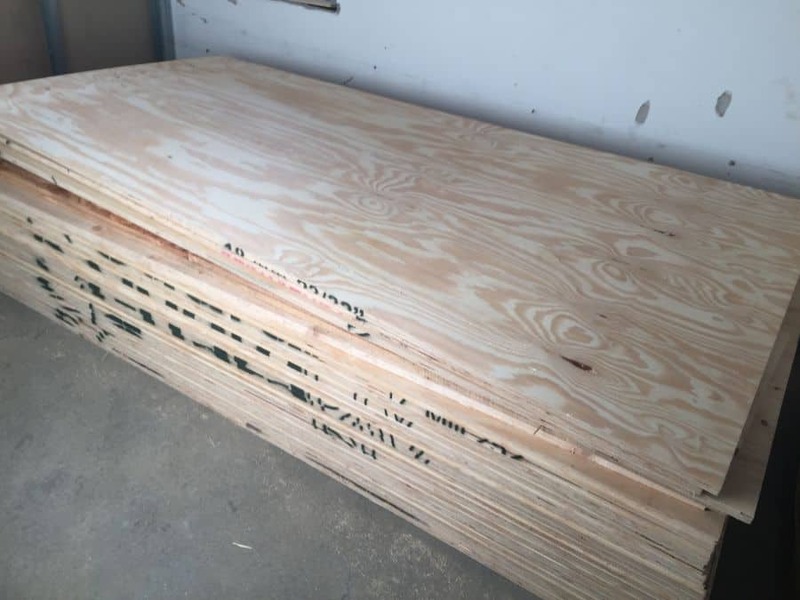 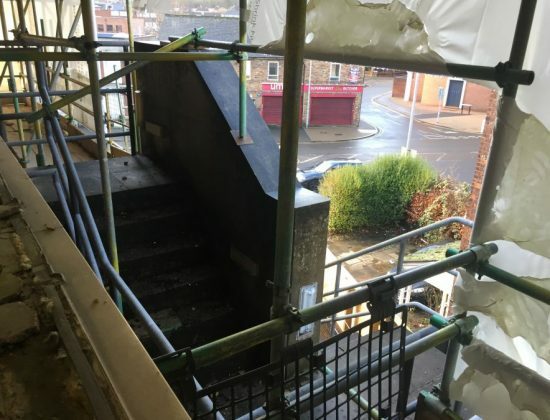 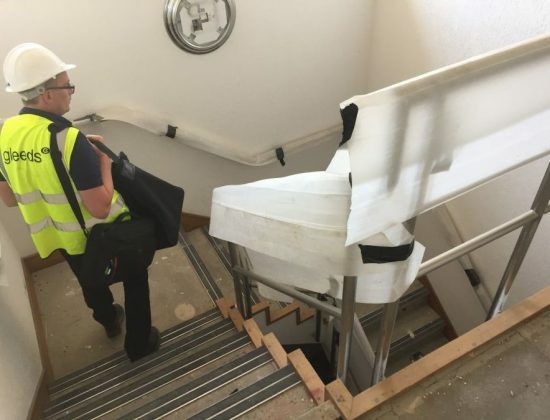 Works for the stairs to the duplex plots will begin week commencing 4th March! 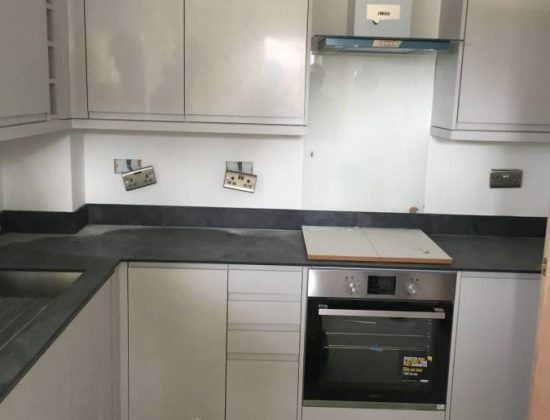 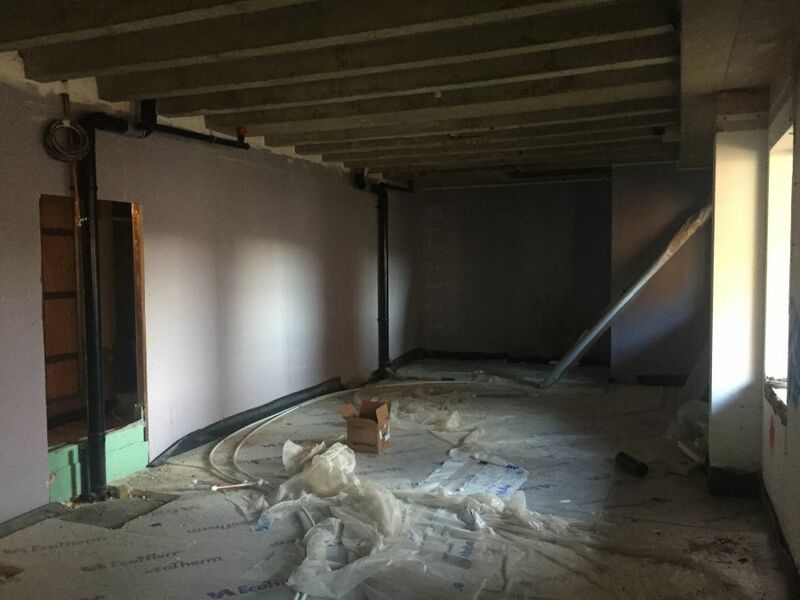 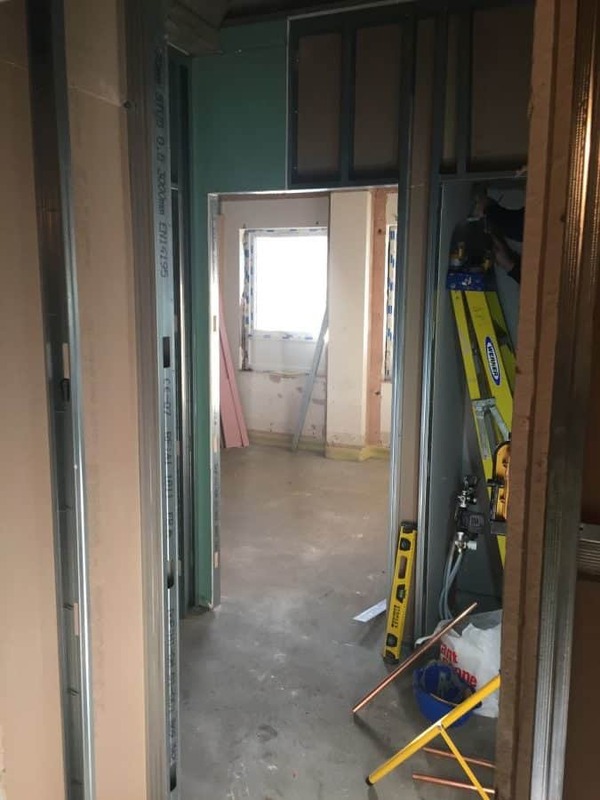 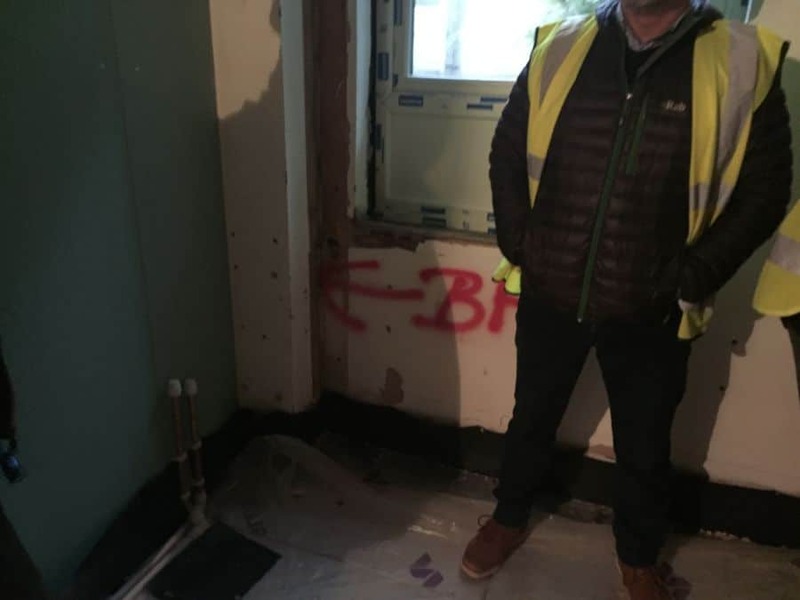 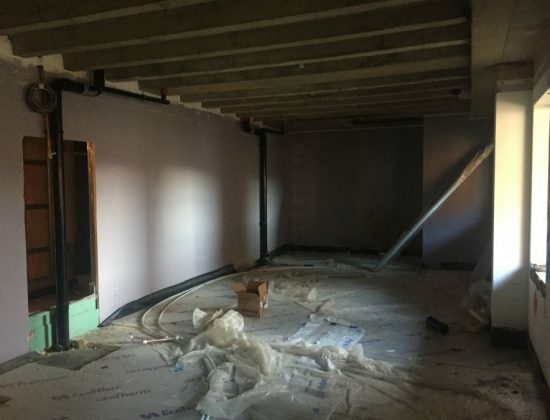 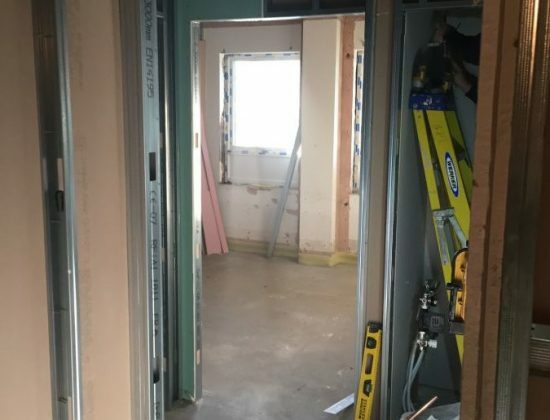 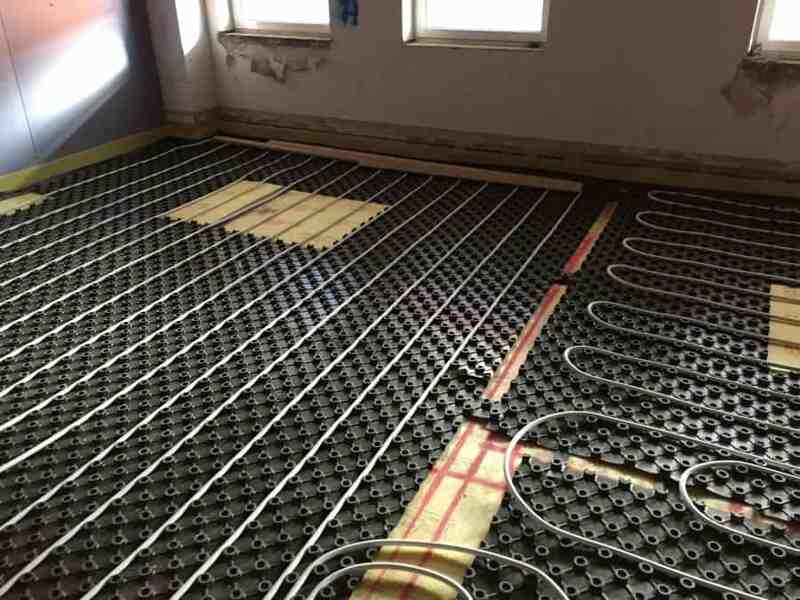 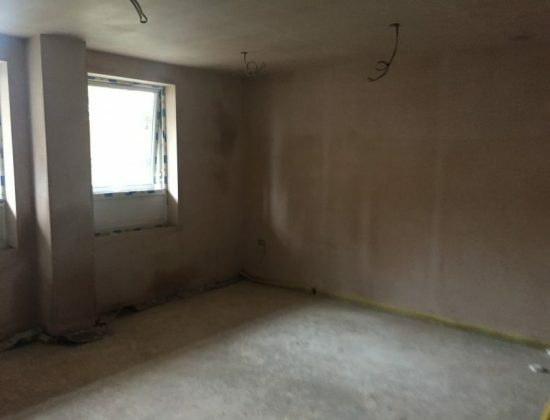 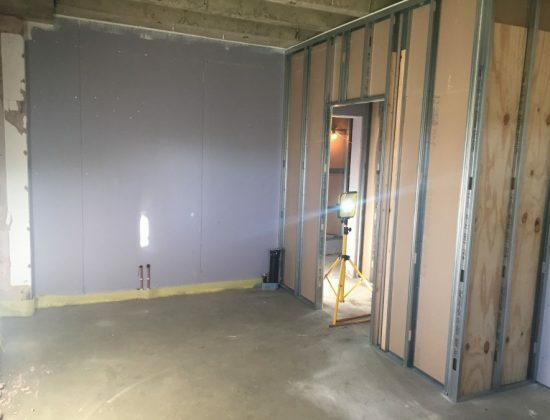 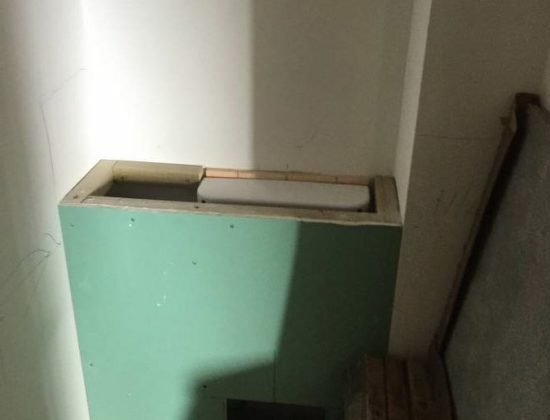 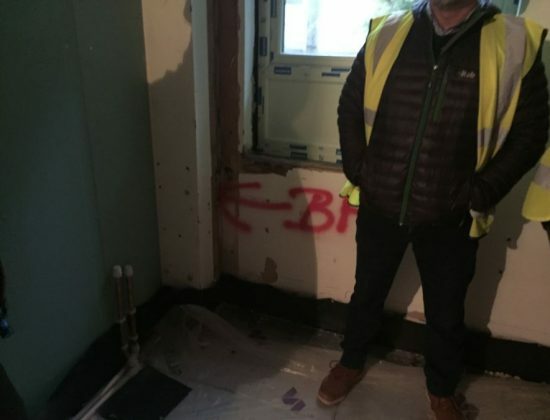 On the ground floor, the contractor has fully skimmed all the units and have now begun fitting the kitchen in the first show flat. 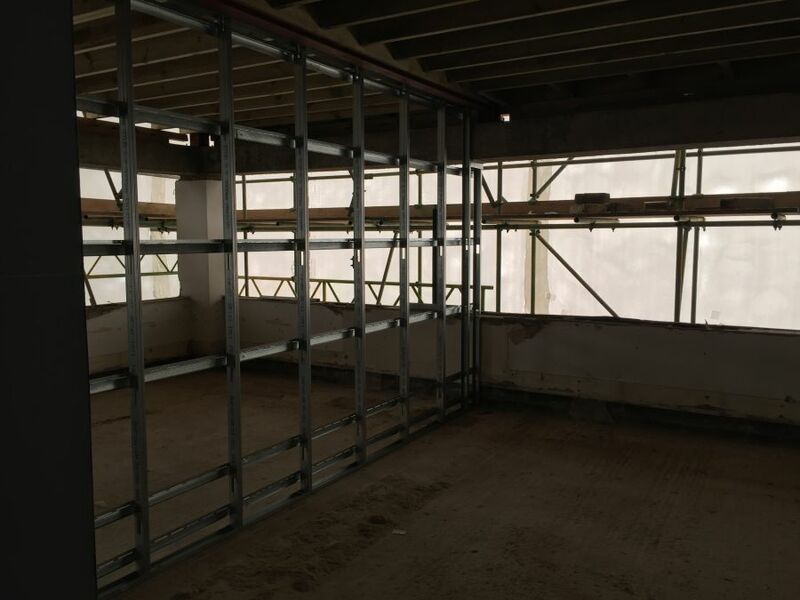 Second fix joinery and M&E is now underway on phase 1 for the ground floor units. 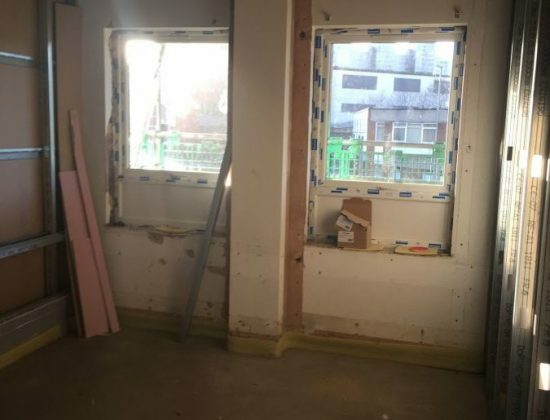 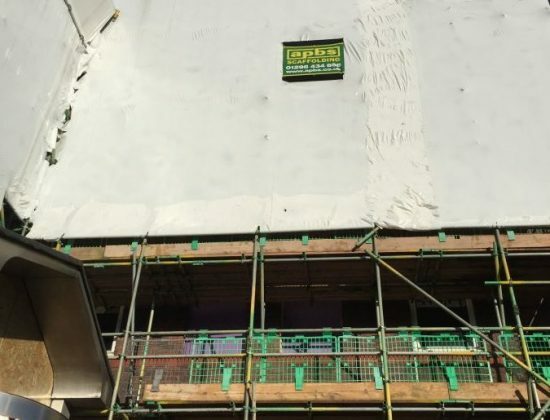 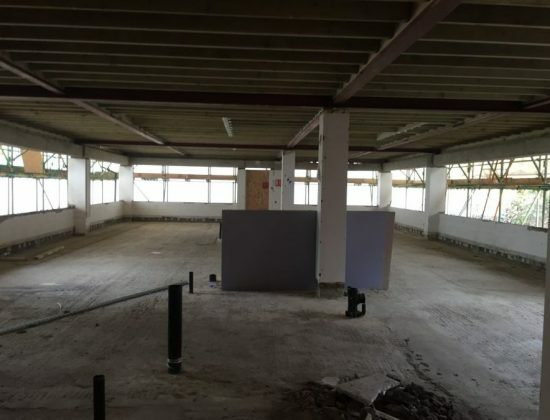 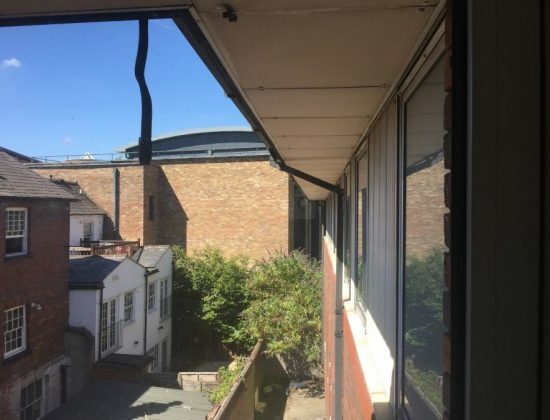 Windows have now been fitted to phase 1 on the first floor, and the external brickwork is being completed on the second floor to allow for the windows to be installed later this month. 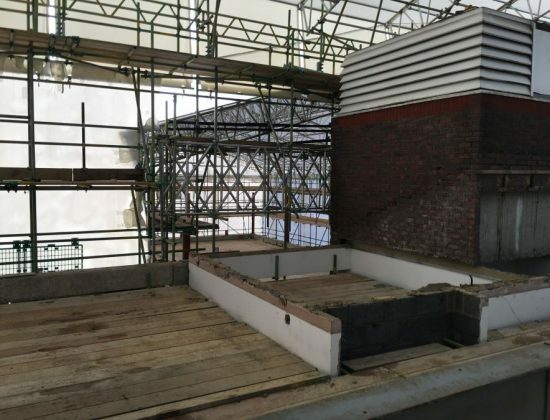 The scheme is really starting to come together now, and it’s all starting to get extremely exciting as we slowly get a better outlook on the final product.